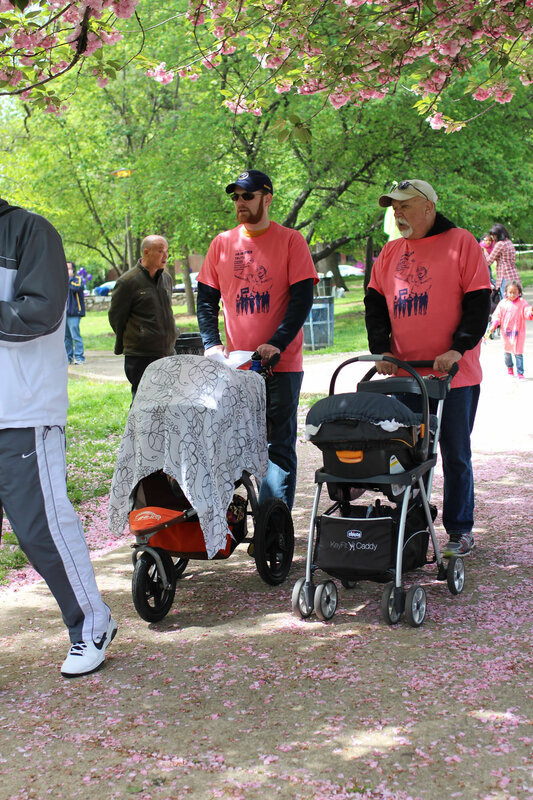 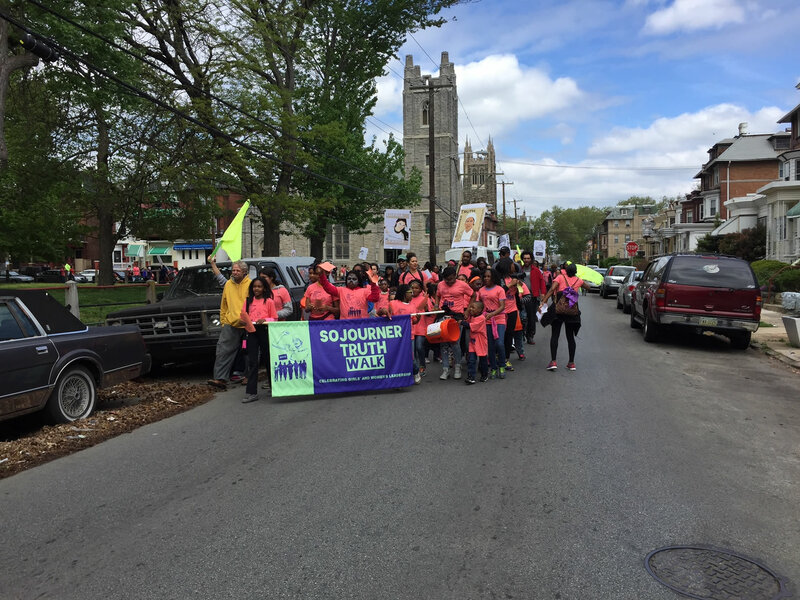 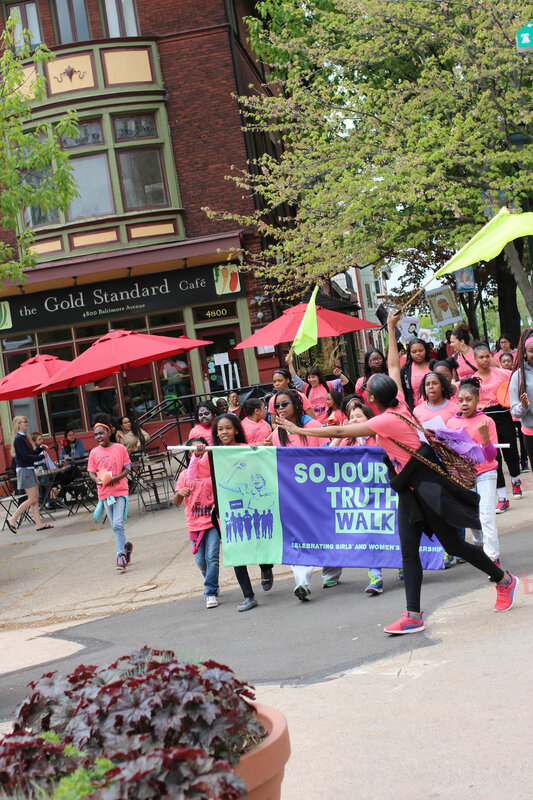 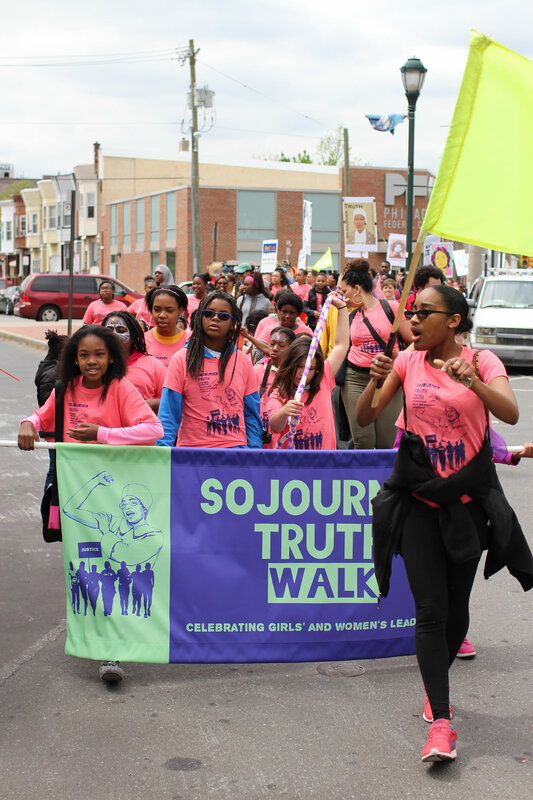 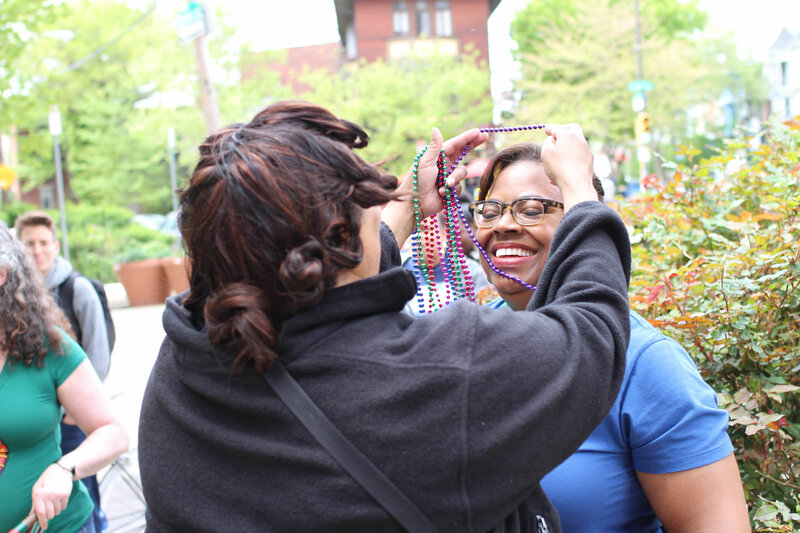 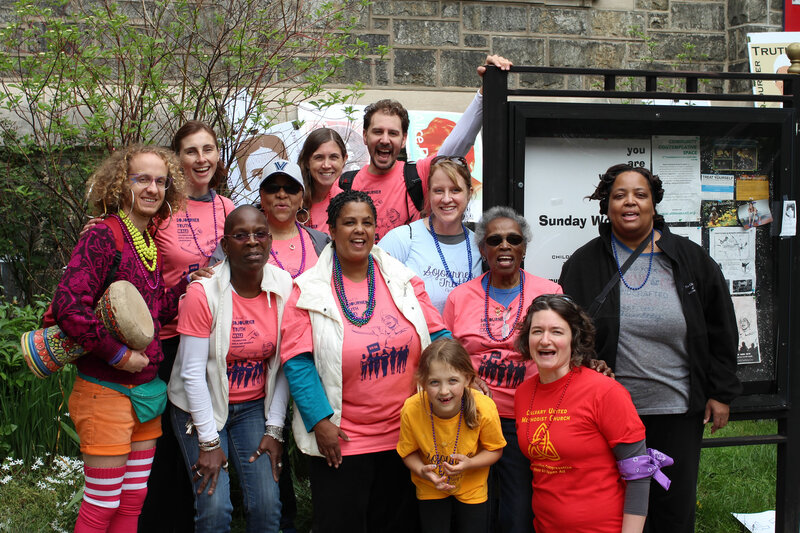 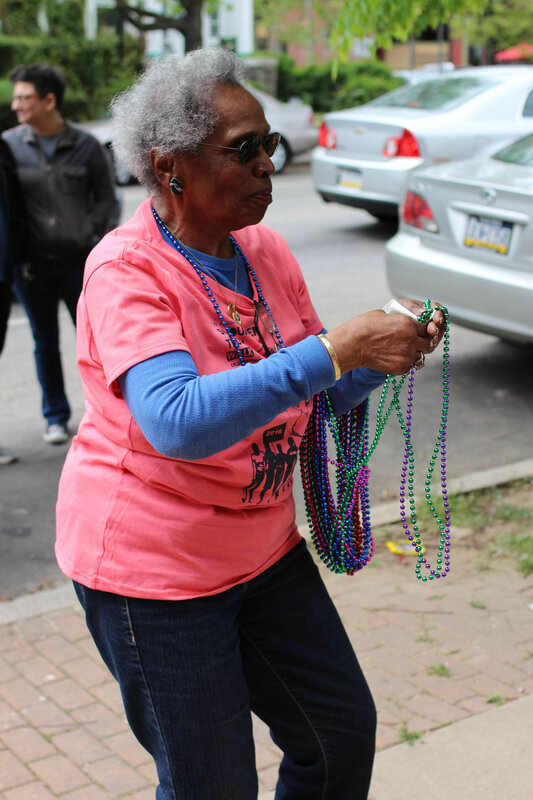 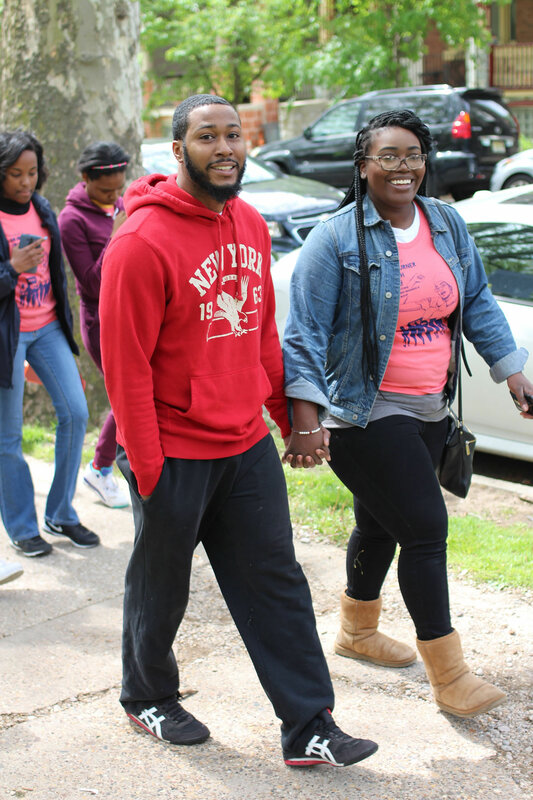 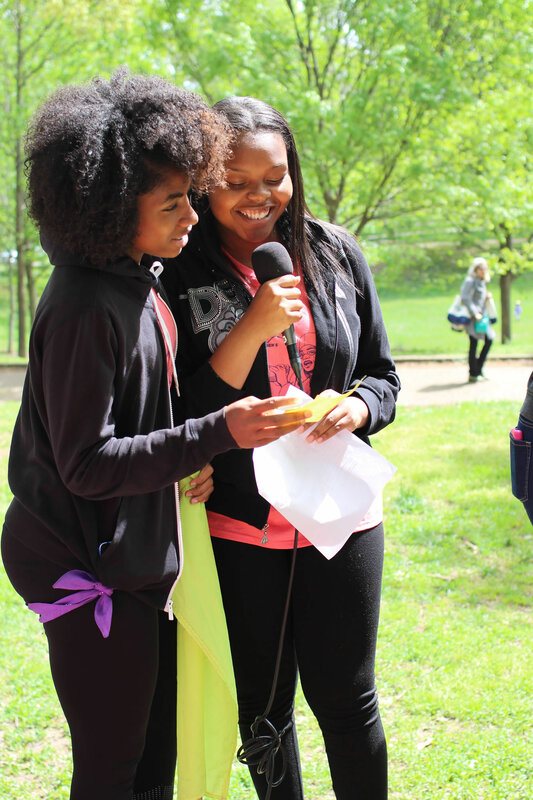 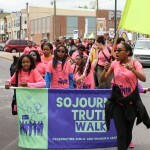 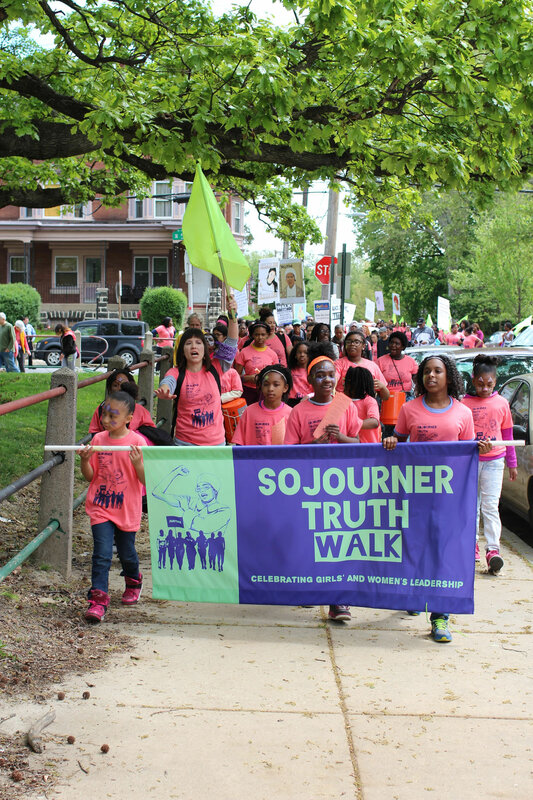 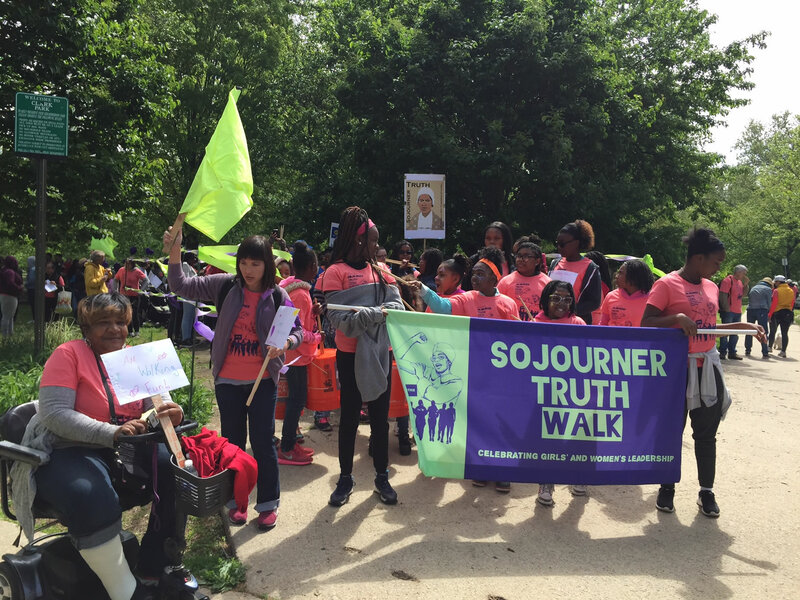 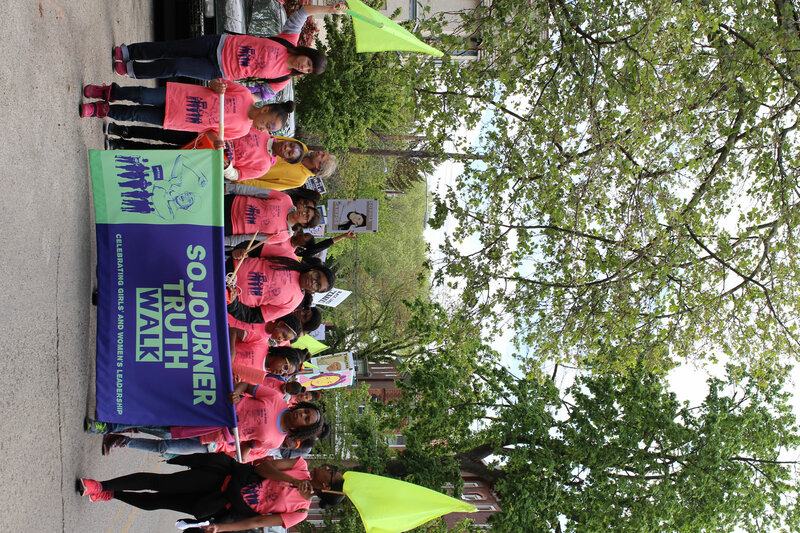 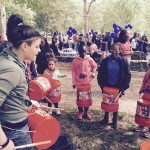 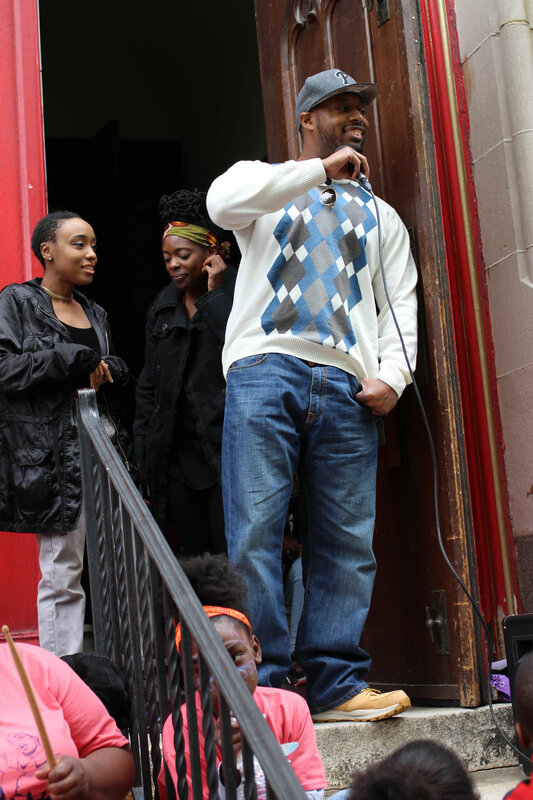 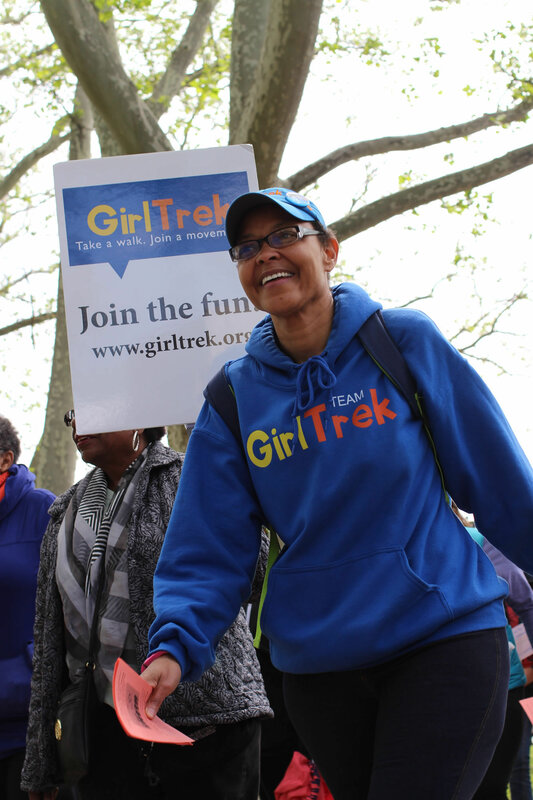 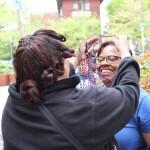 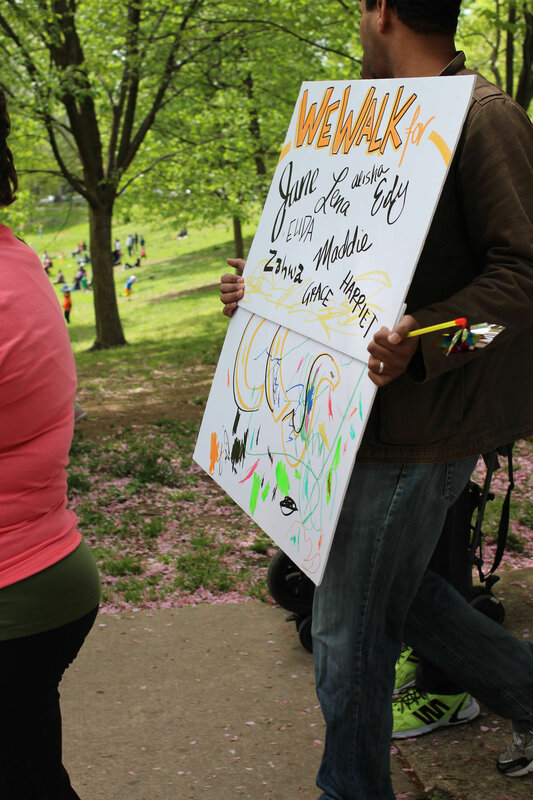 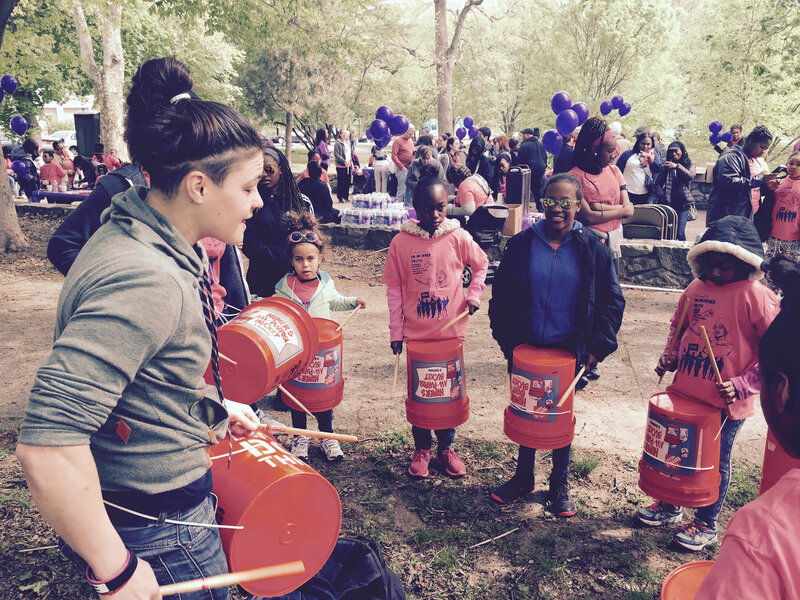 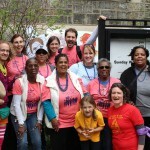 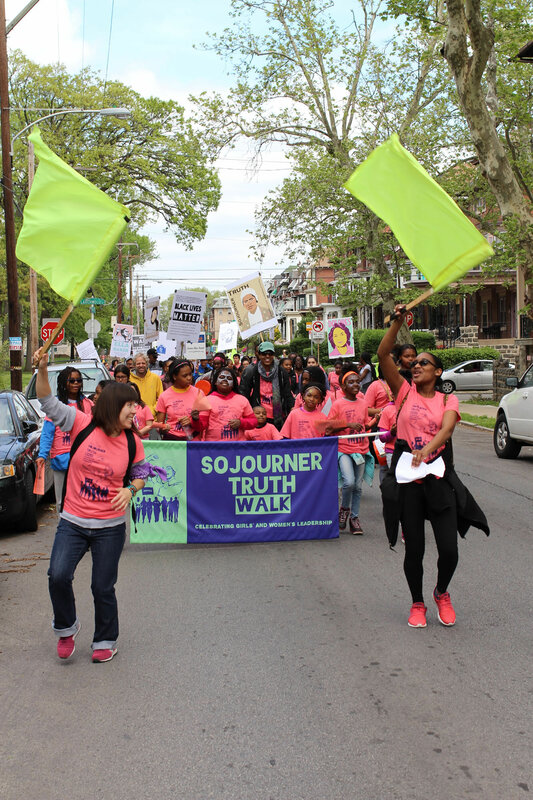 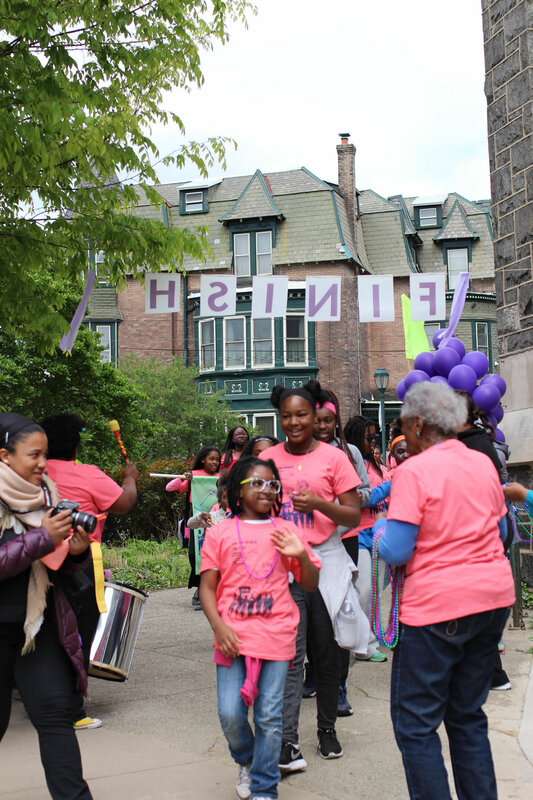 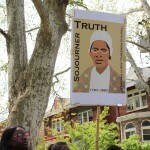 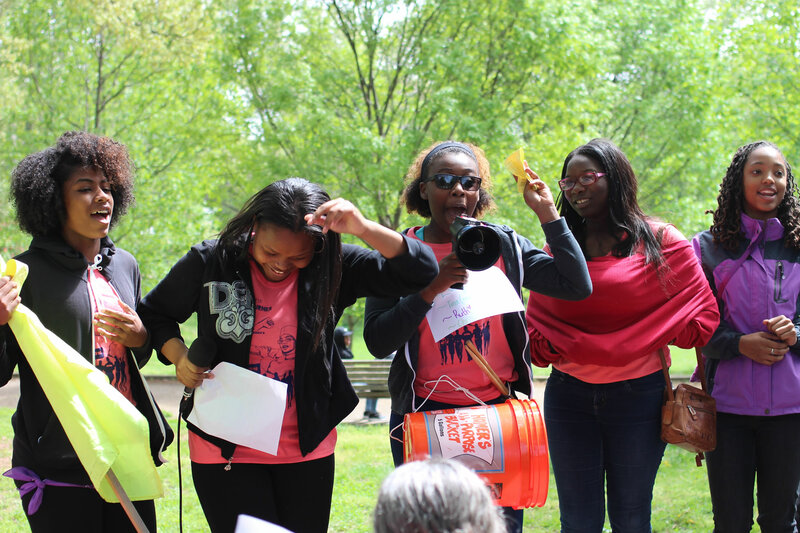 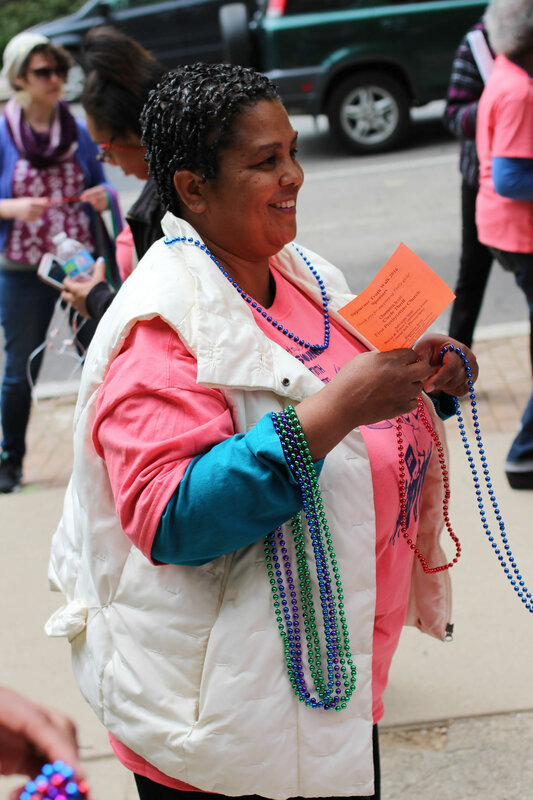 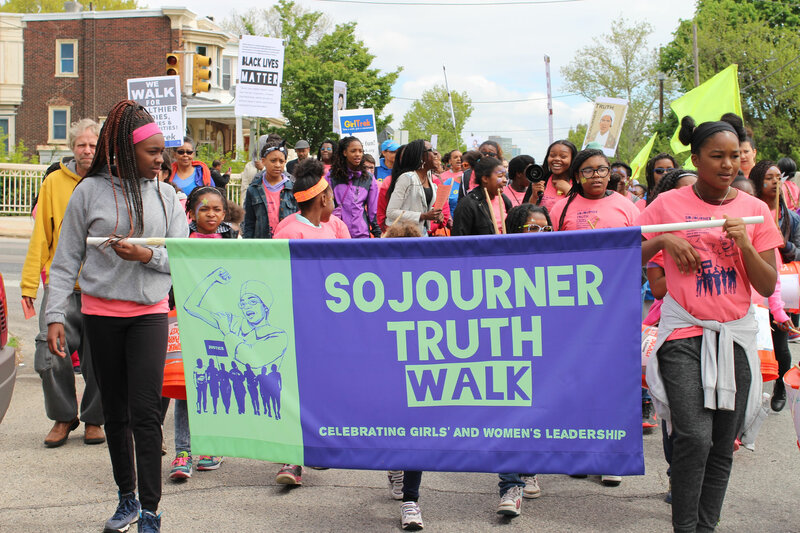 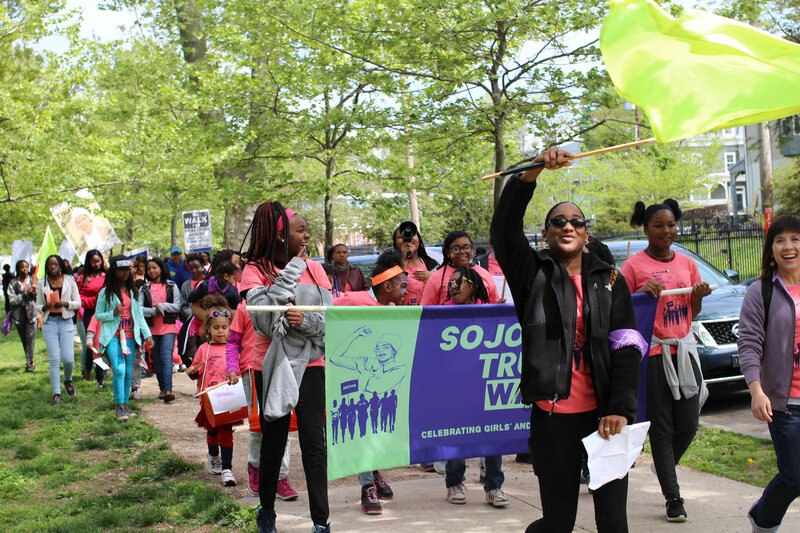 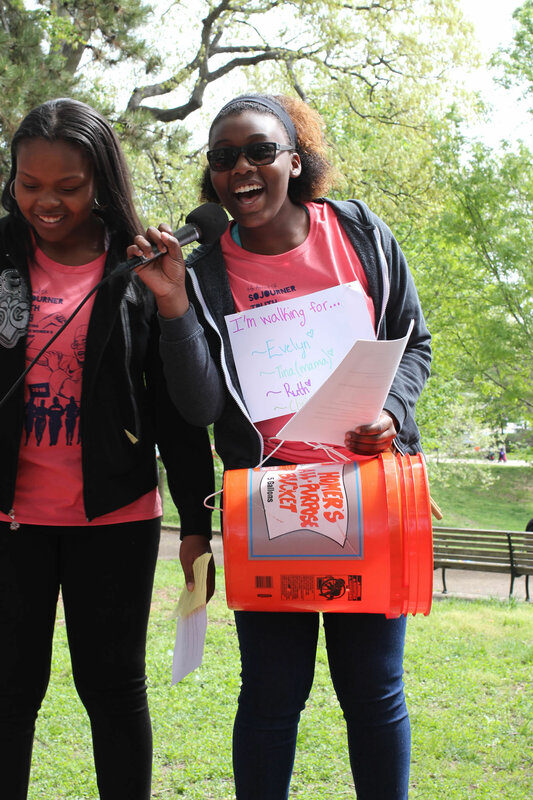 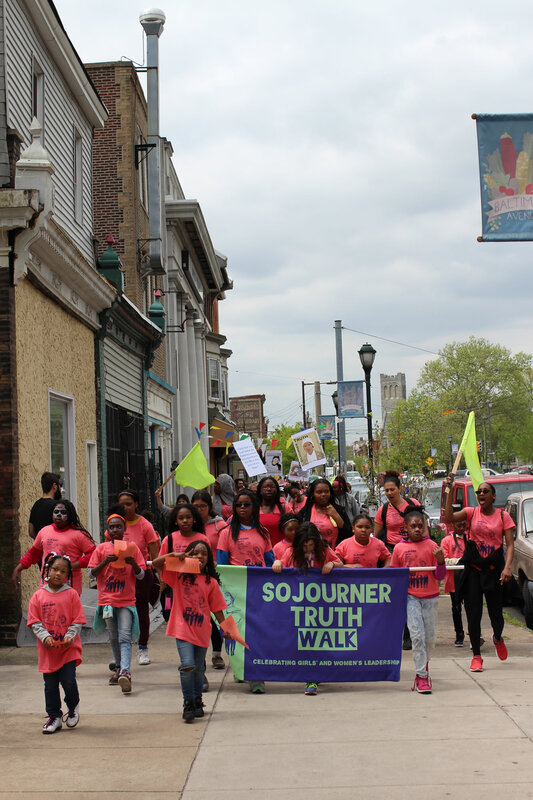 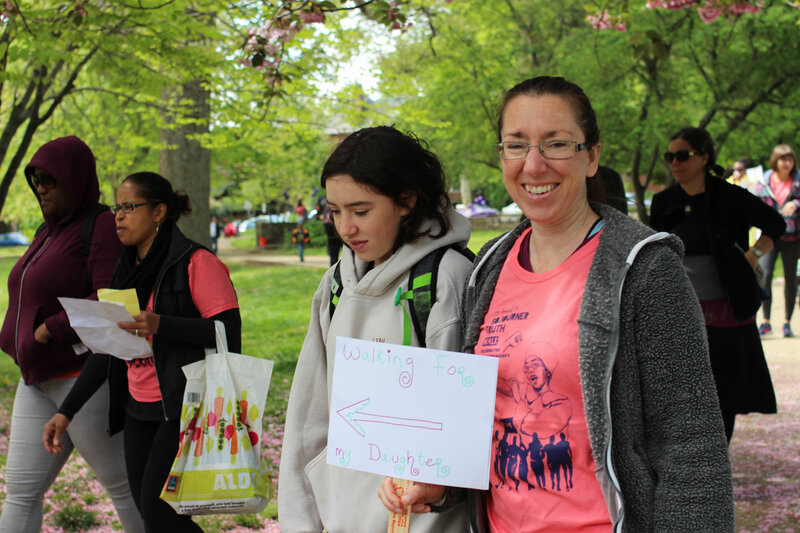 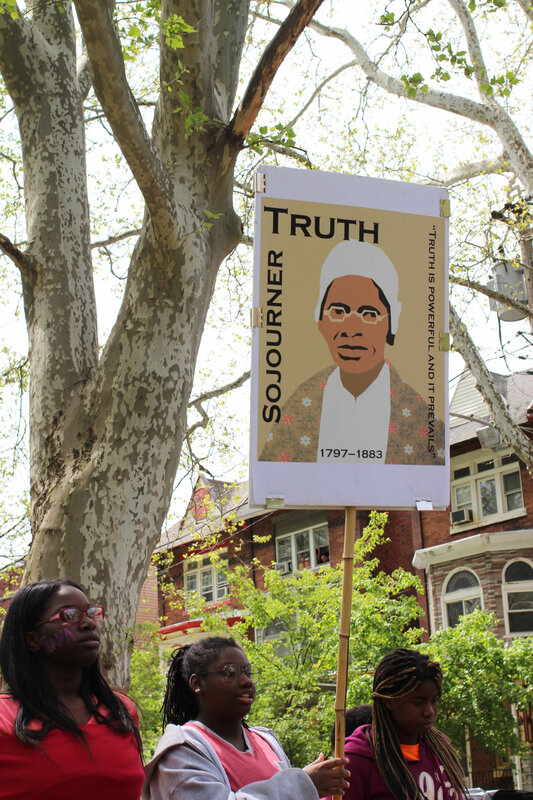 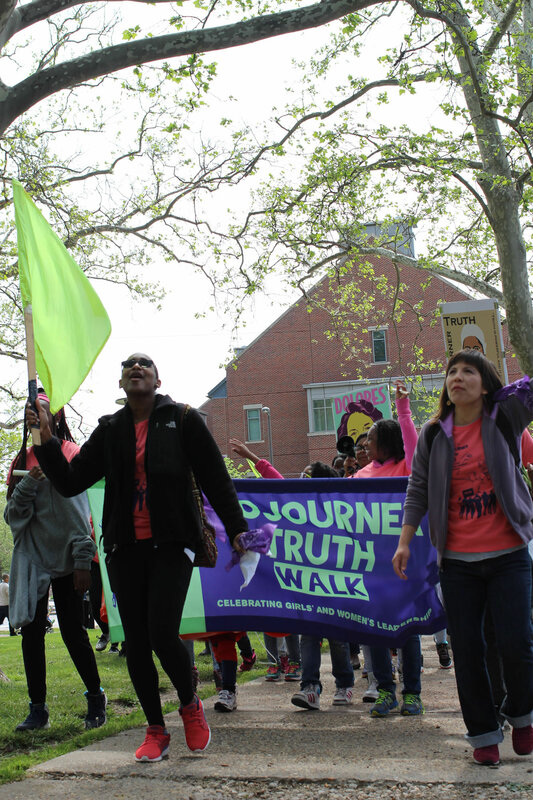 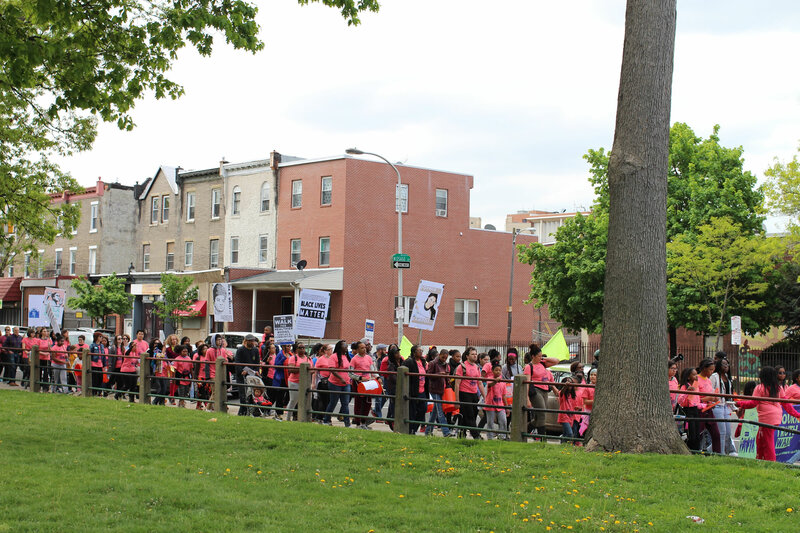 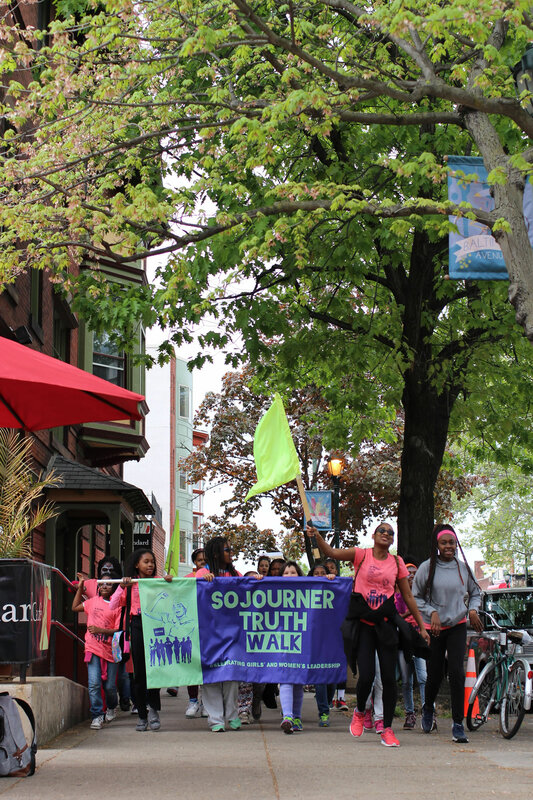 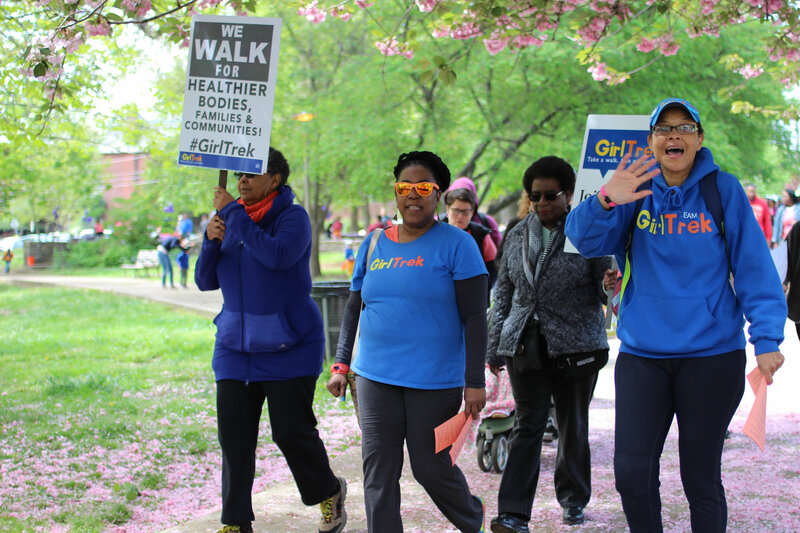 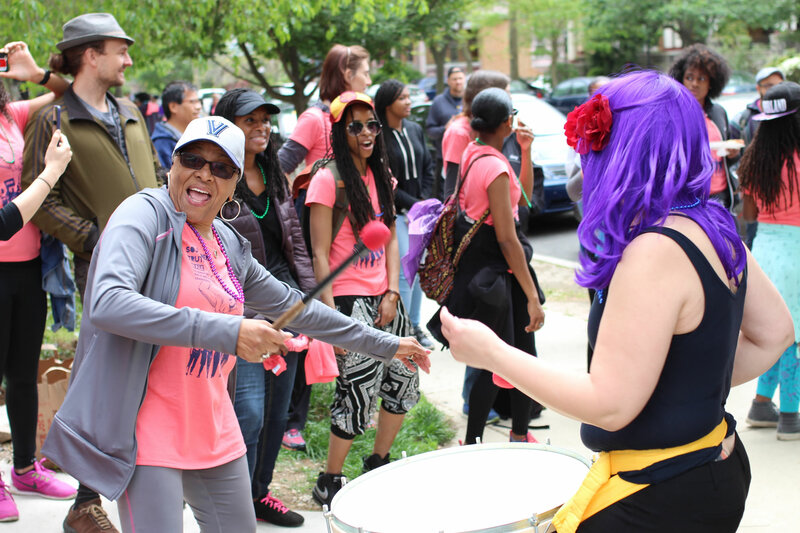 Thanks to everyone who helped make the Fourth Annual Sojourner Truth Walk on April 30, 2016 an amazing success! 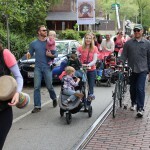 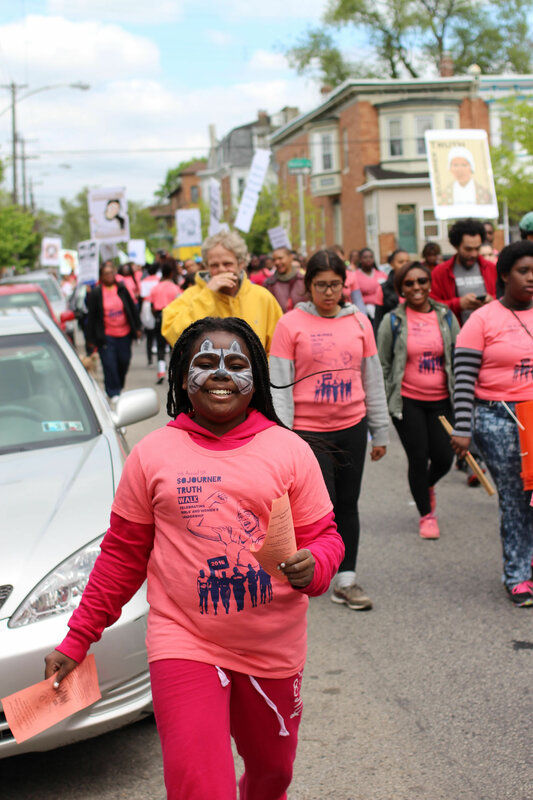 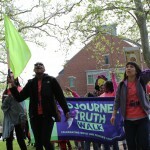 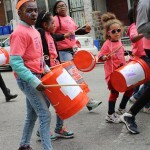 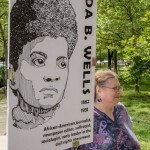 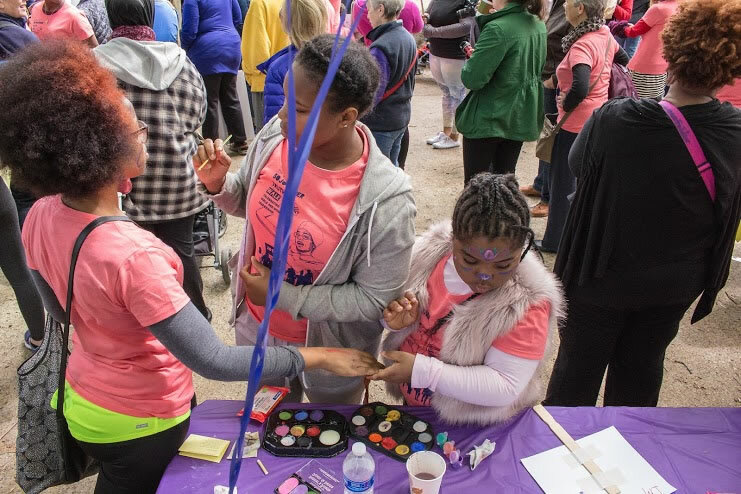 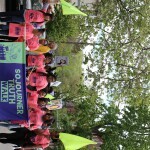 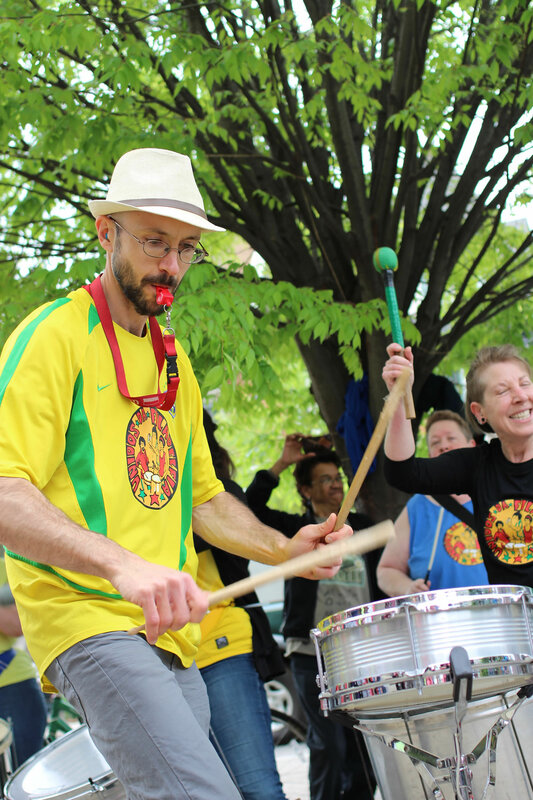 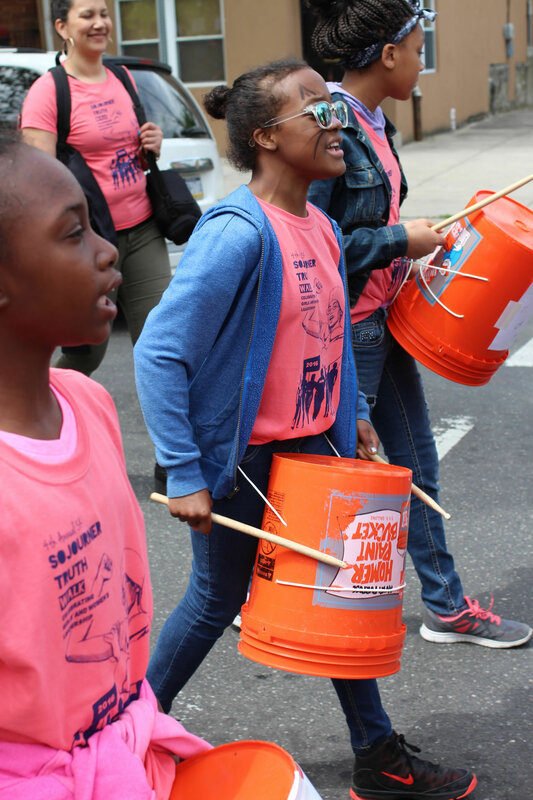 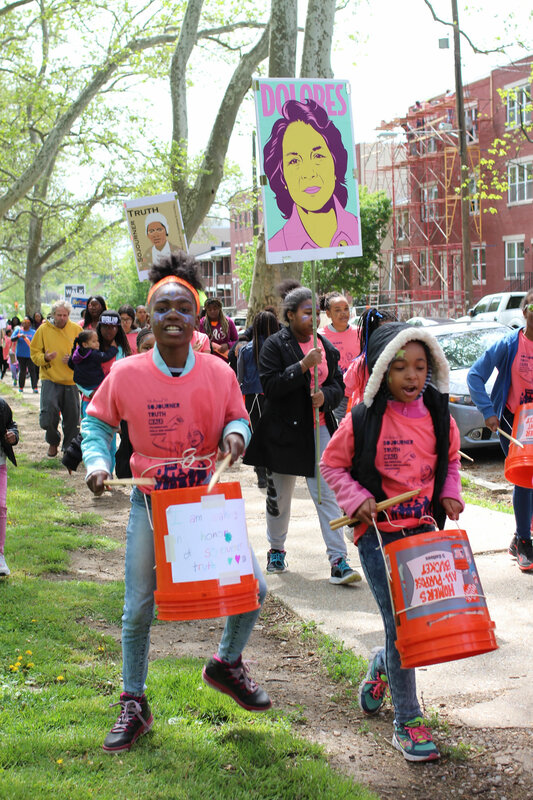 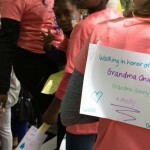 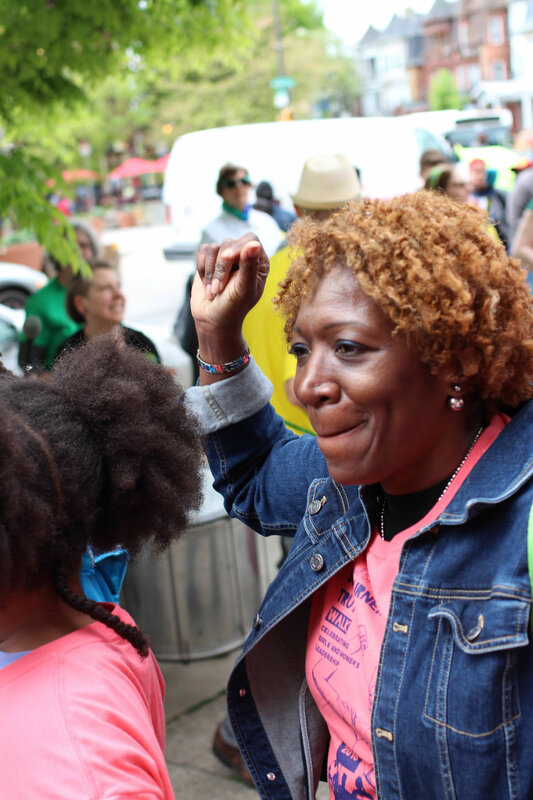 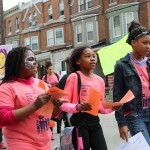 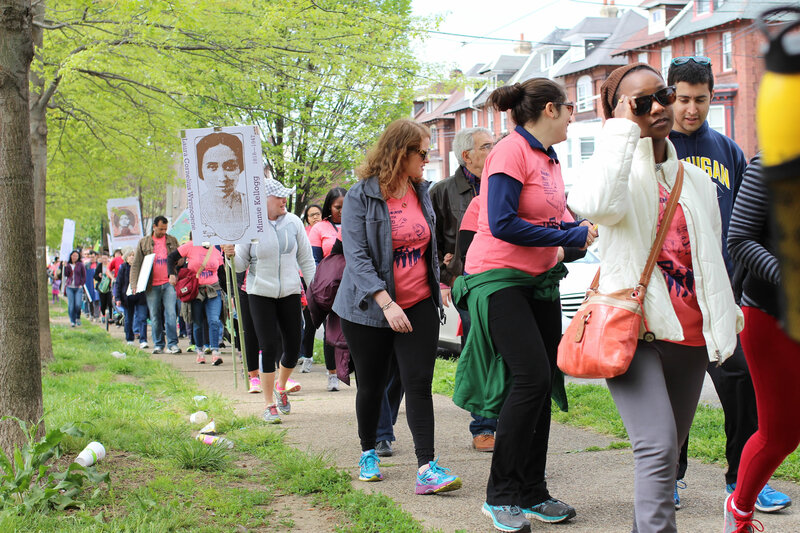 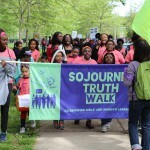 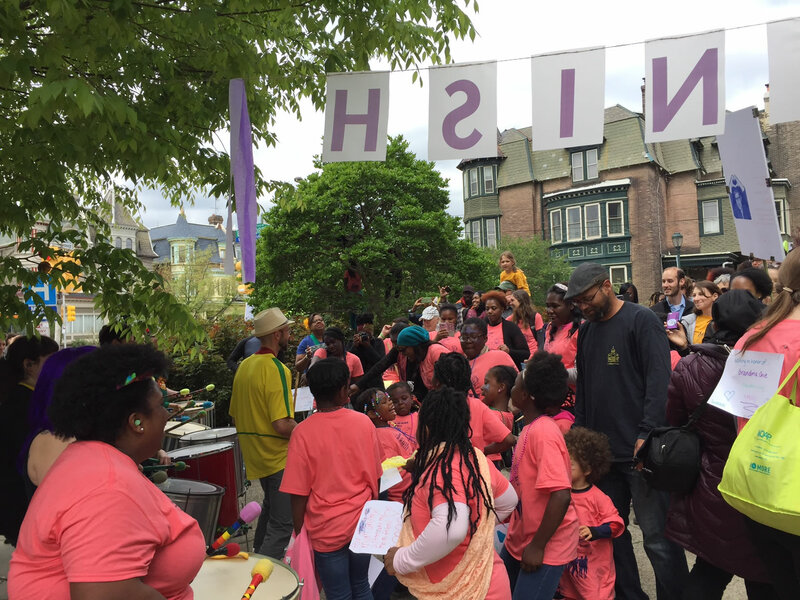 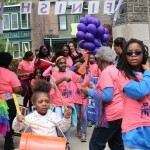 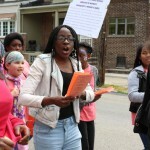 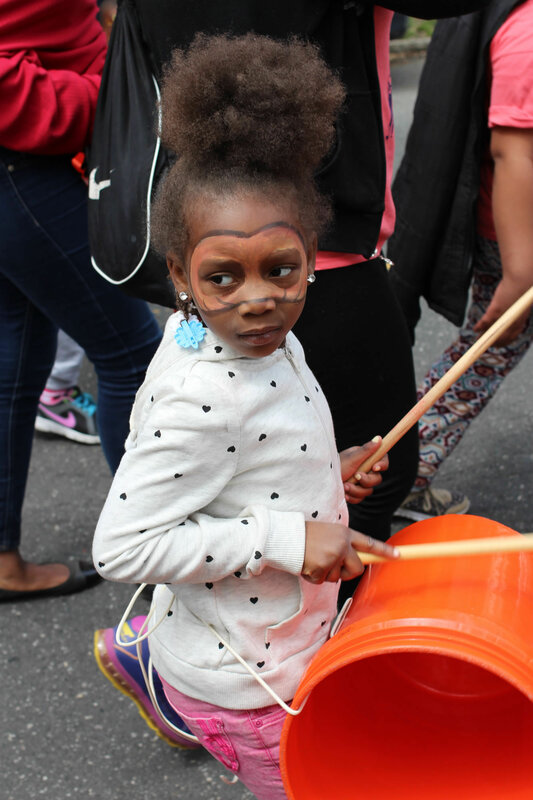 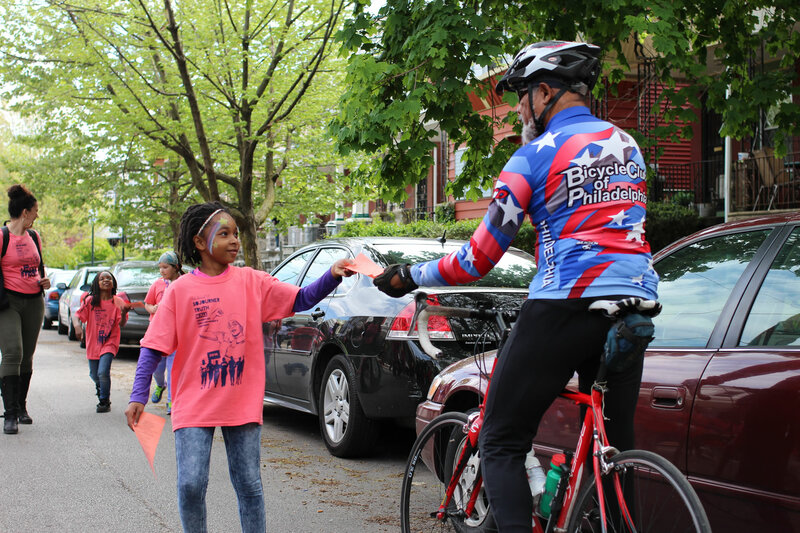 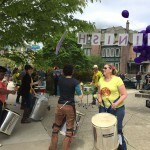 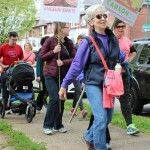 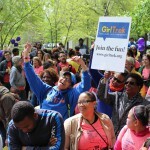 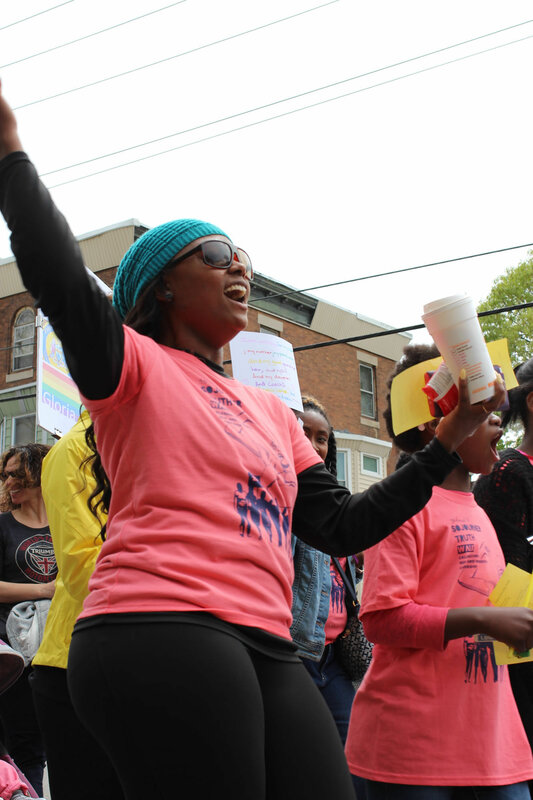 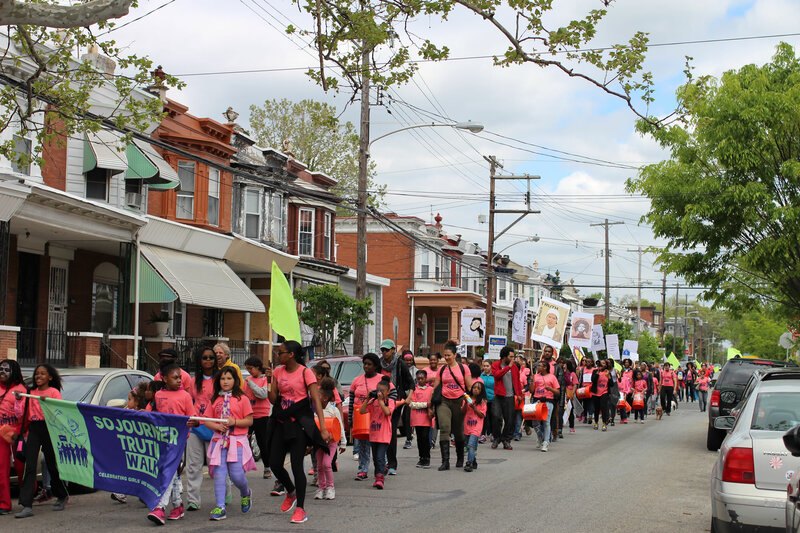 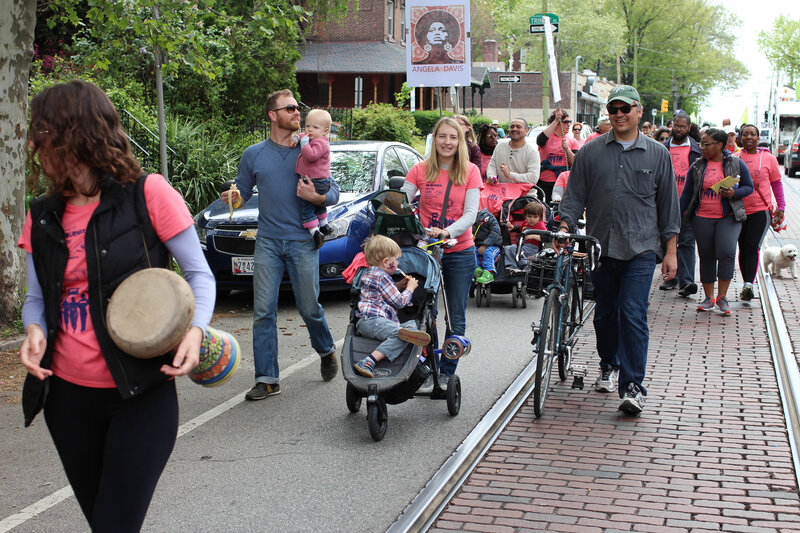 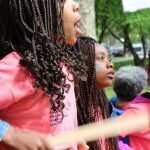 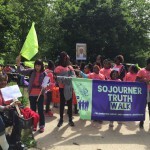 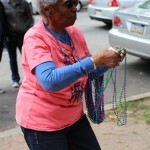 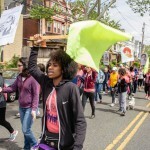 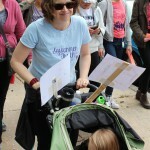 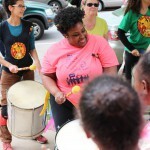 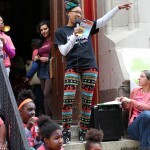 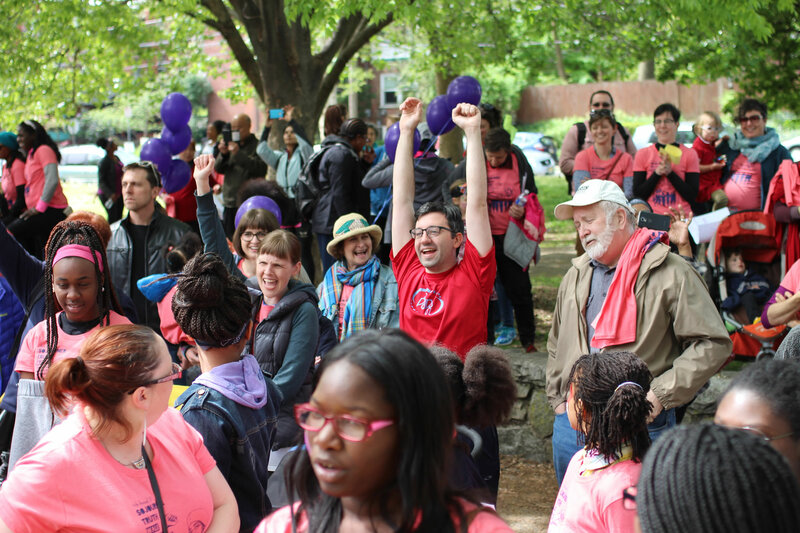 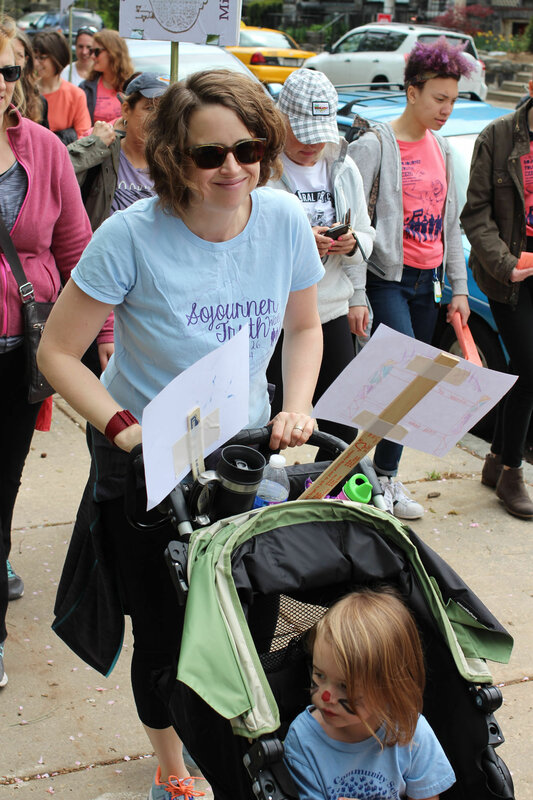 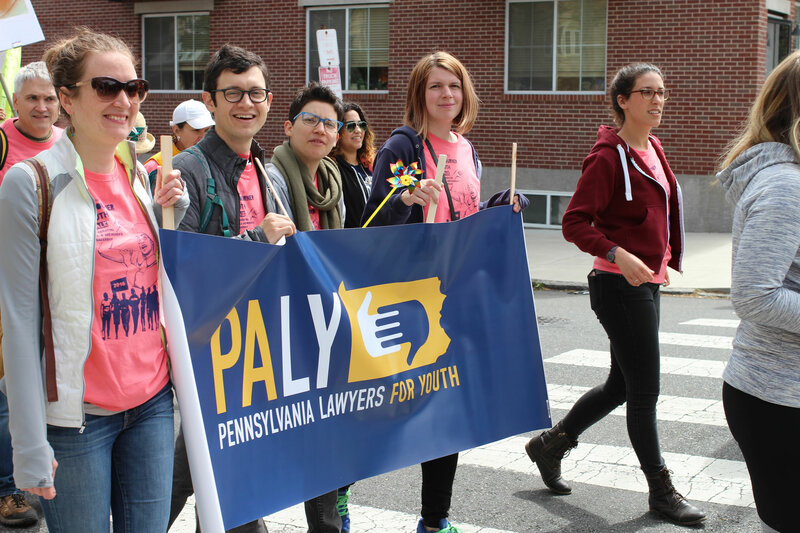 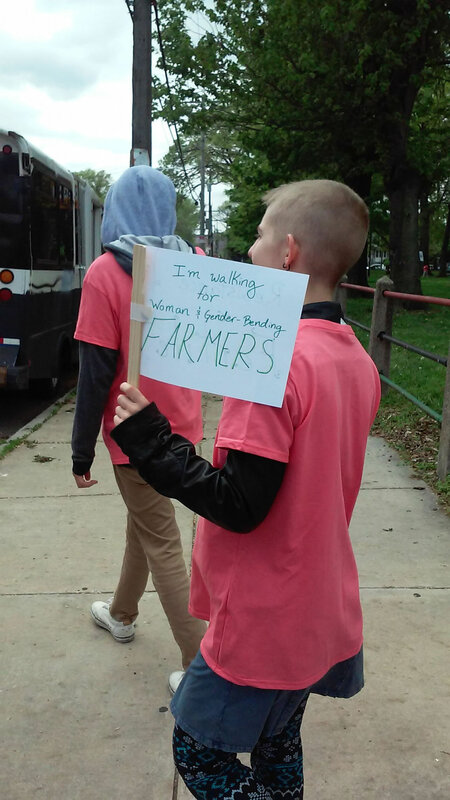 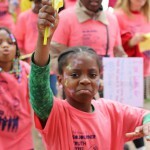 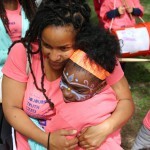 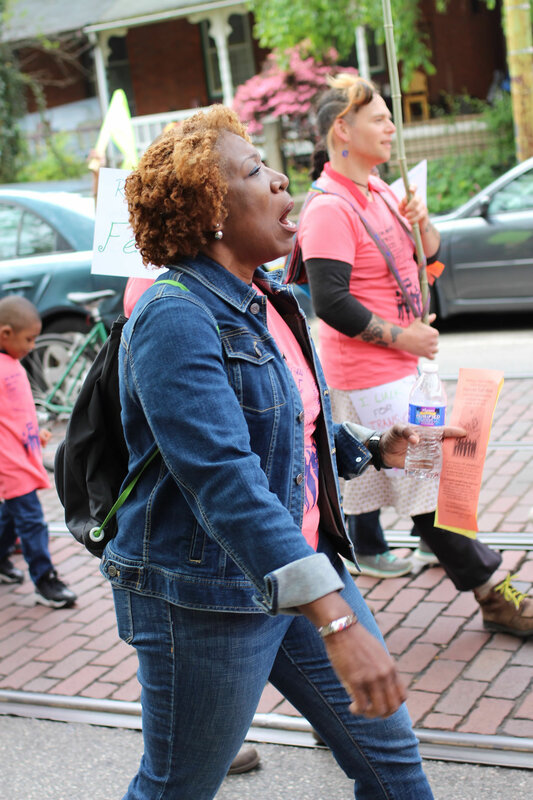 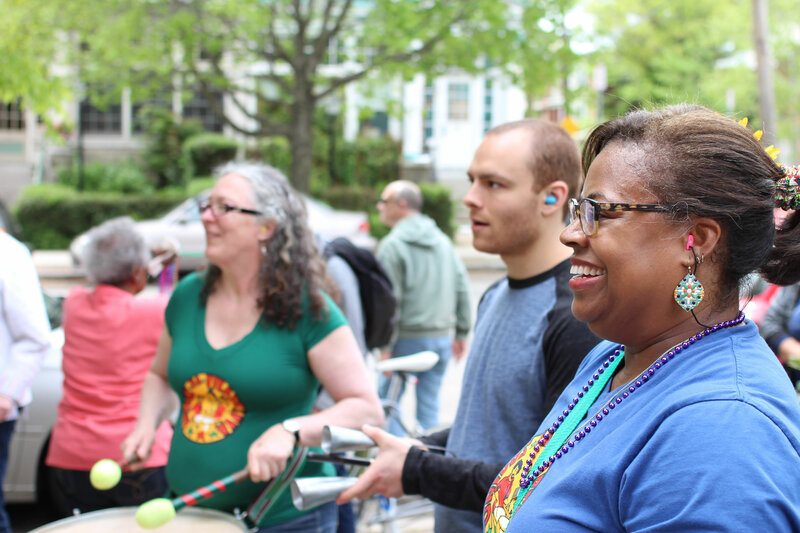 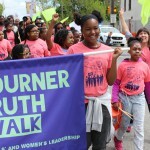 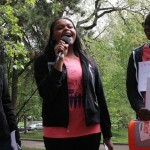 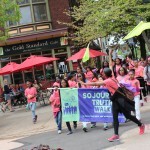 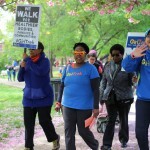 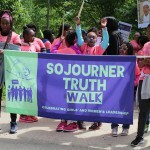 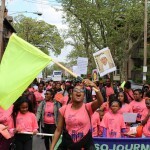 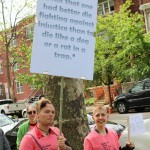 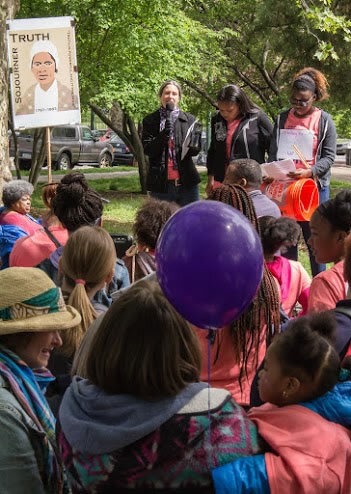 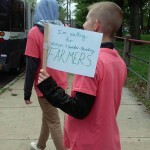 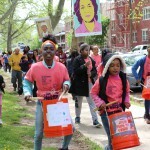 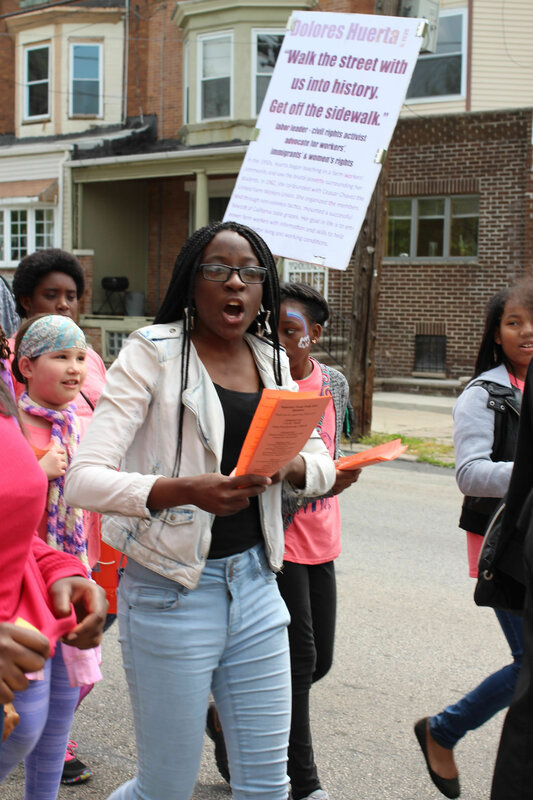 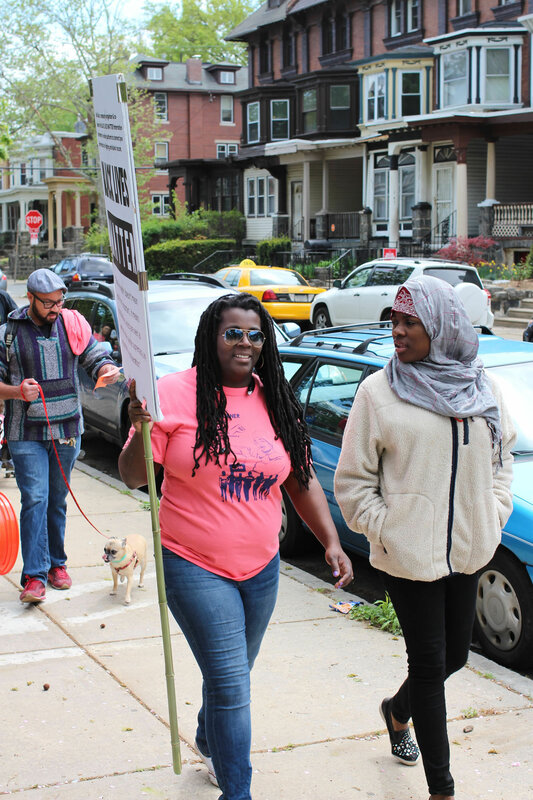 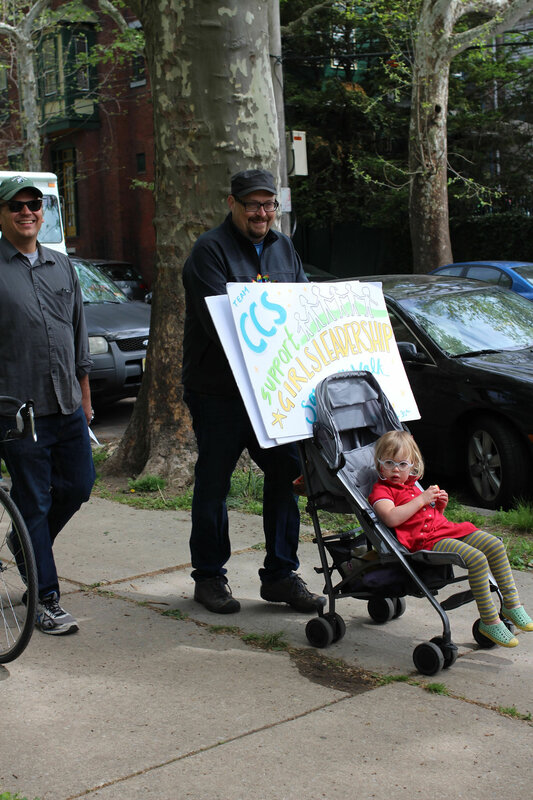 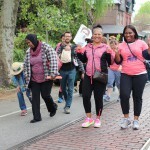 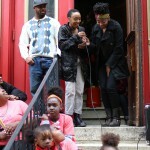 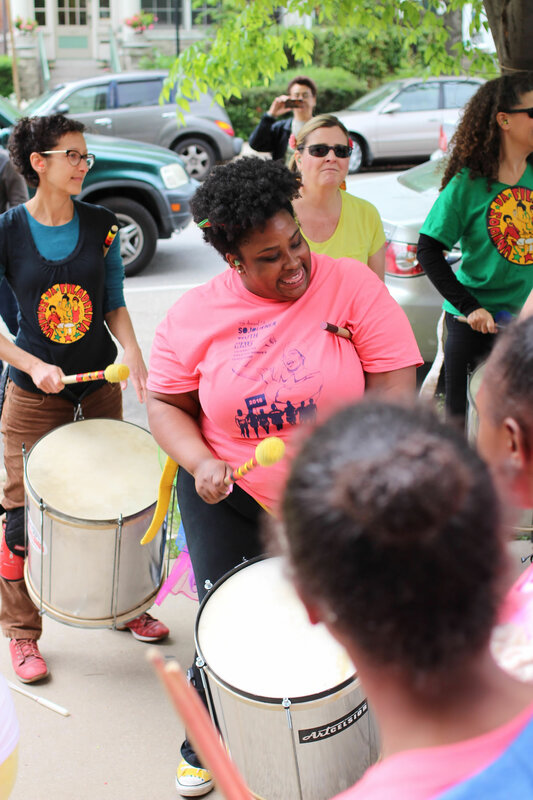 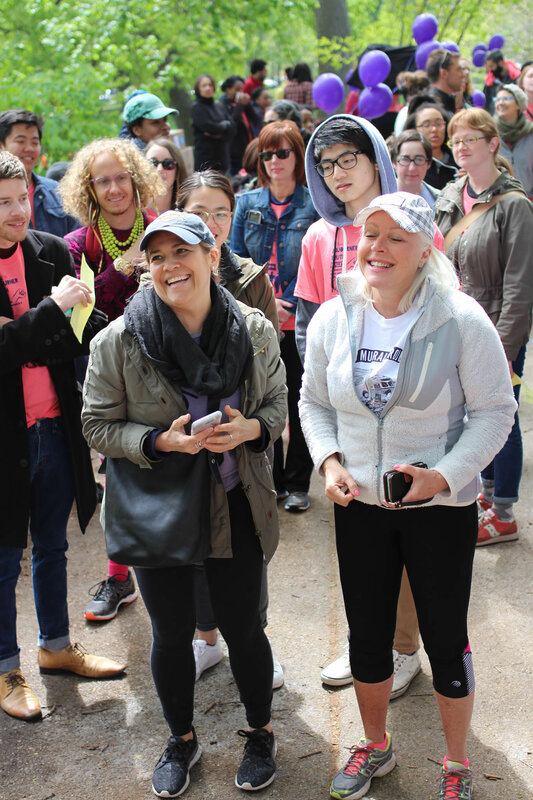 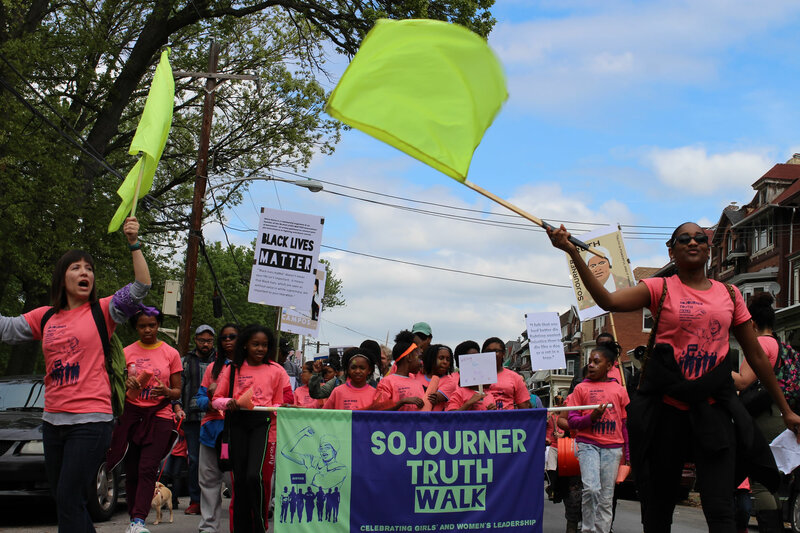 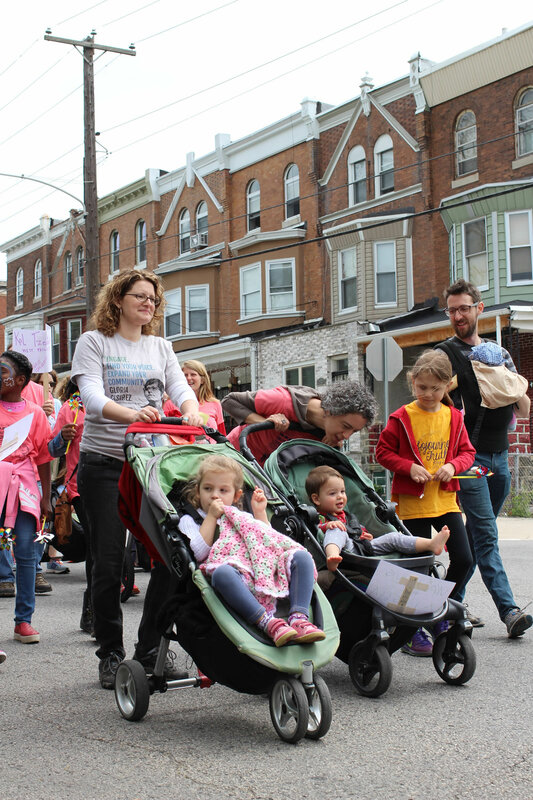 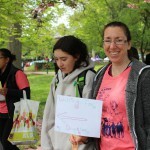 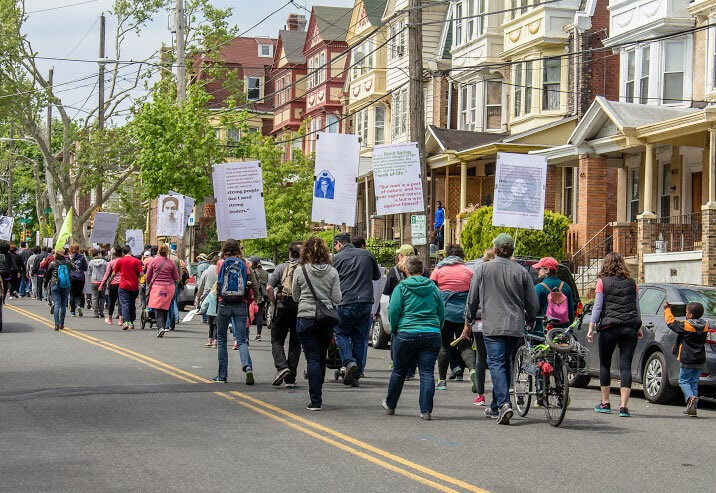 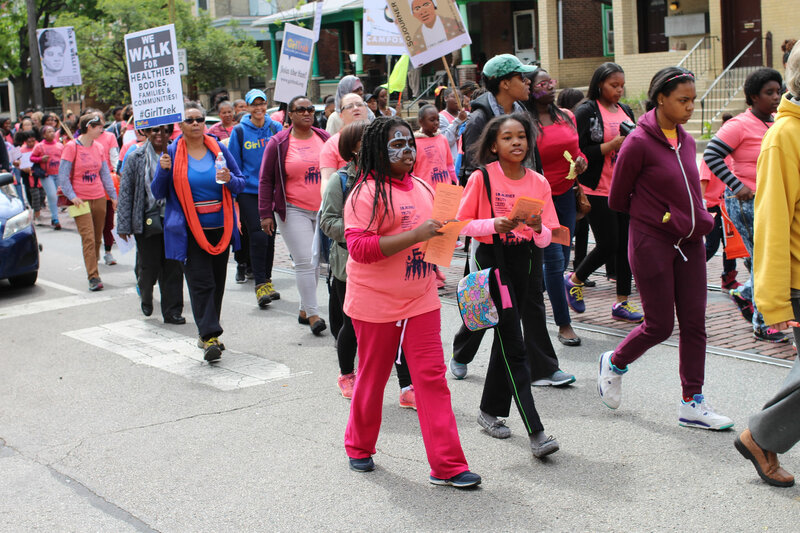 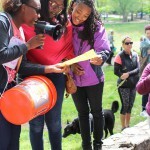 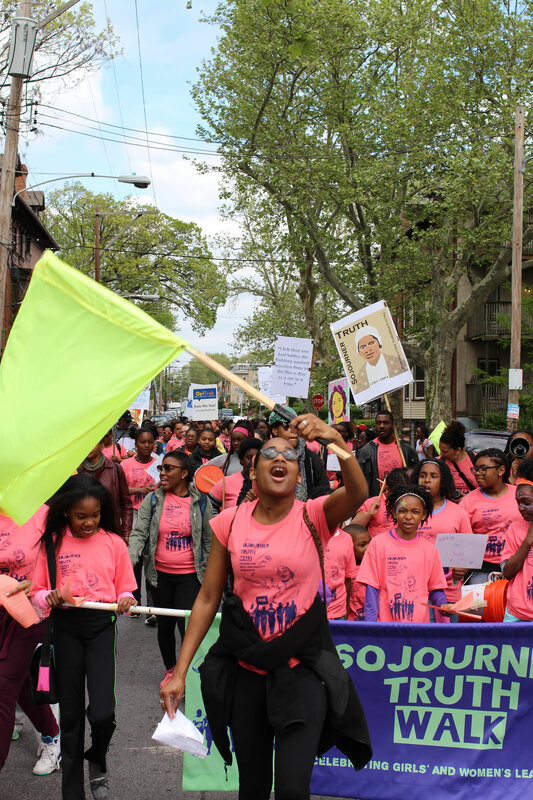 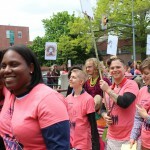 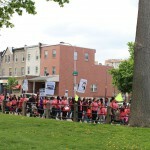 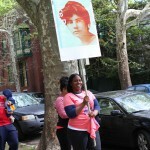 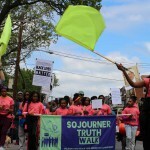 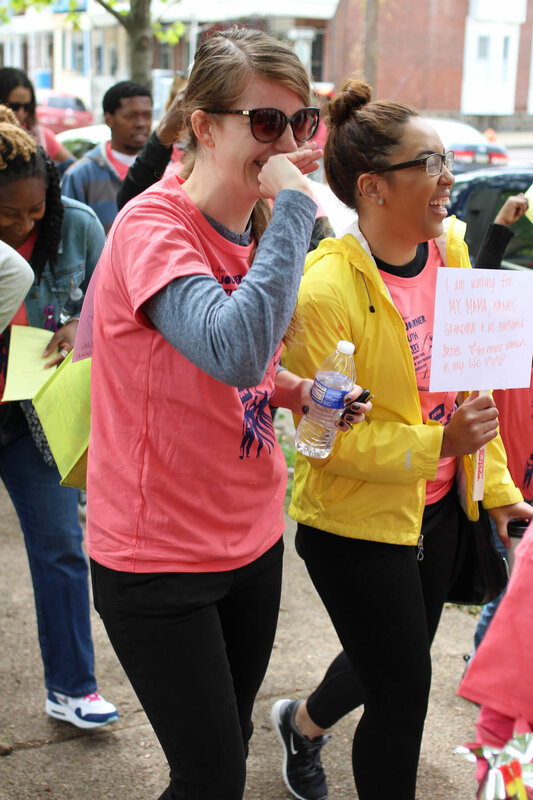 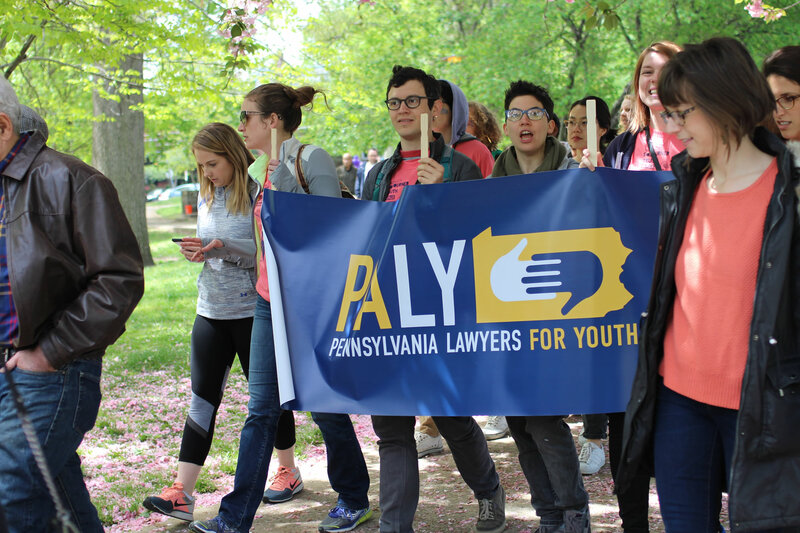 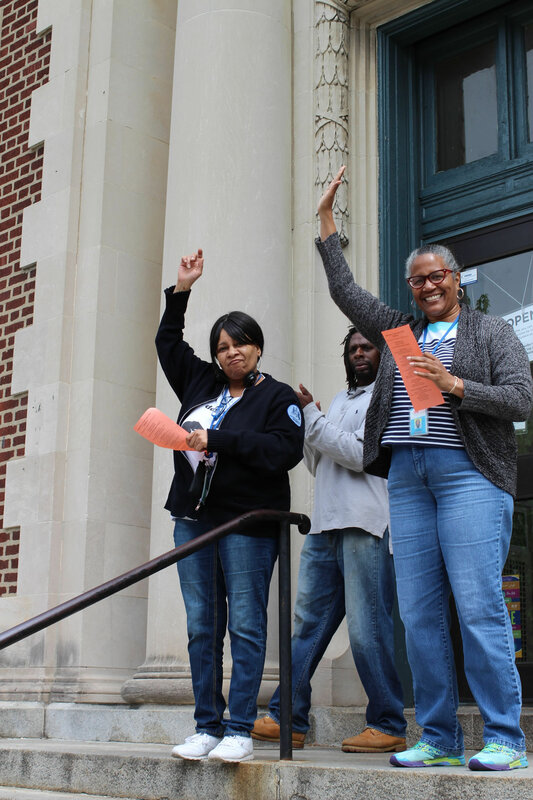 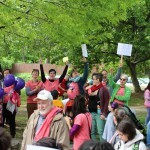 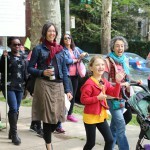 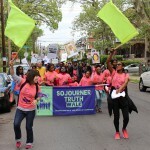 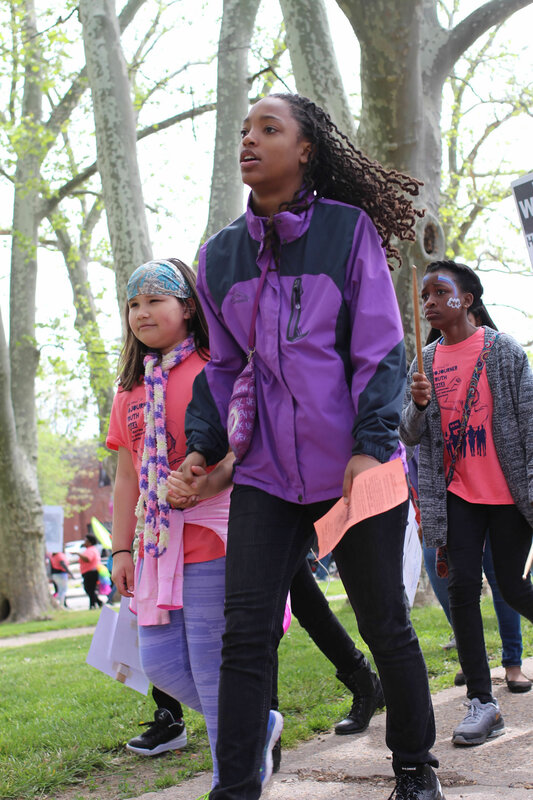 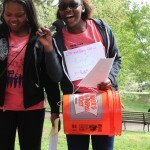 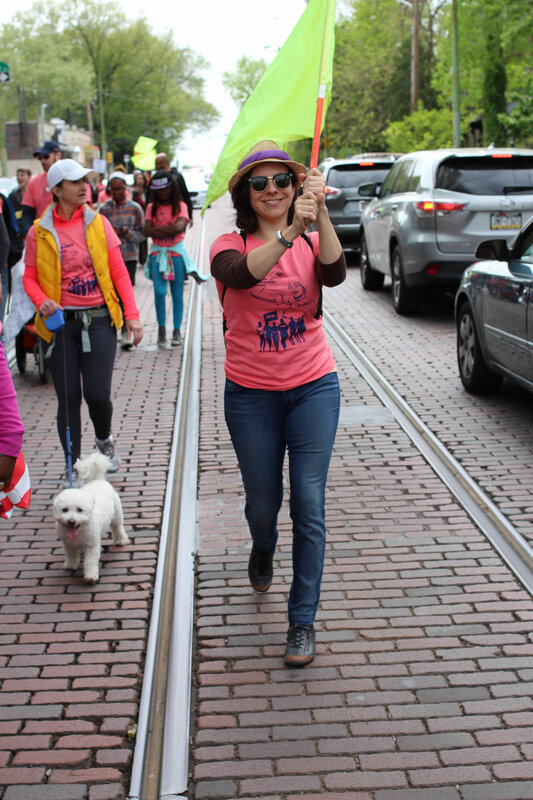 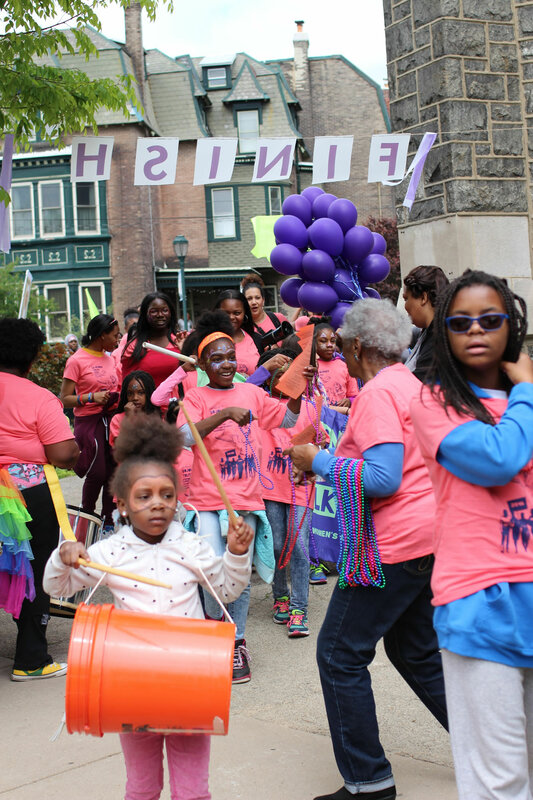 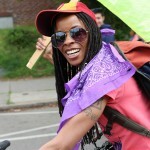 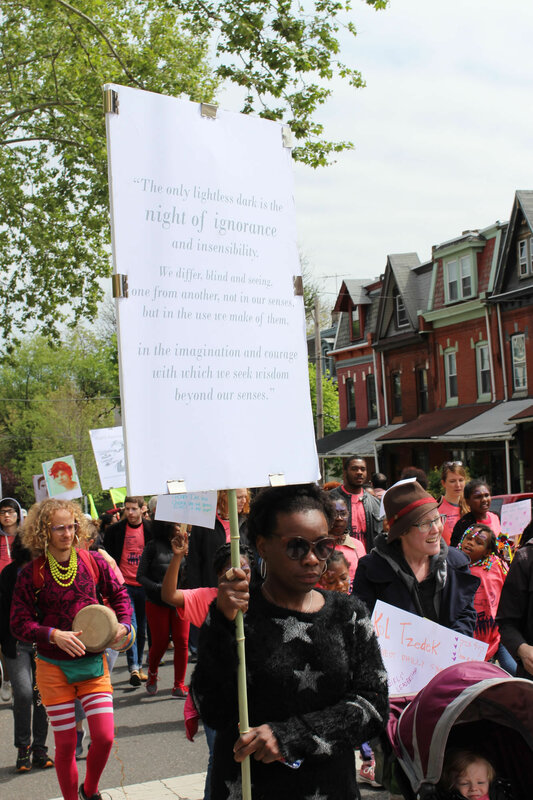 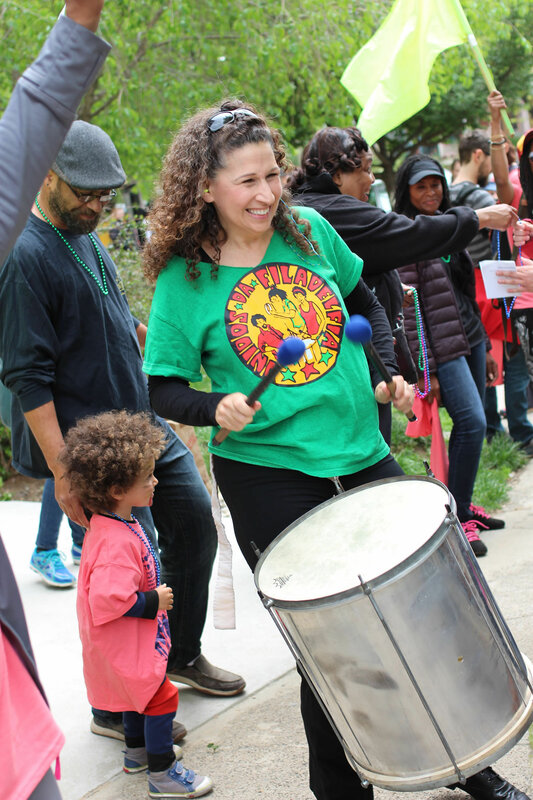 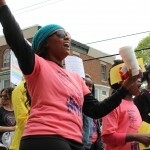 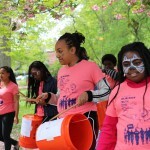 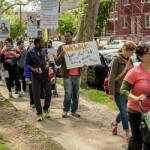 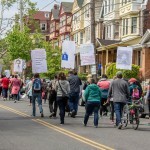 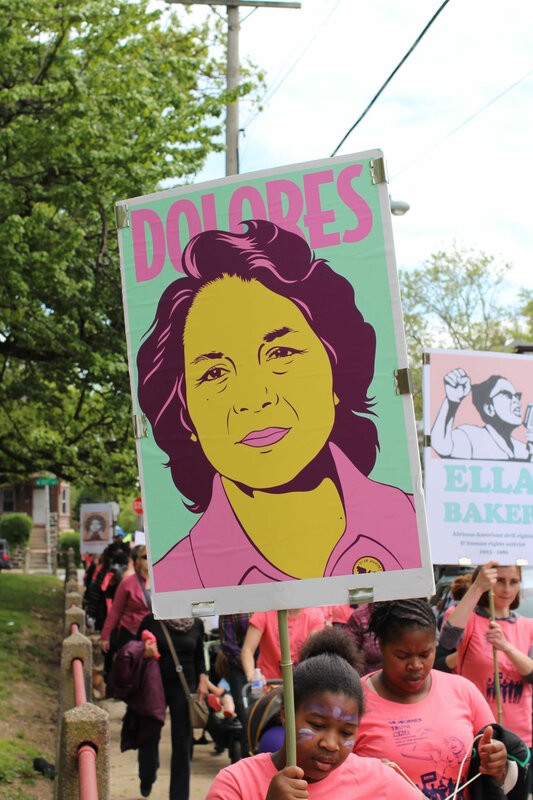 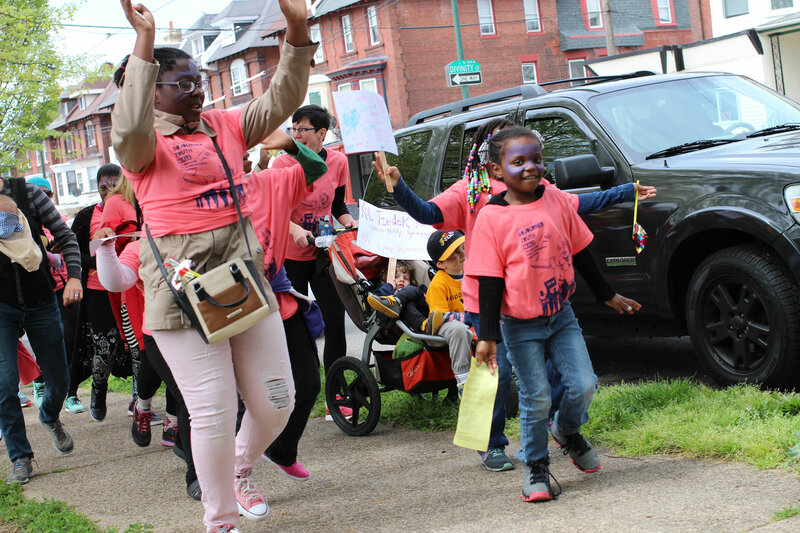 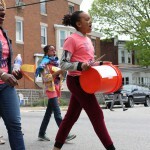 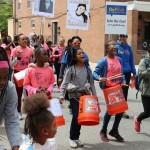 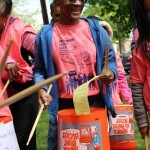 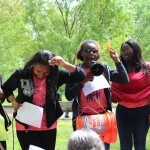 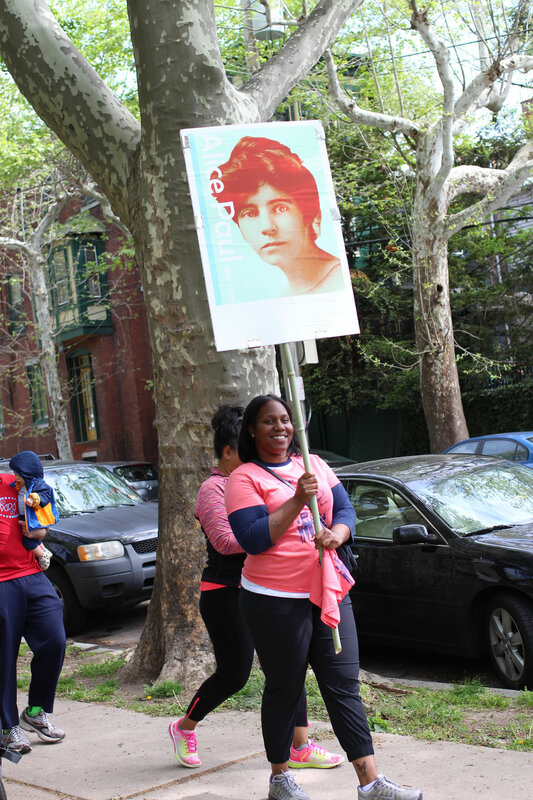 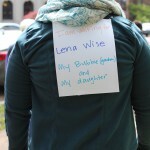 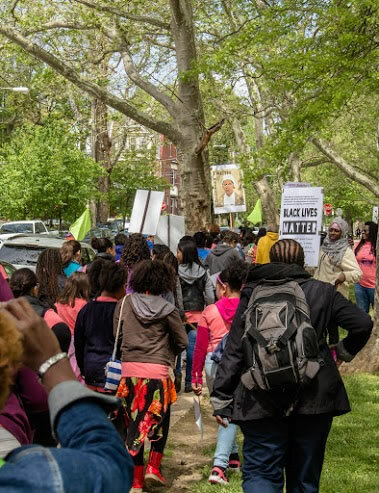 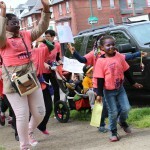 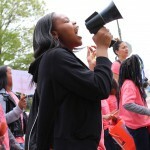 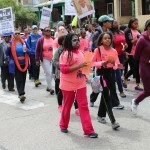 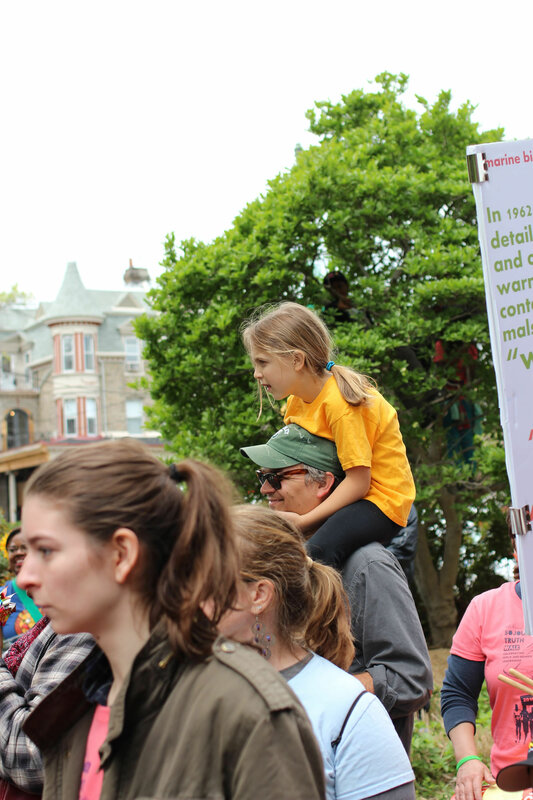 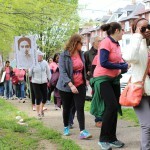 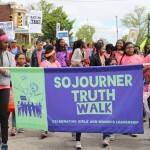 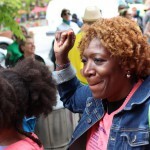 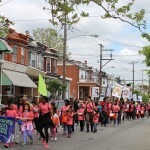 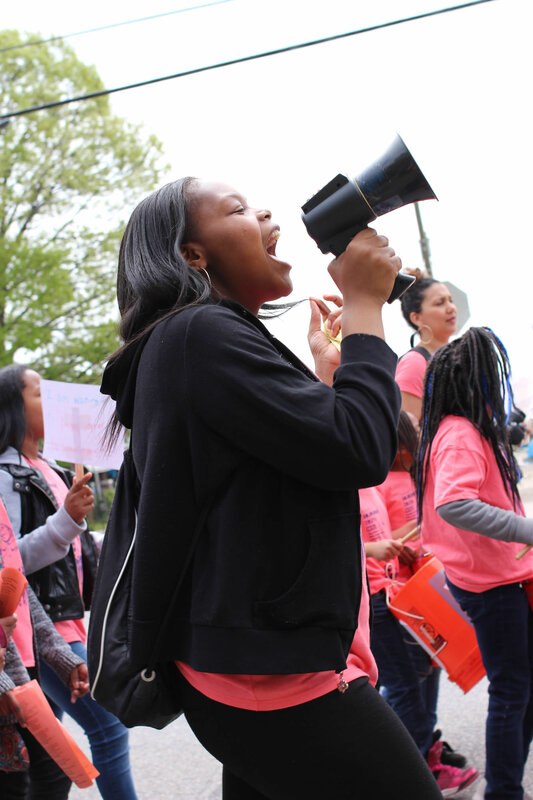 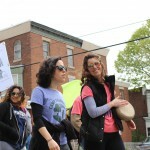 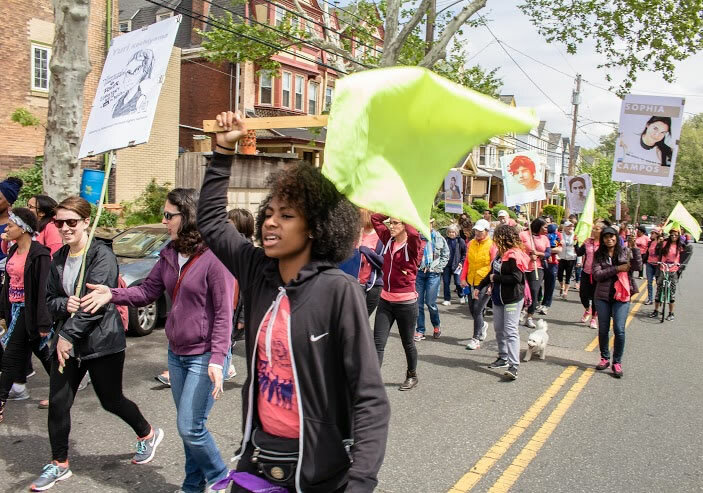 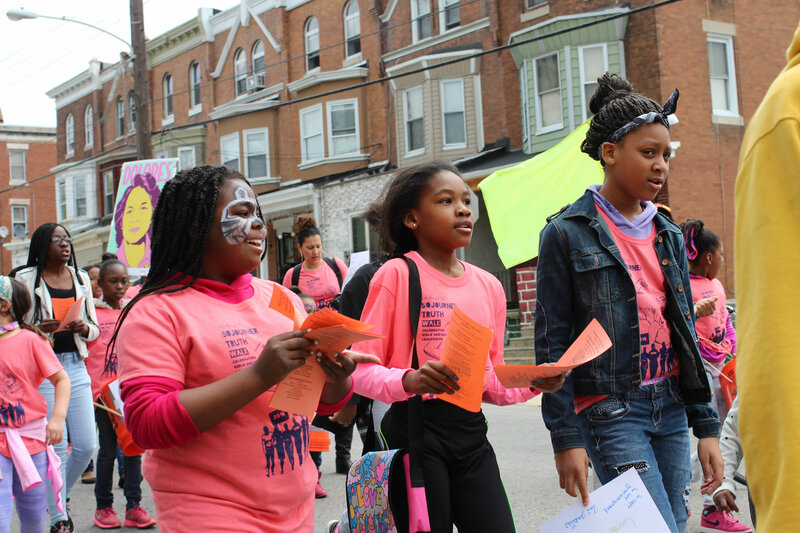 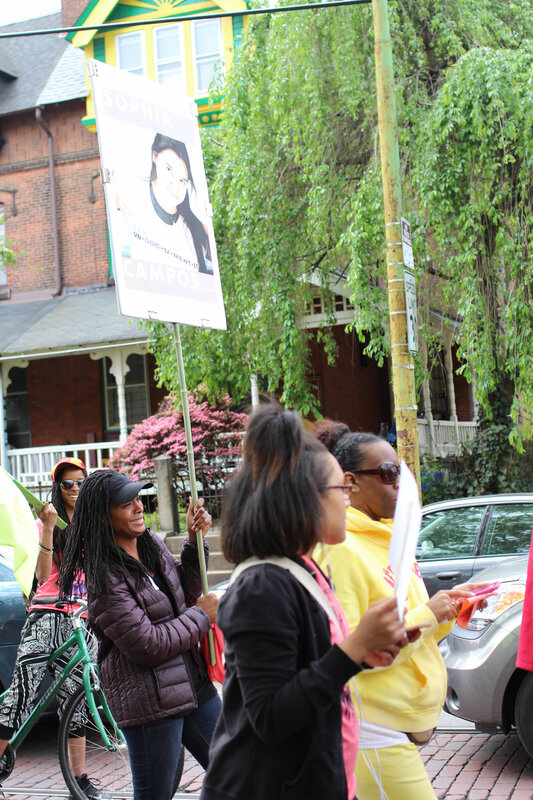 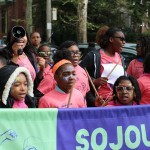 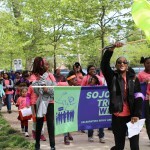 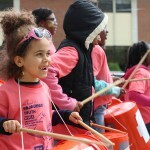 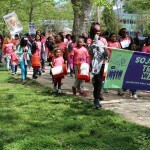 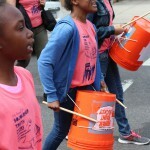 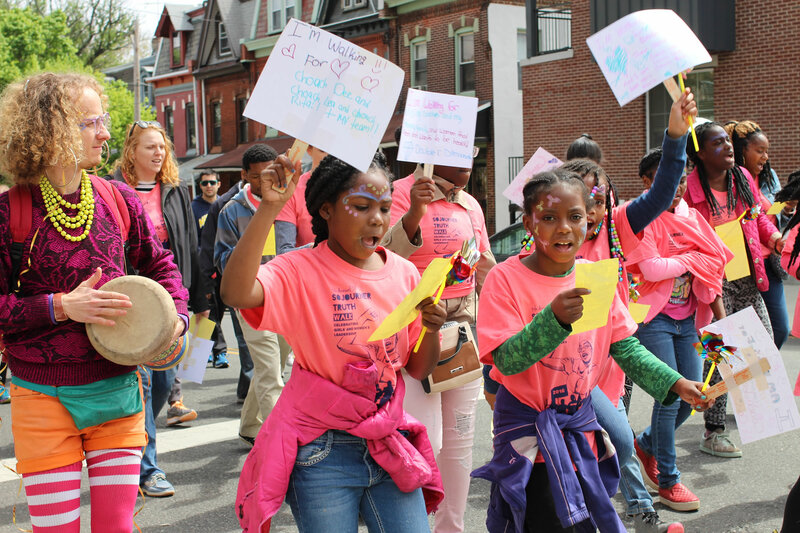 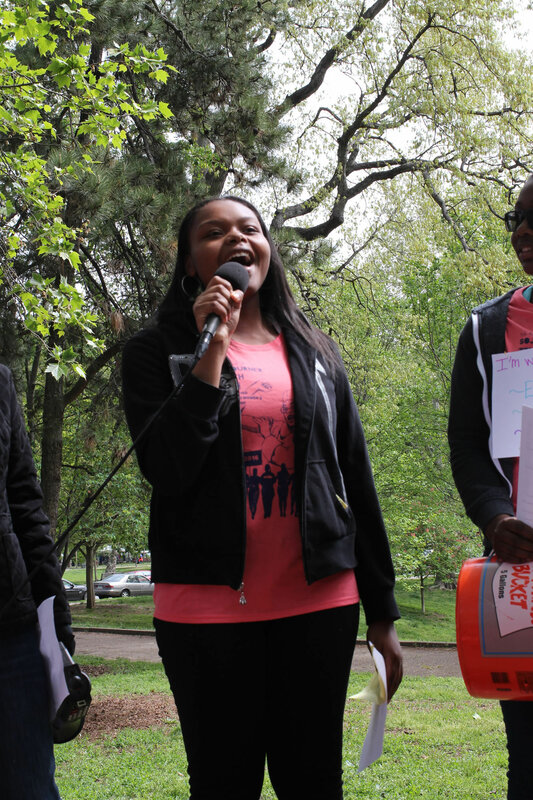 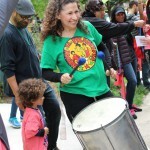 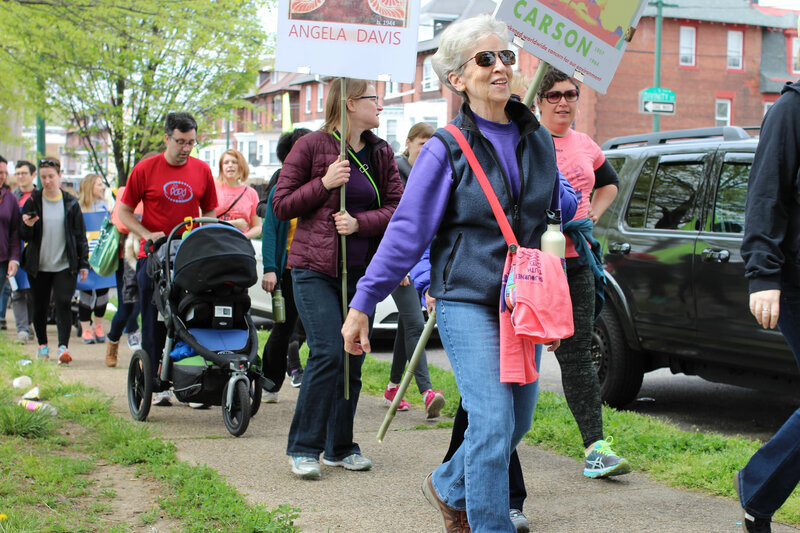 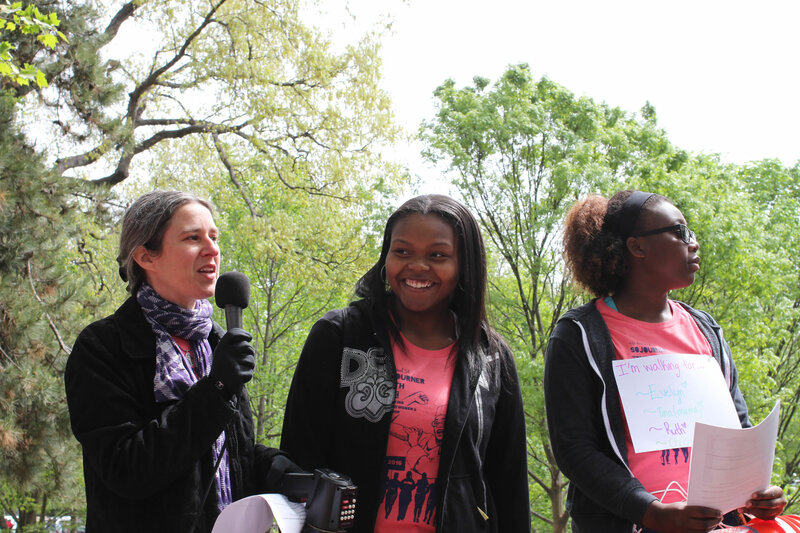 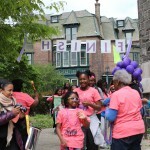 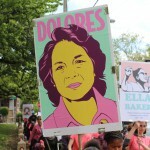 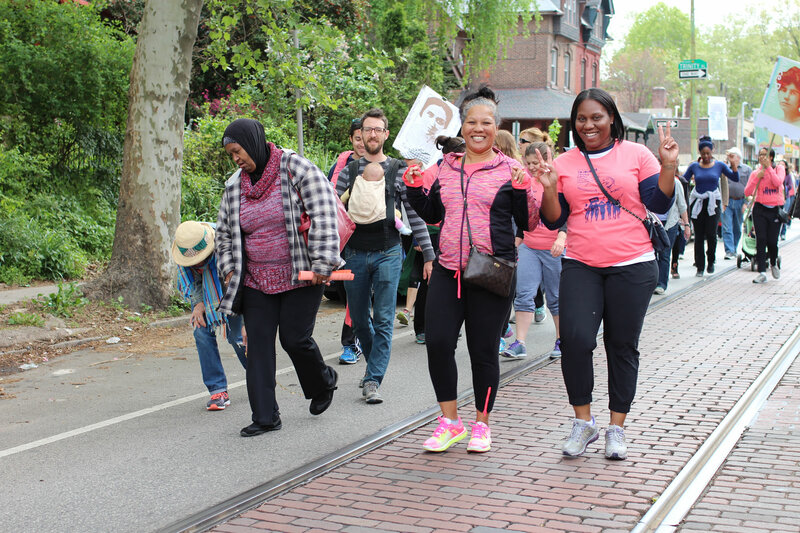 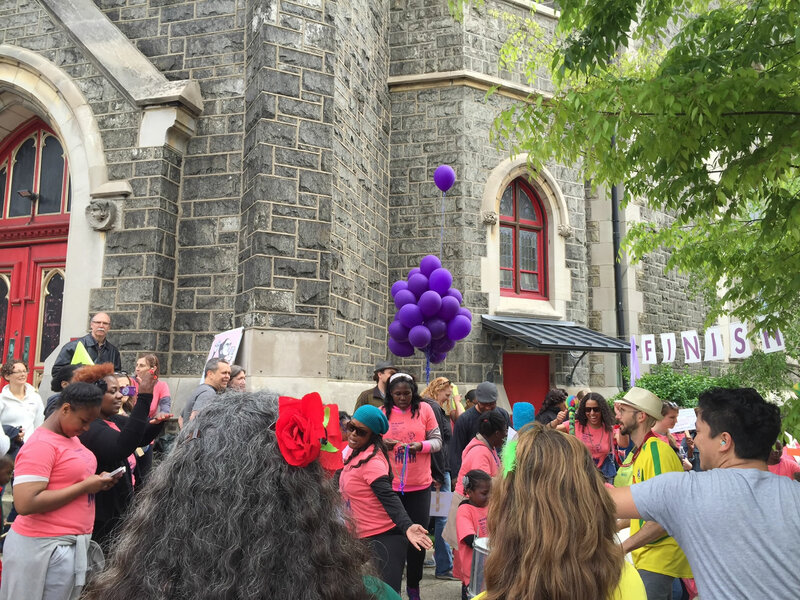 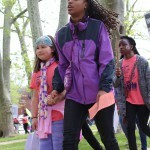 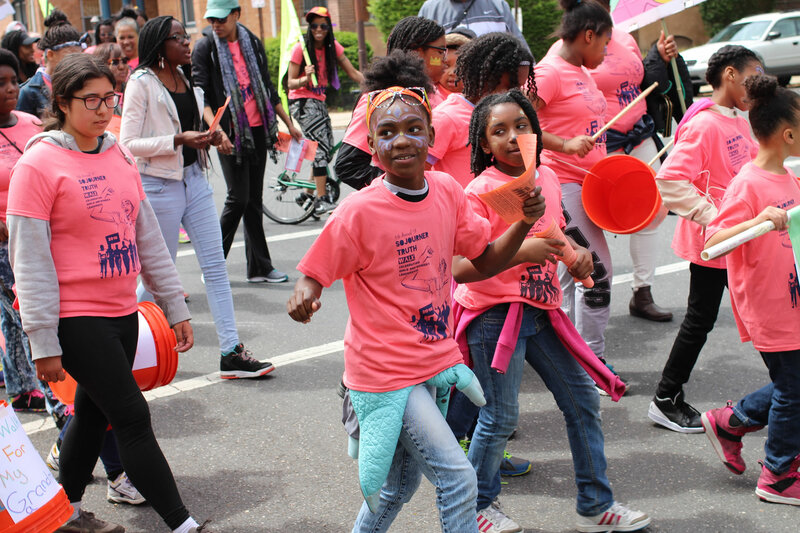 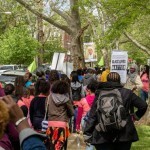 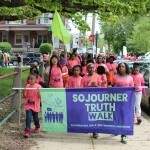 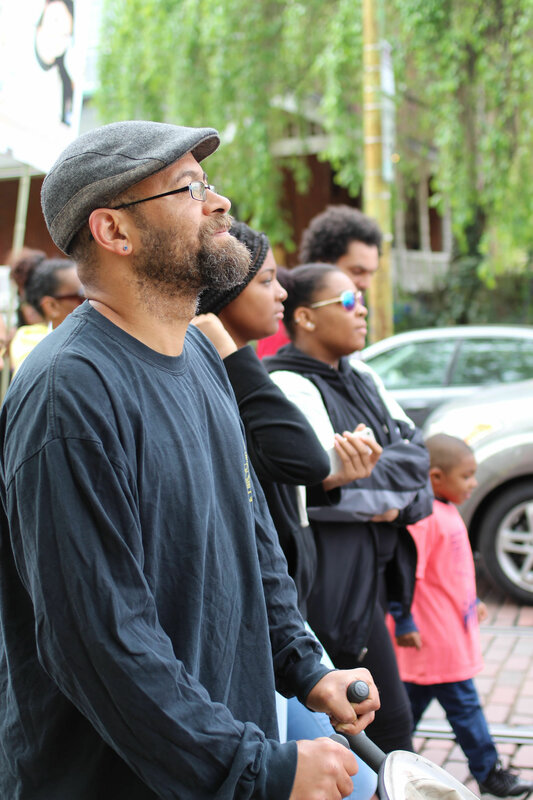 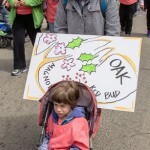 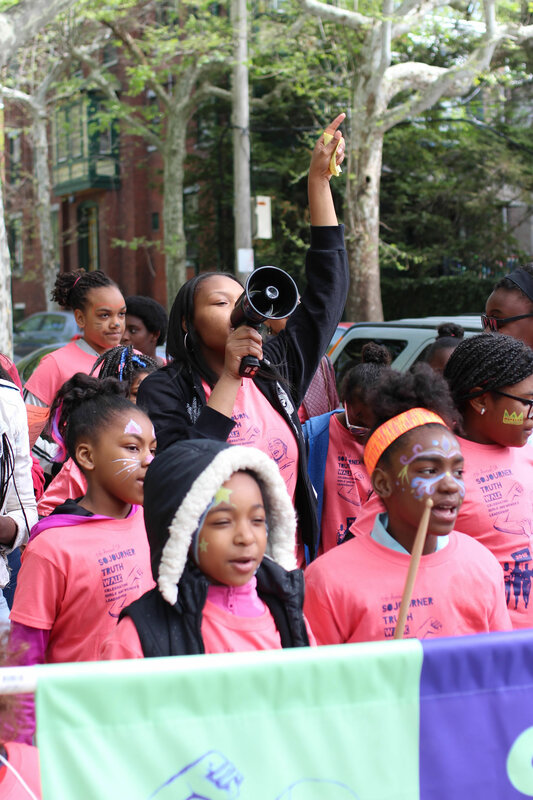 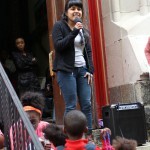 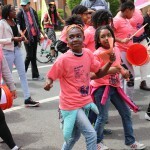 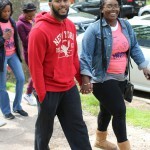 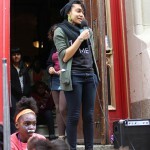 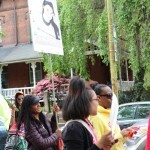 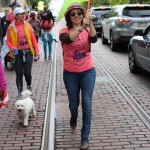 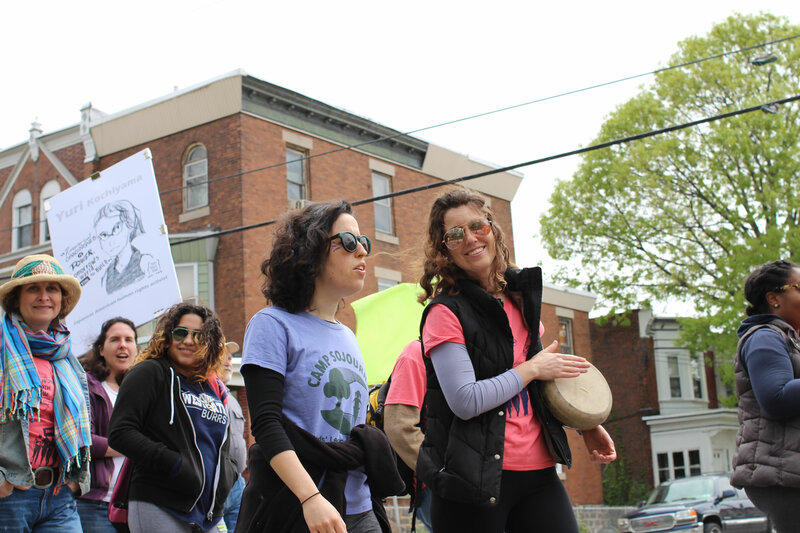 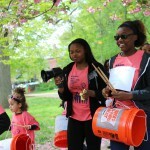 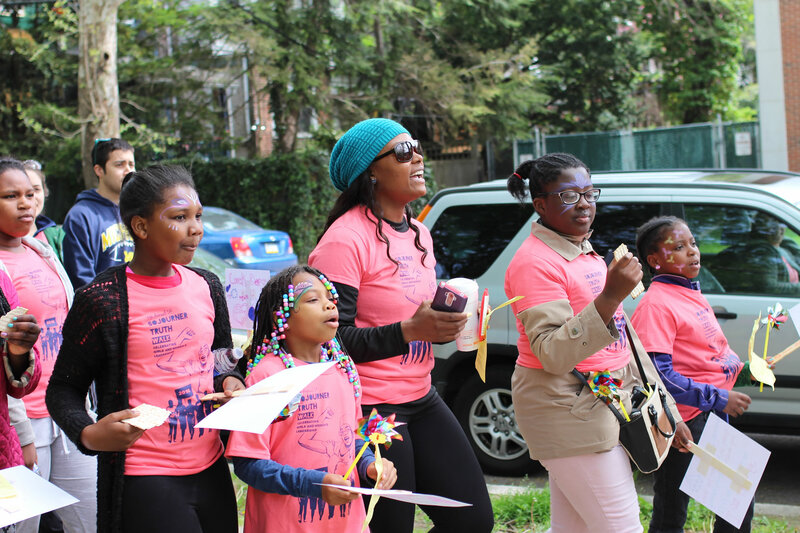 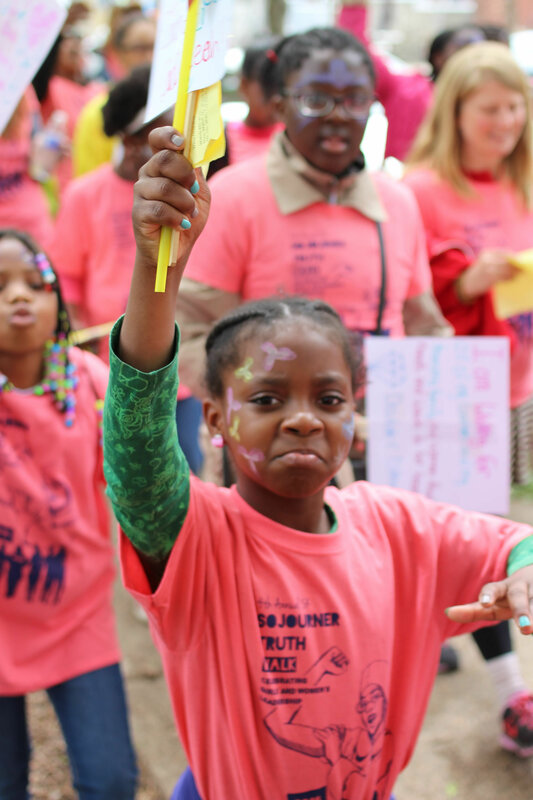 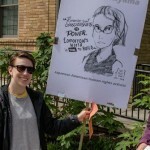 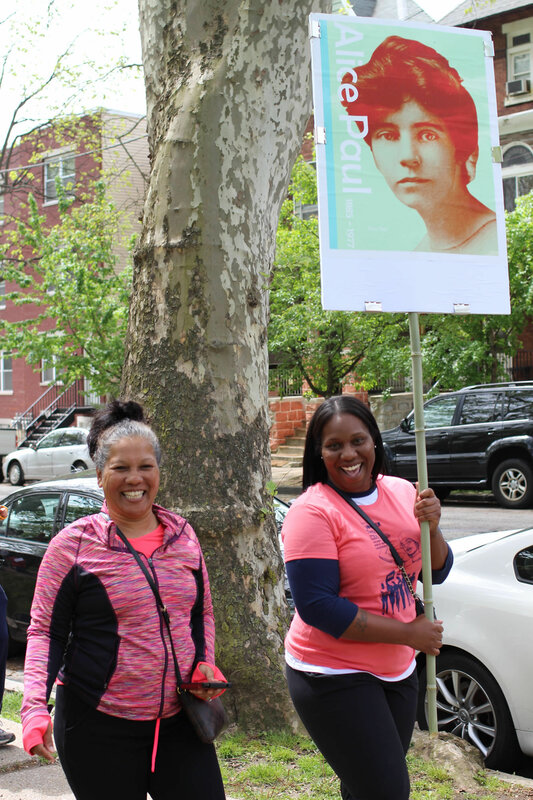 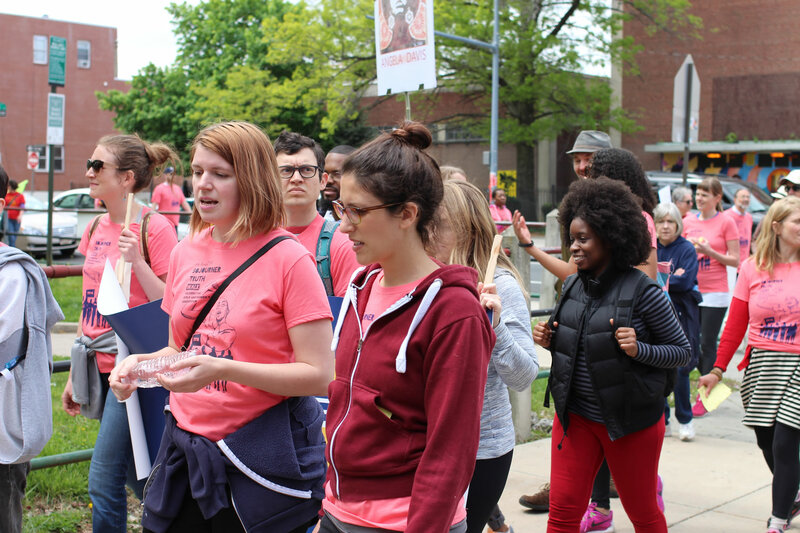 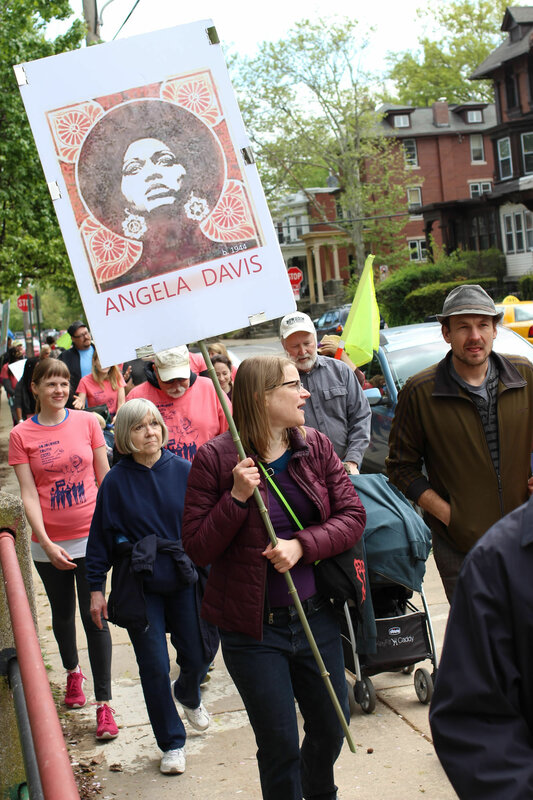 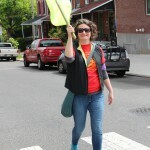 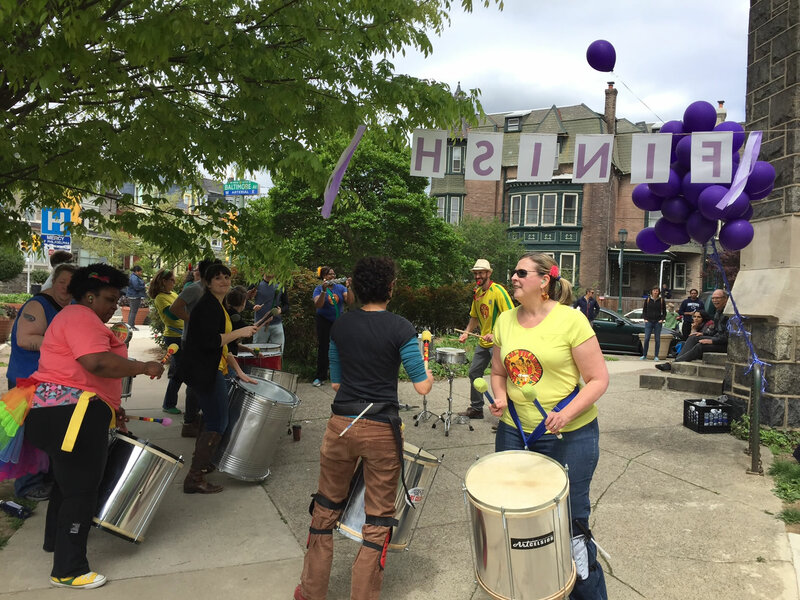 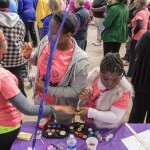 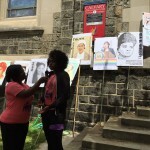 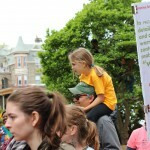 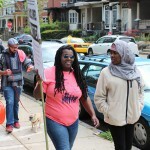 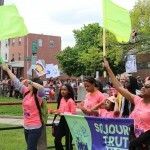 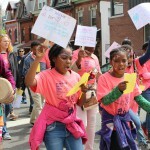 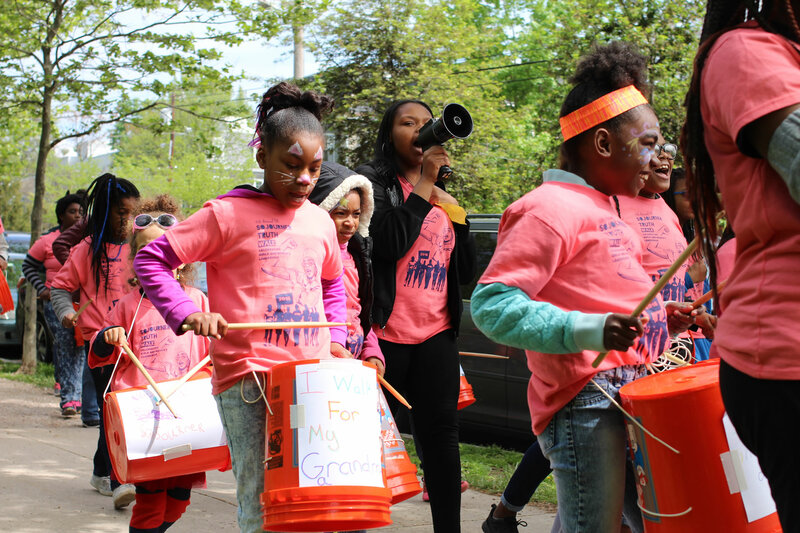 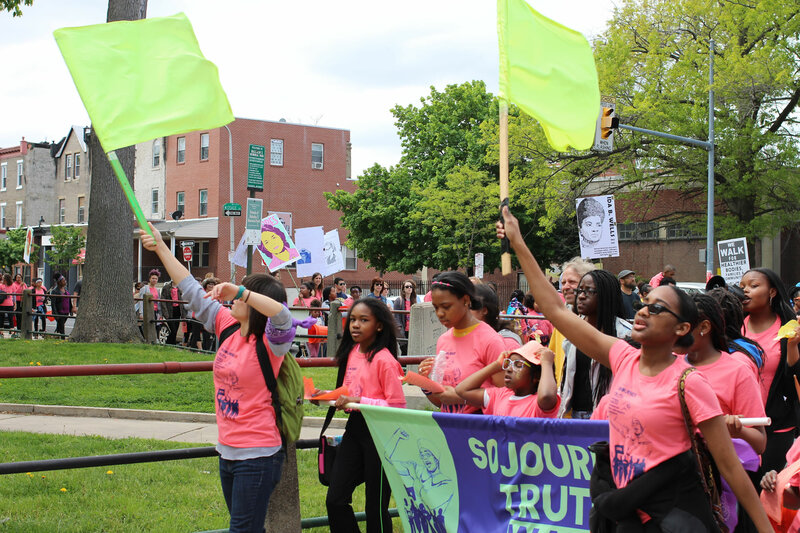 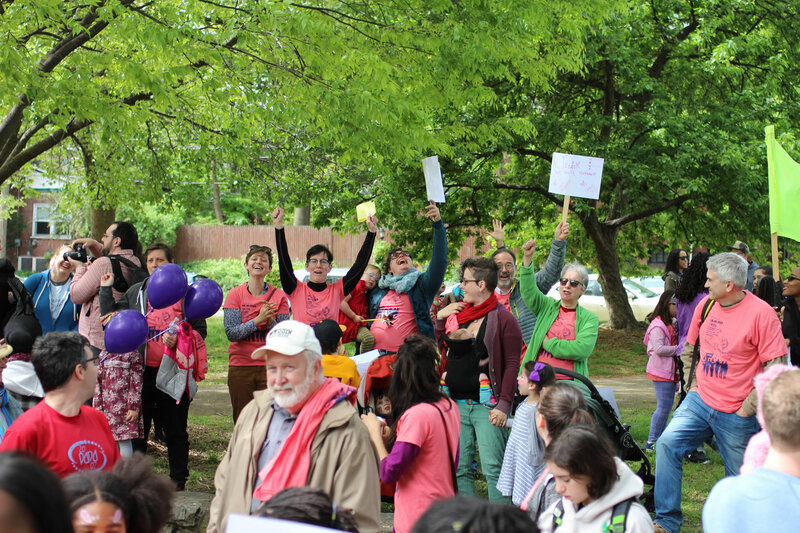 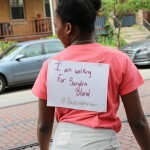 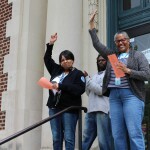 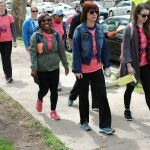 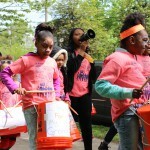 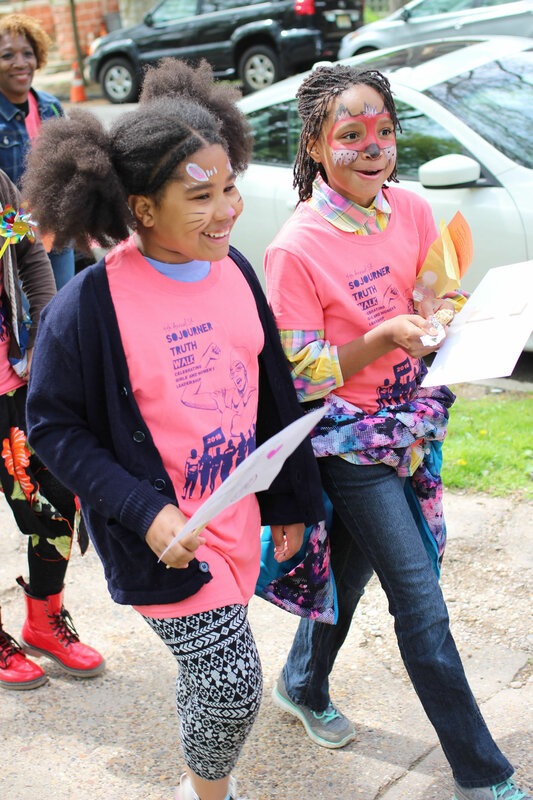 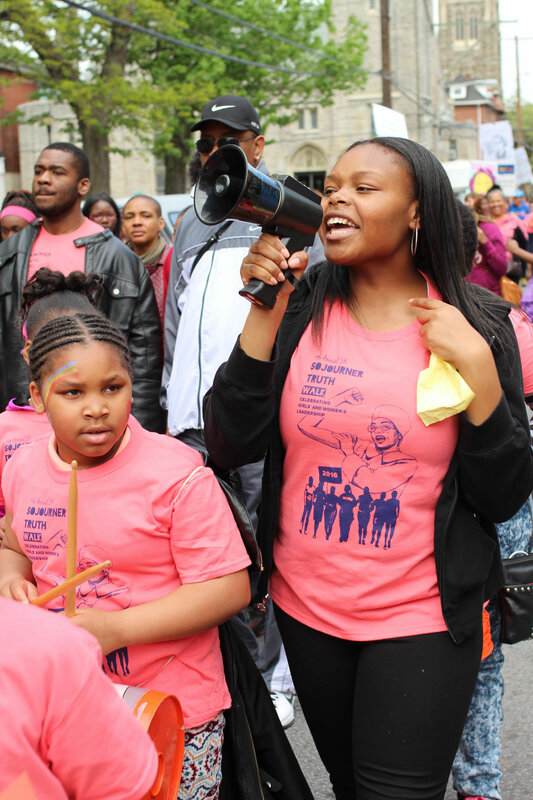 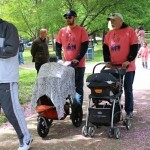 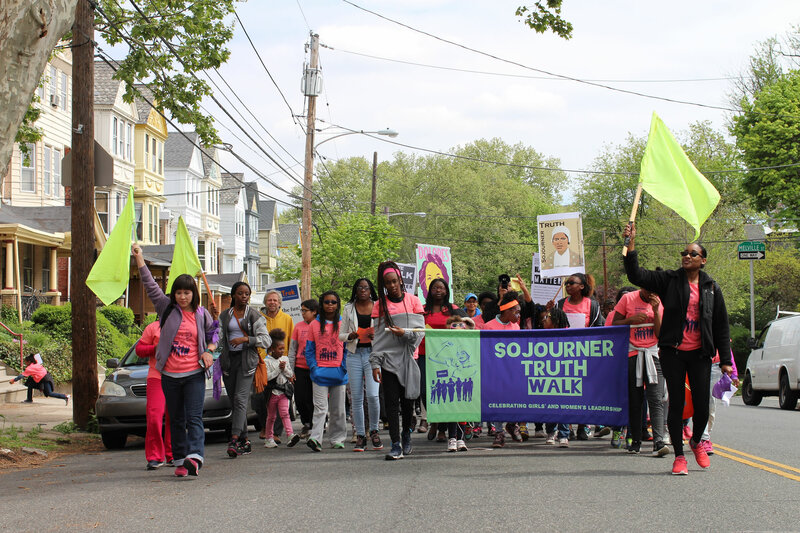 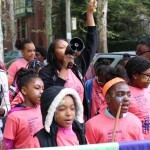 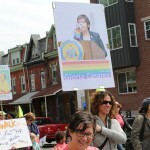 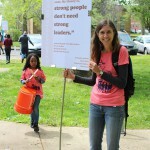 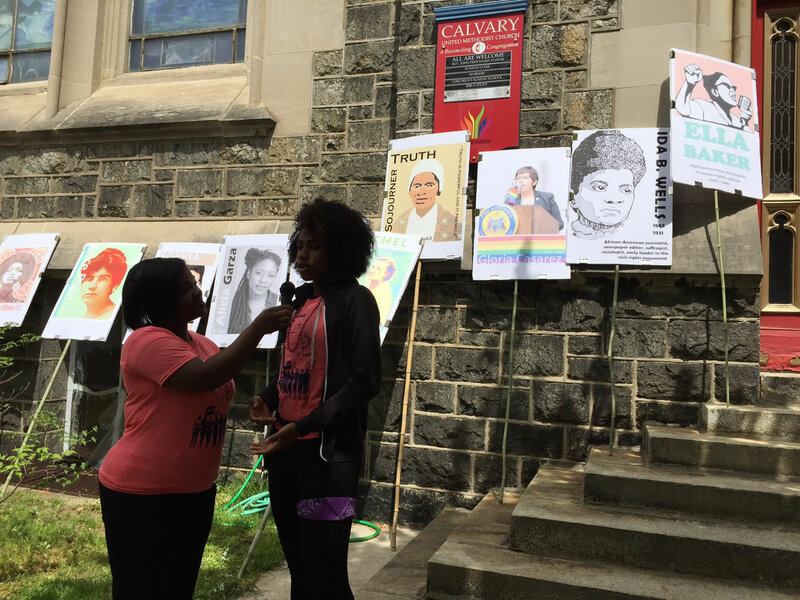 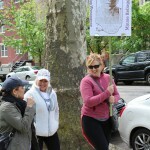 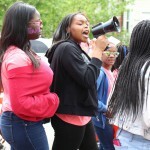 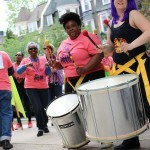 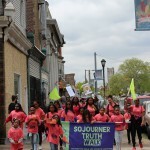 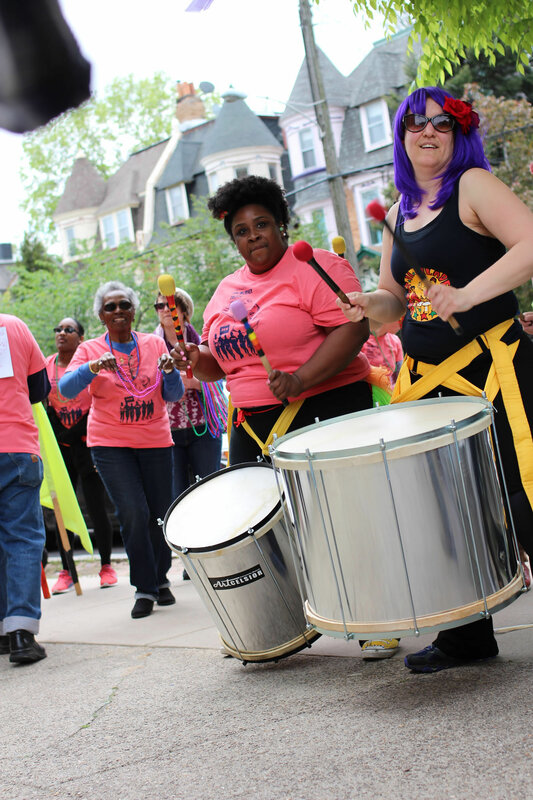 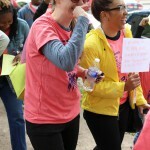 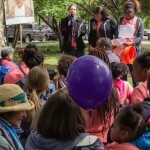 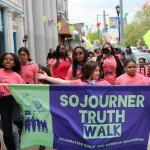 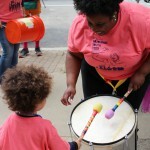 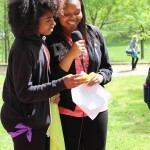 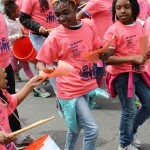 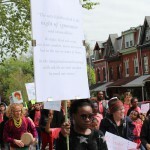 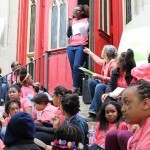 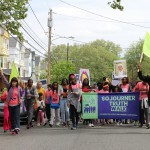 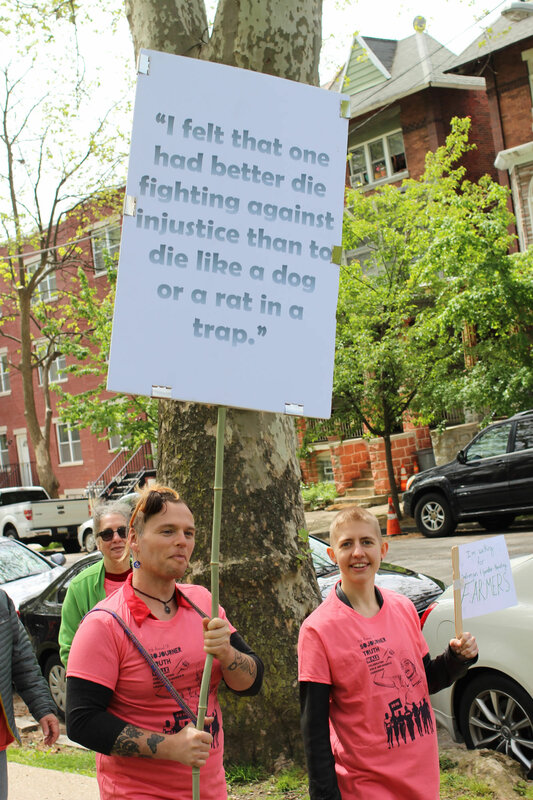 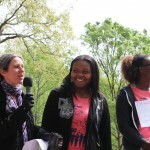 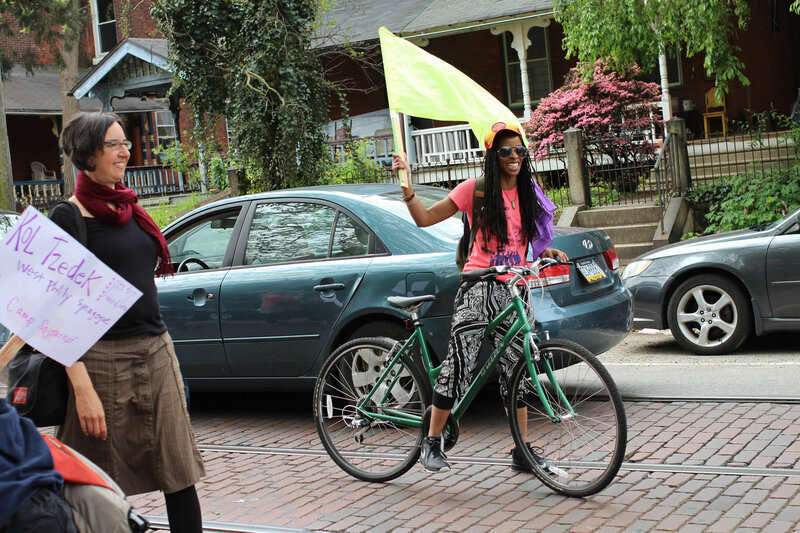 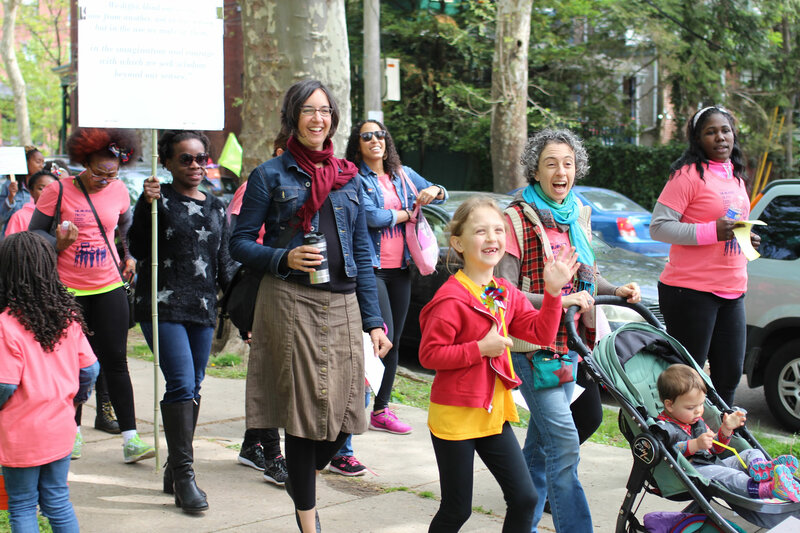 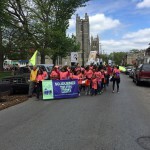 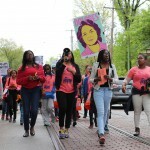 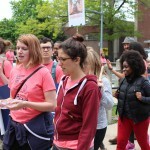 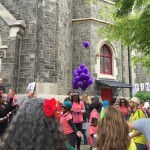 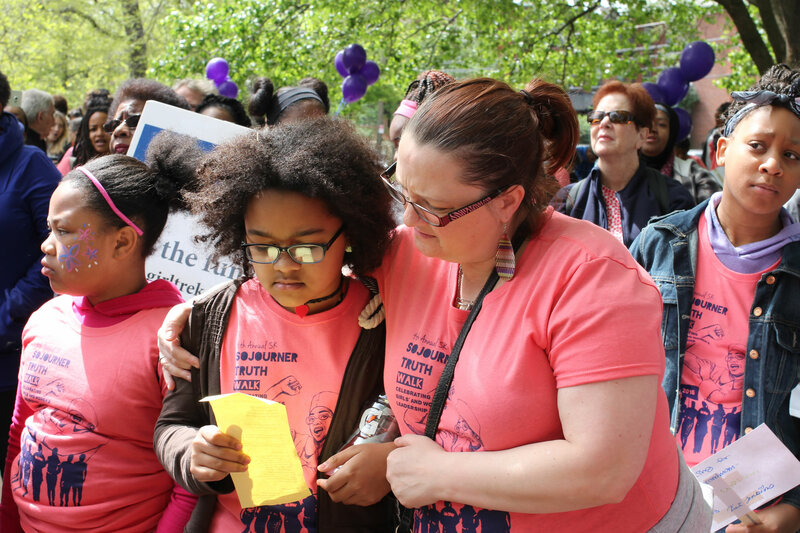 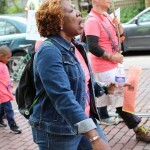 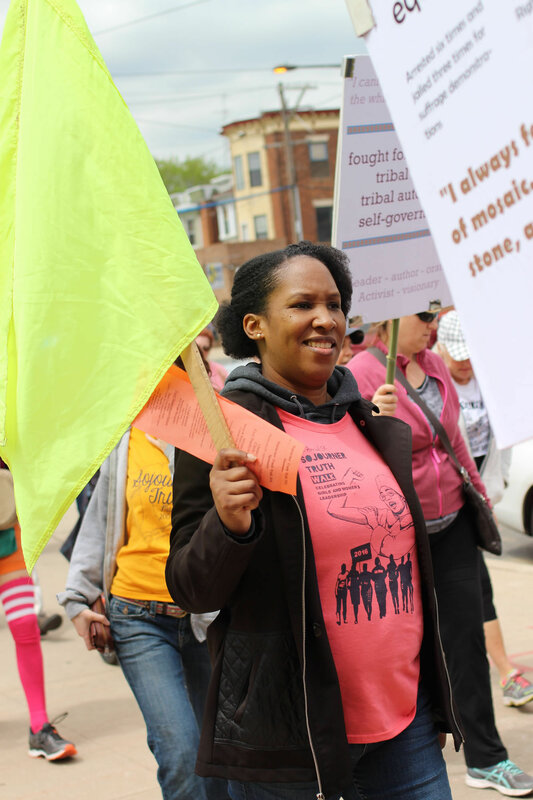 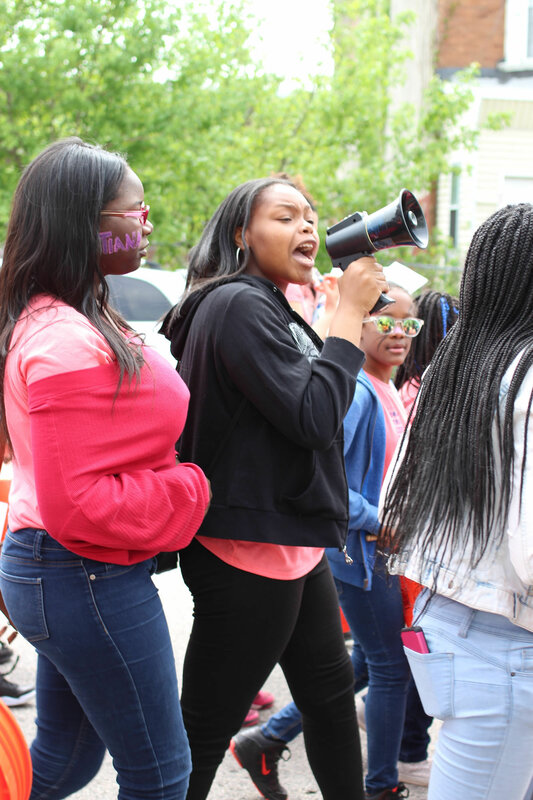 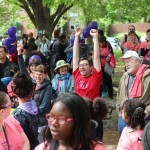 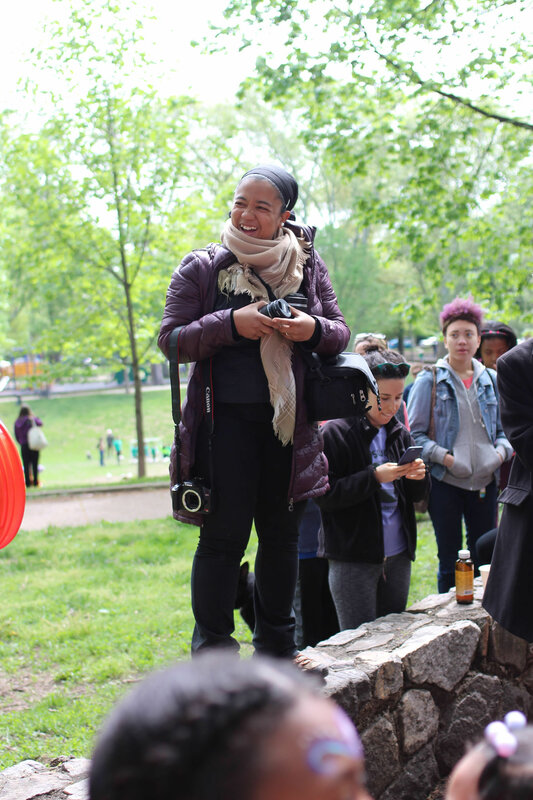 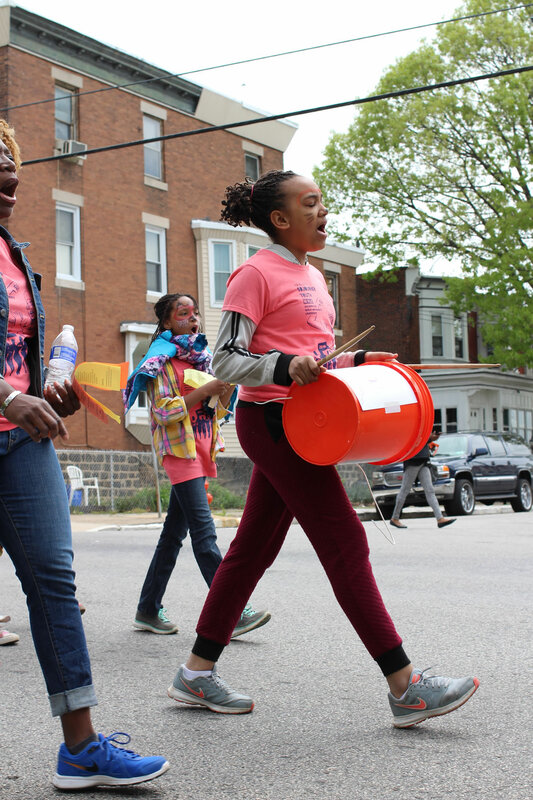 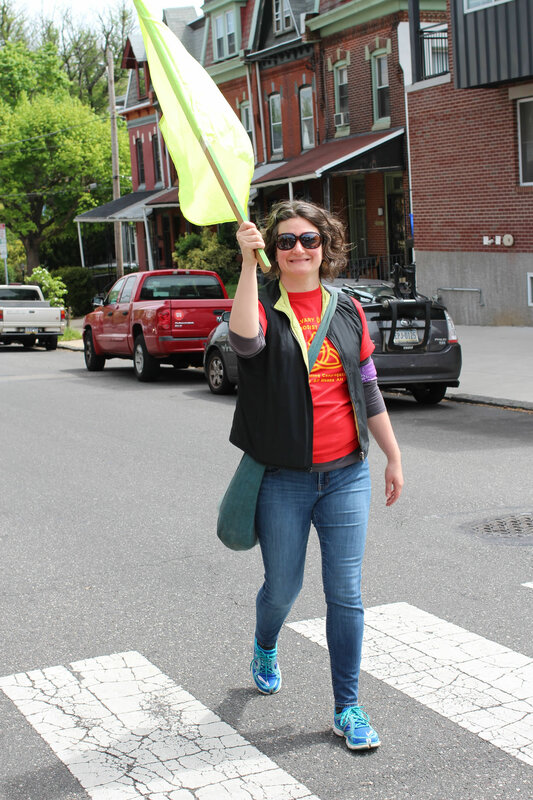 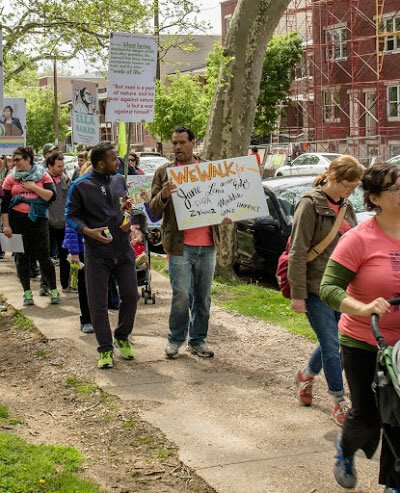 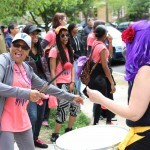 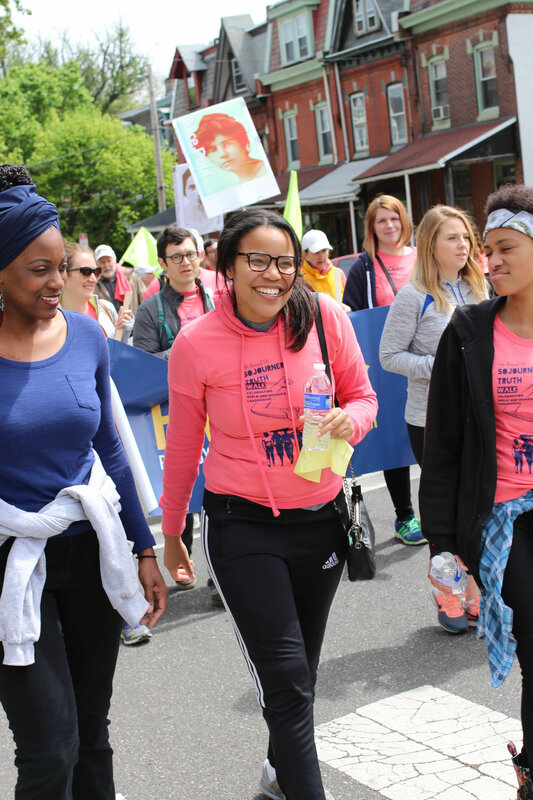 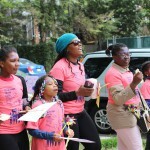 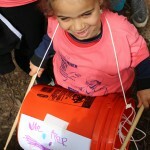 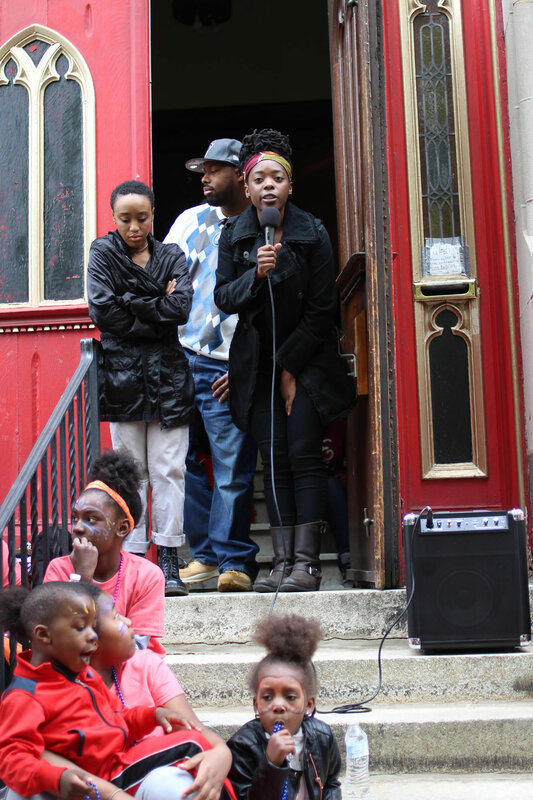 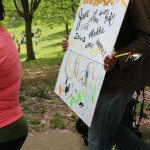 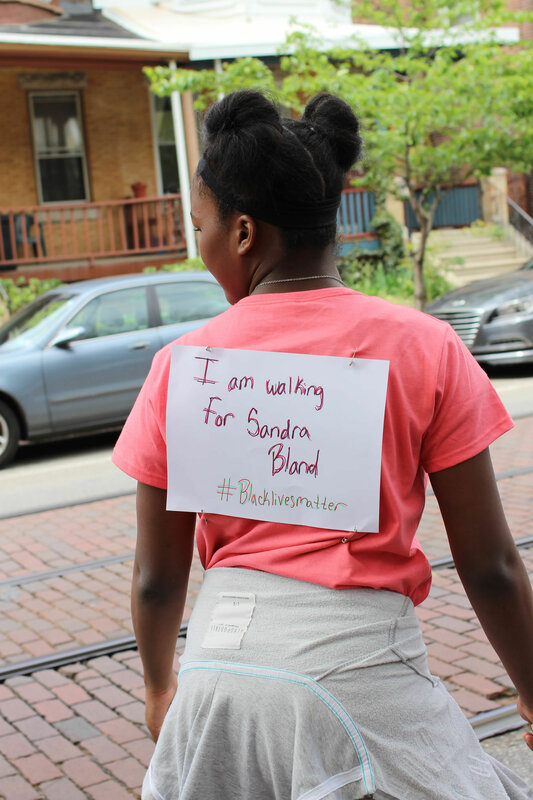 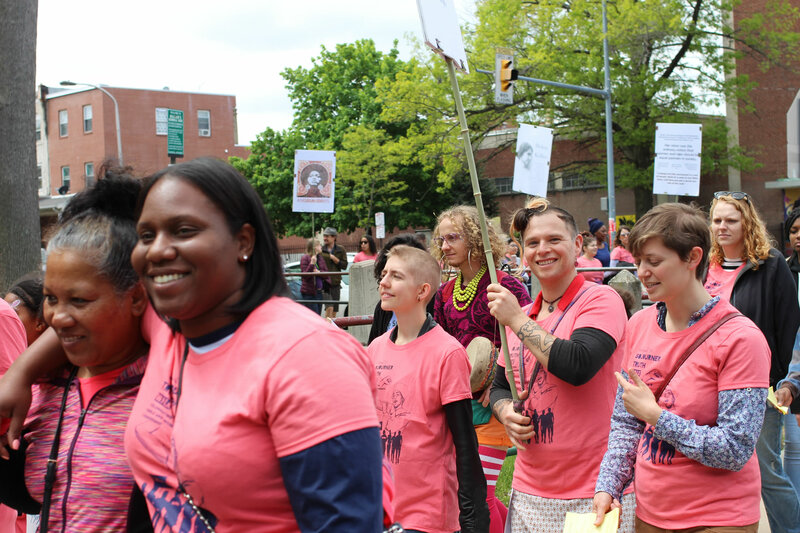 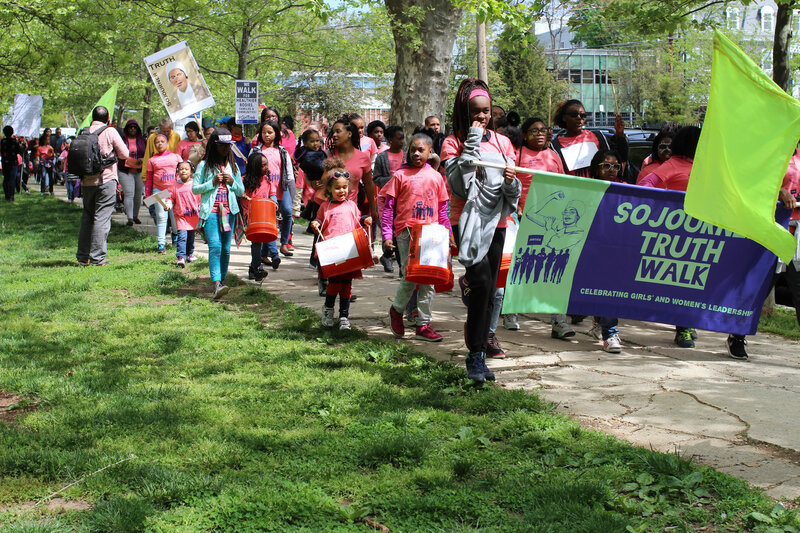 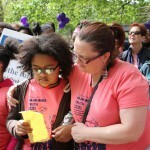 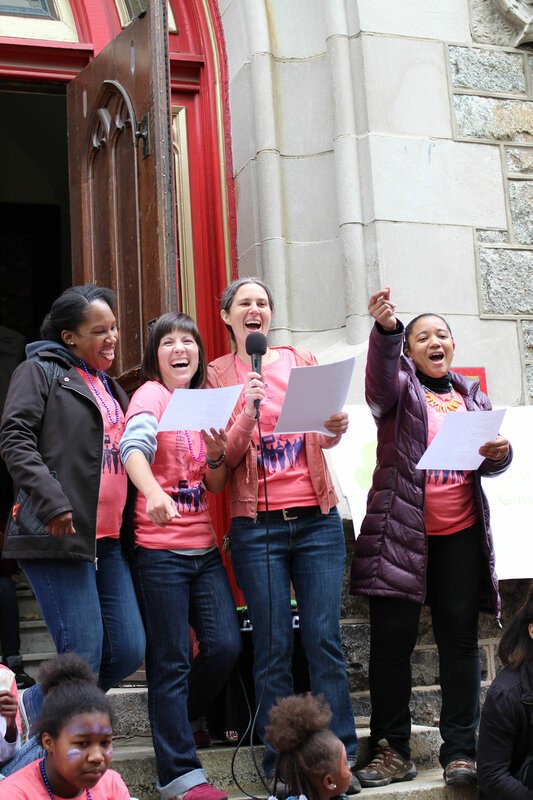 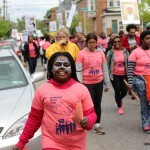 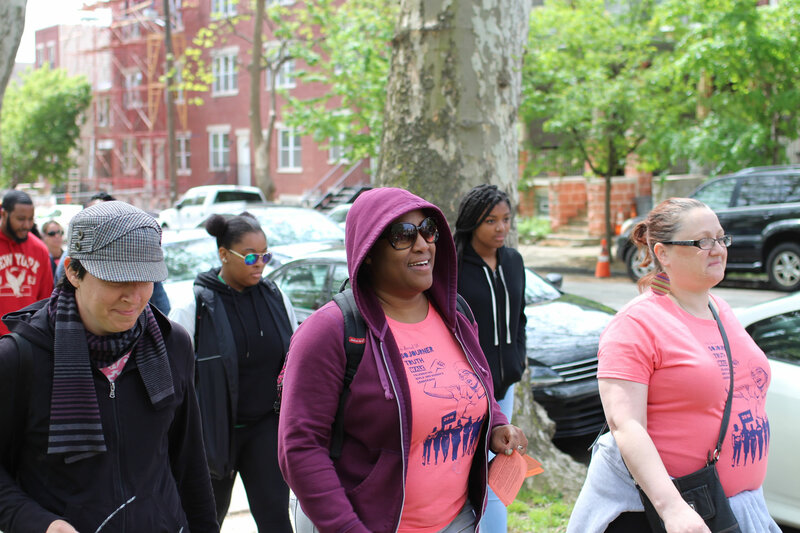 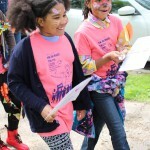 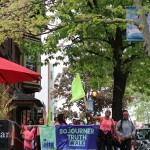 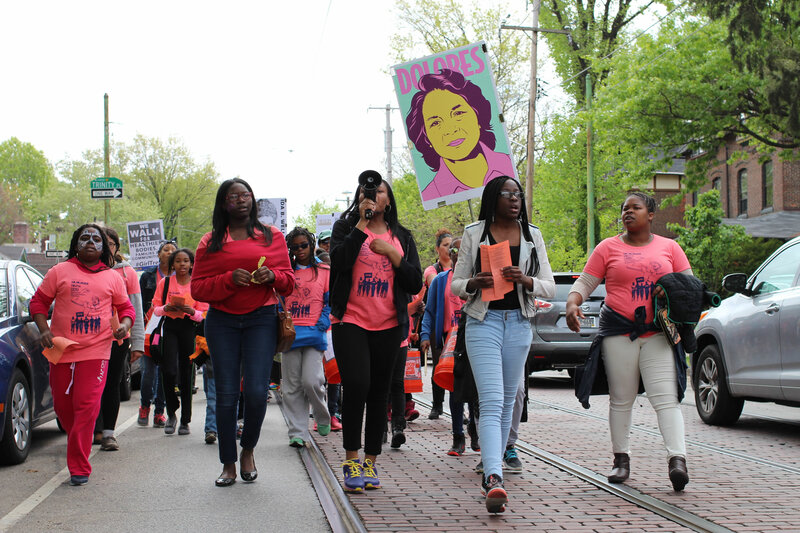 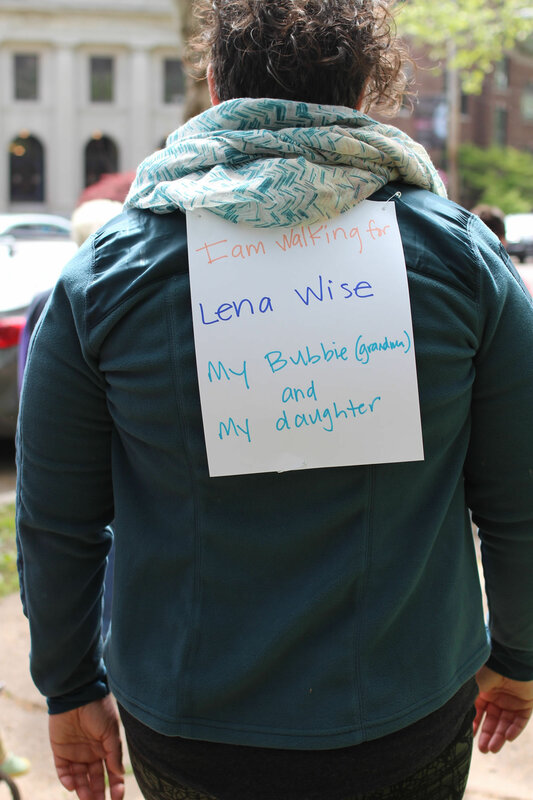 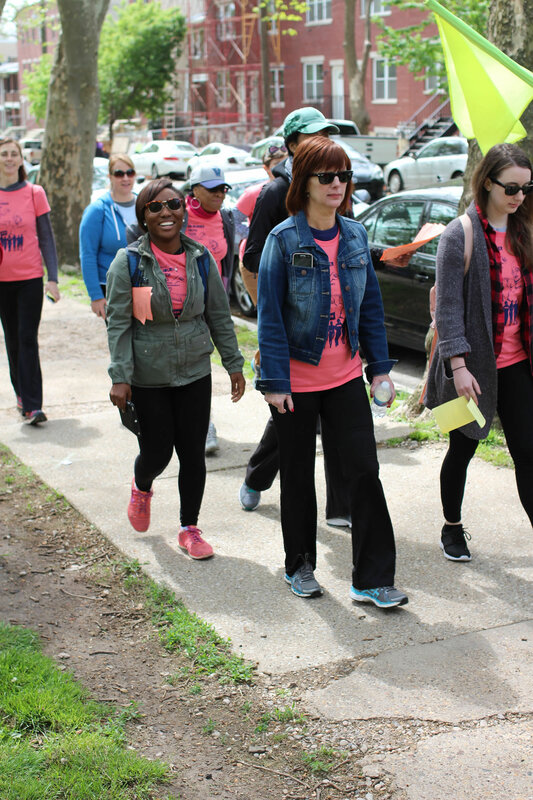 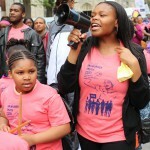 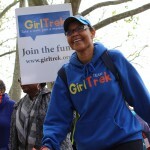 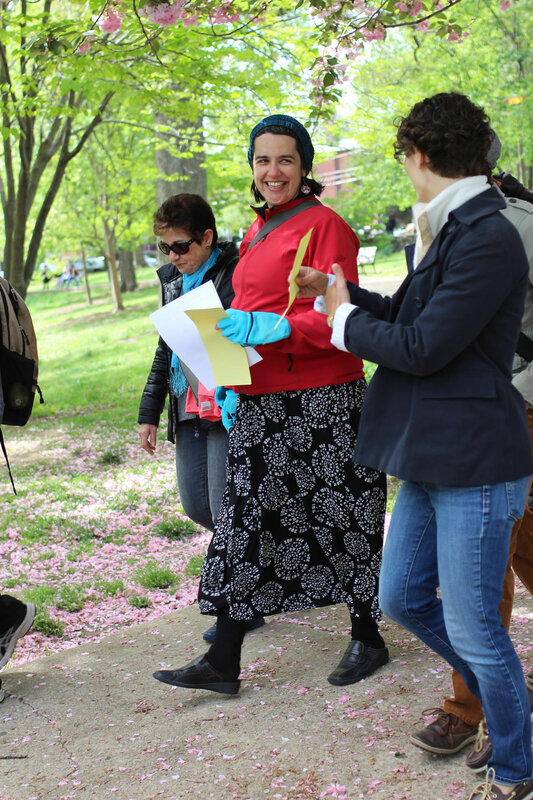 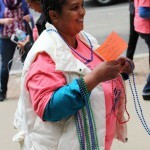 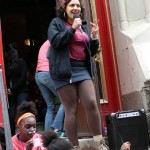 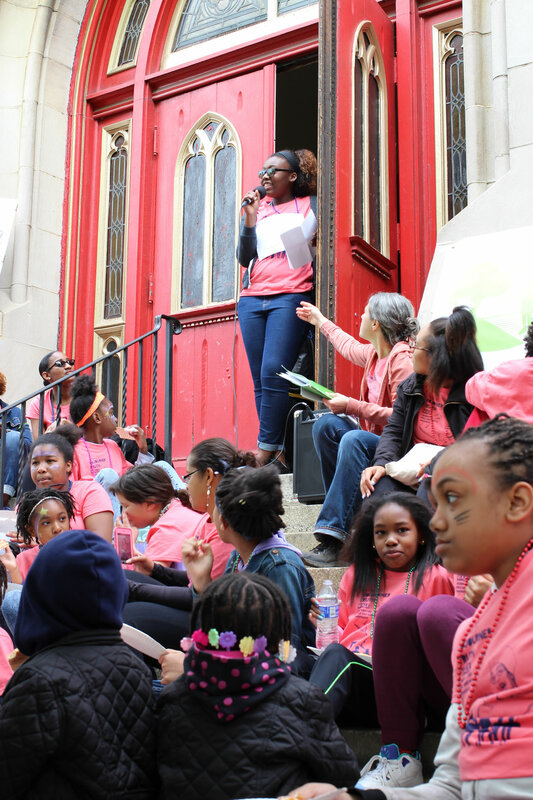 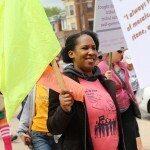 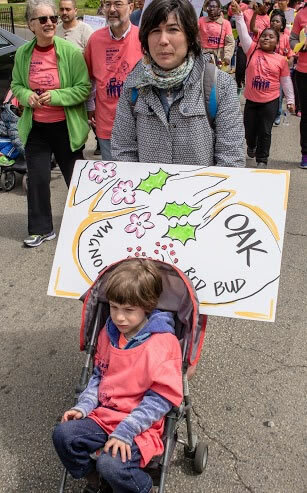 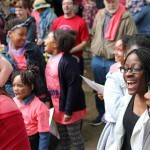 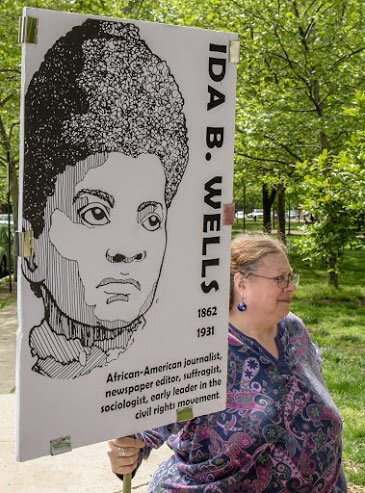 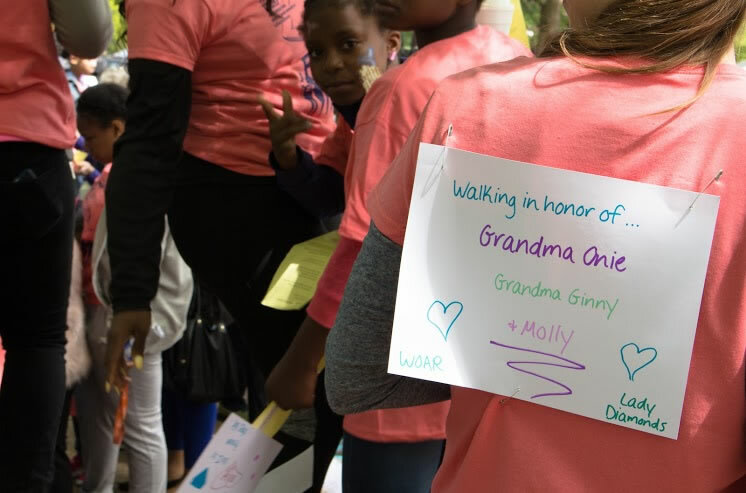 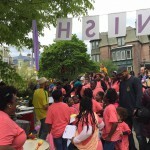 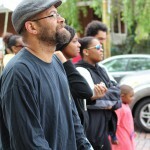 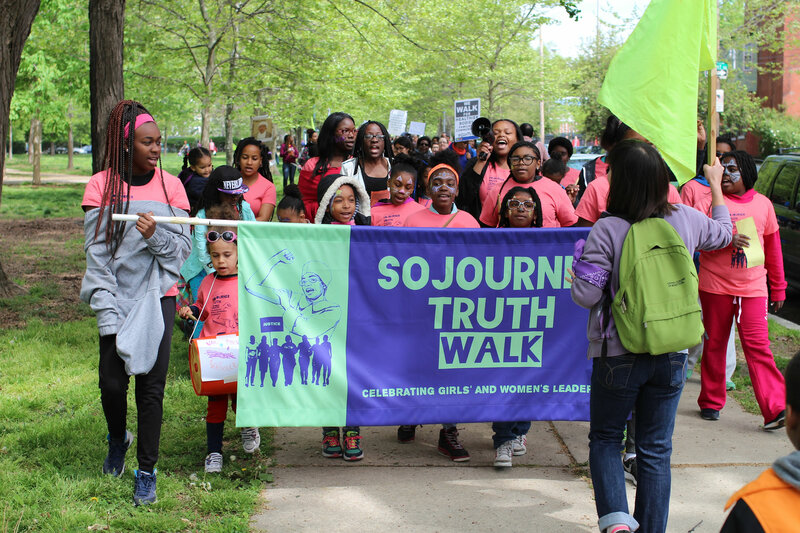 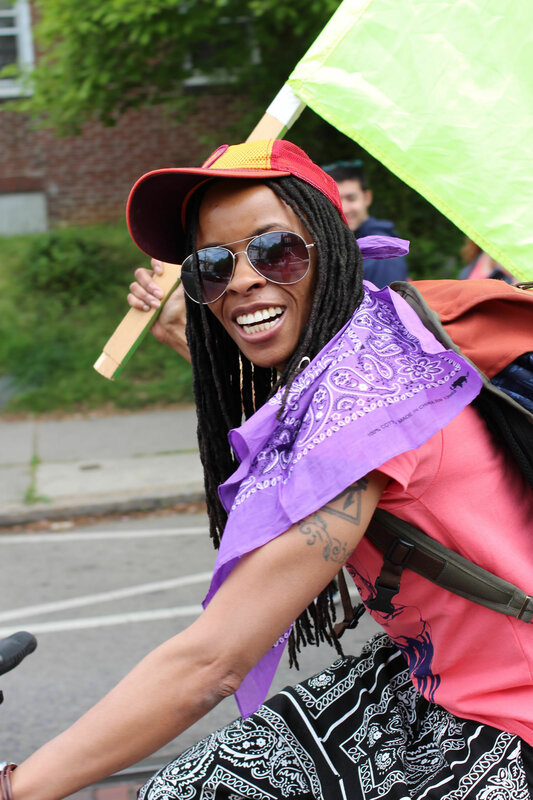 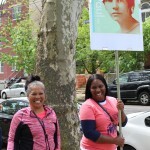 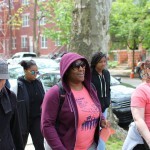 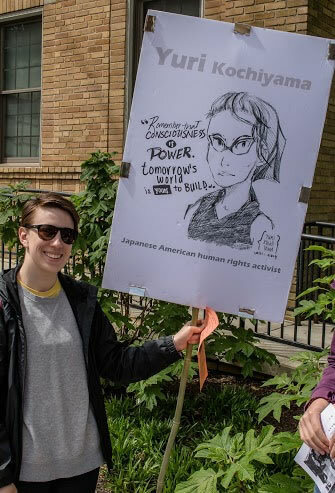 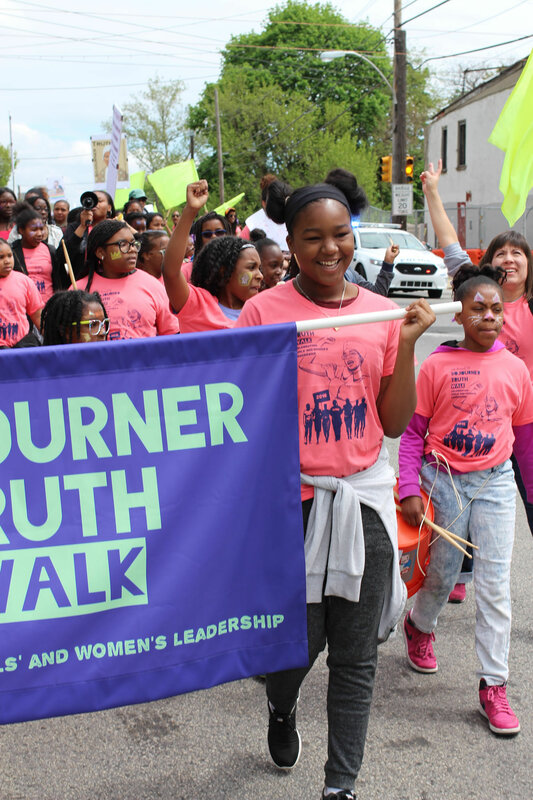 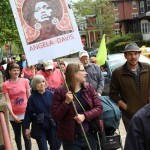 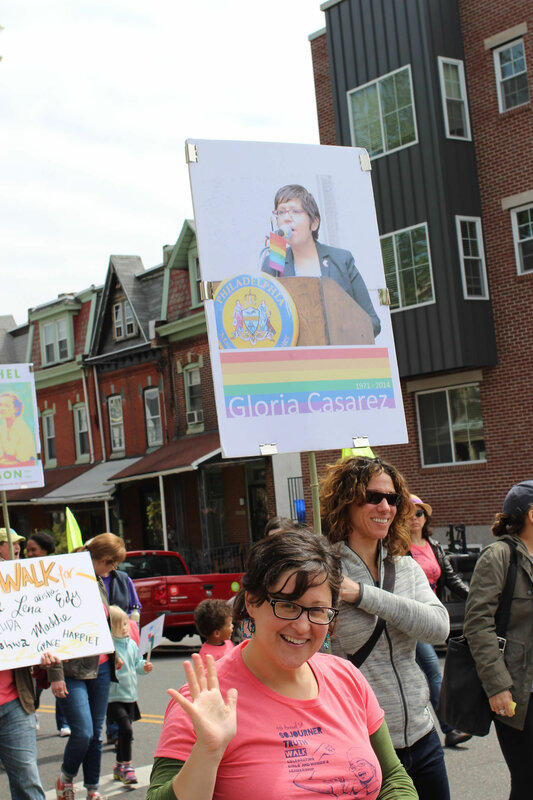 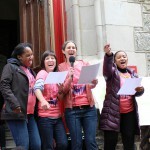 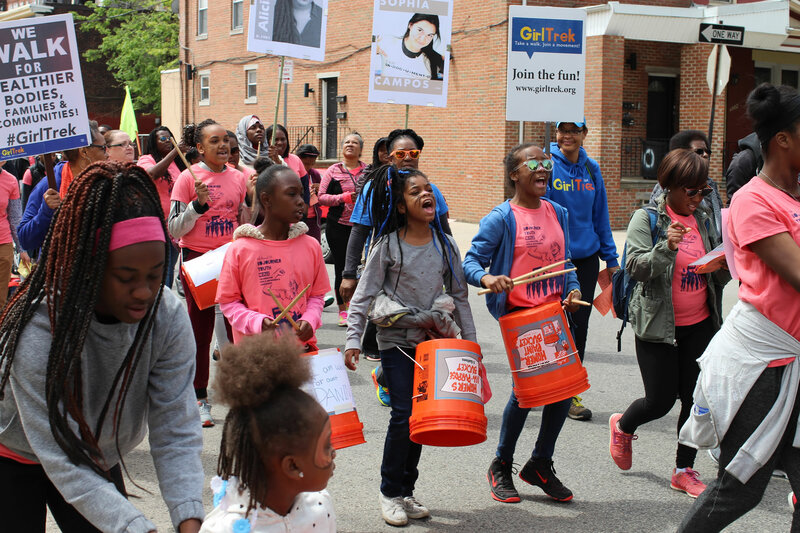 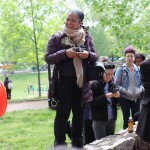 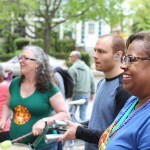 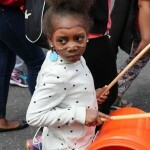 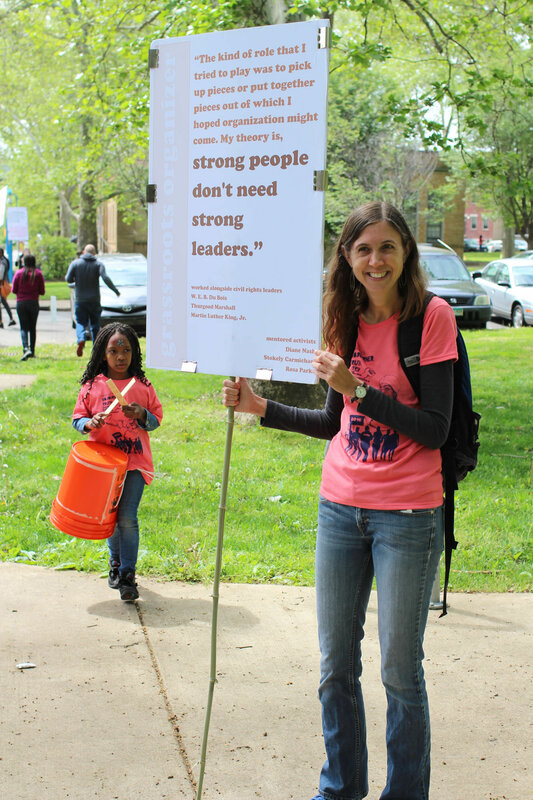 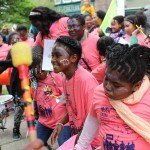 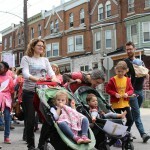 More than 220 people walked together in the streets and spreading positive images of girls’ and women’s leadership and highlighting social justice activists from Sojourner Truth to the present. 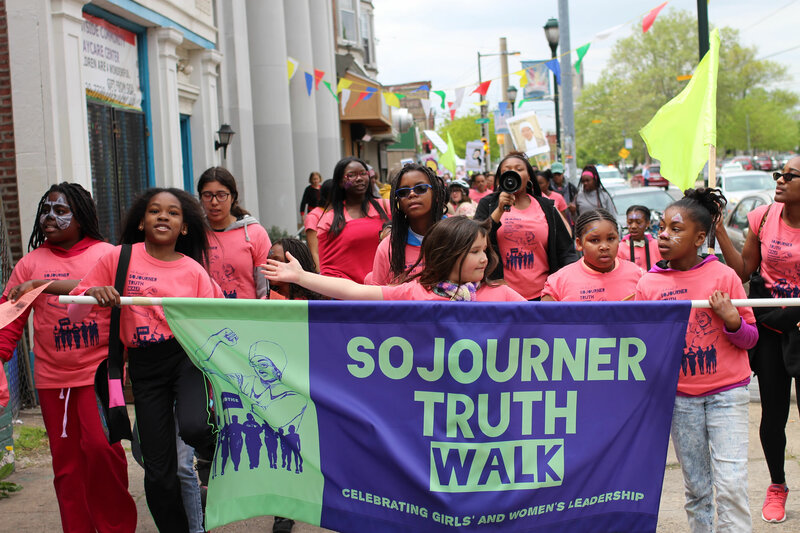 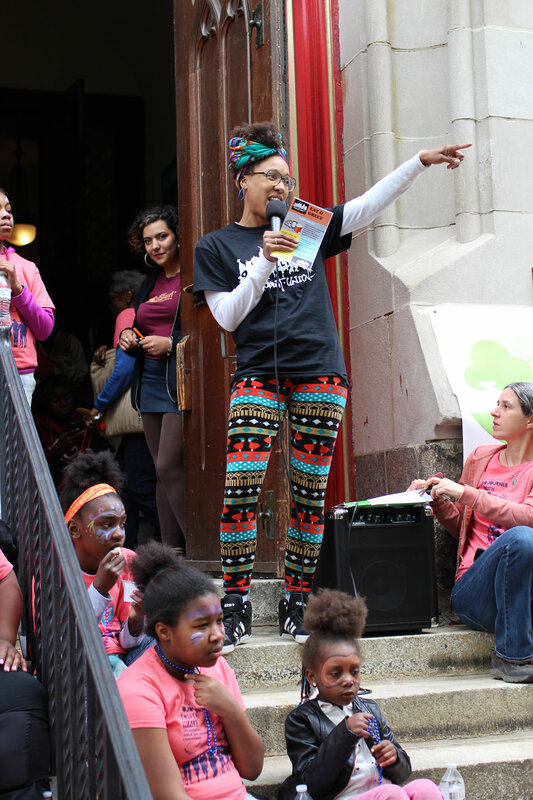 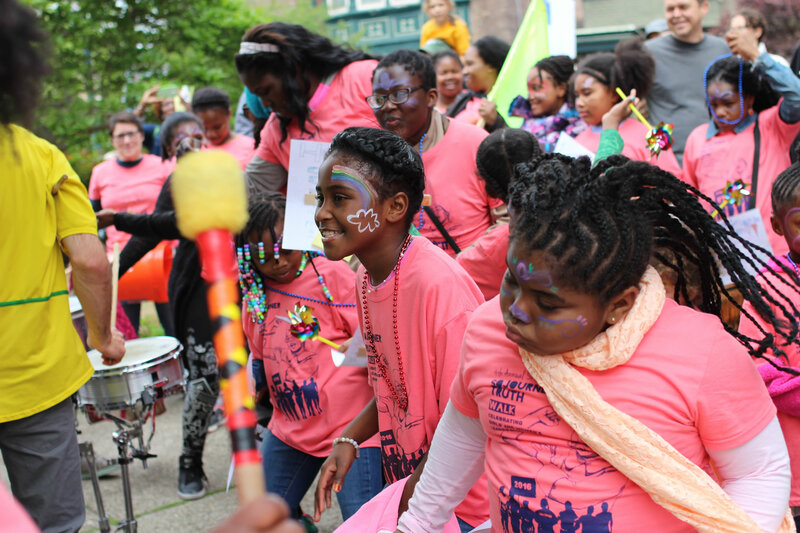 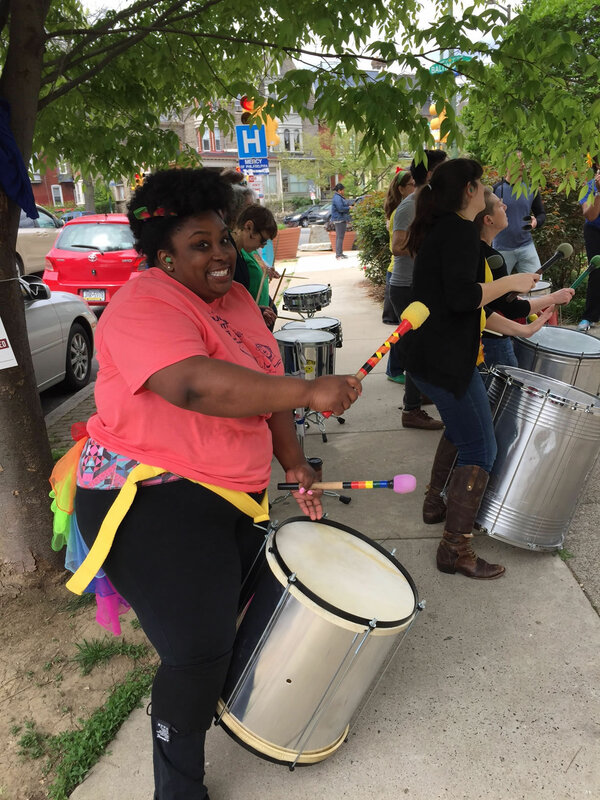 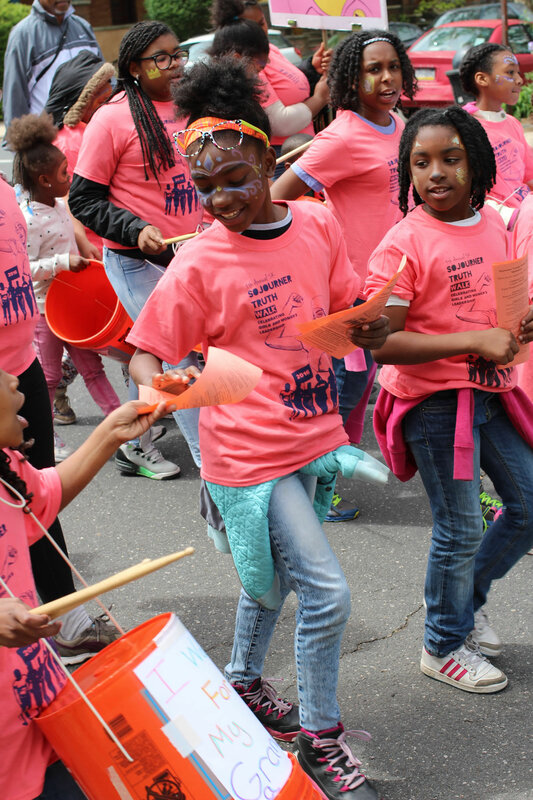 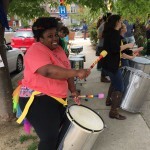 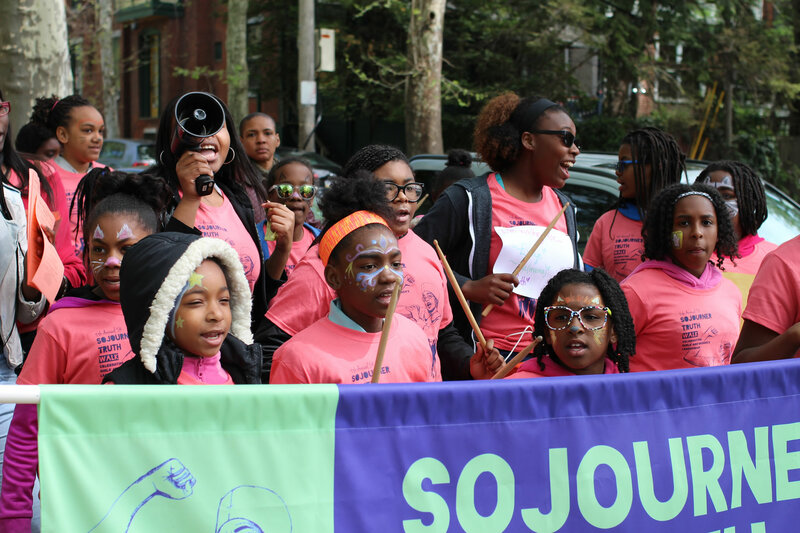 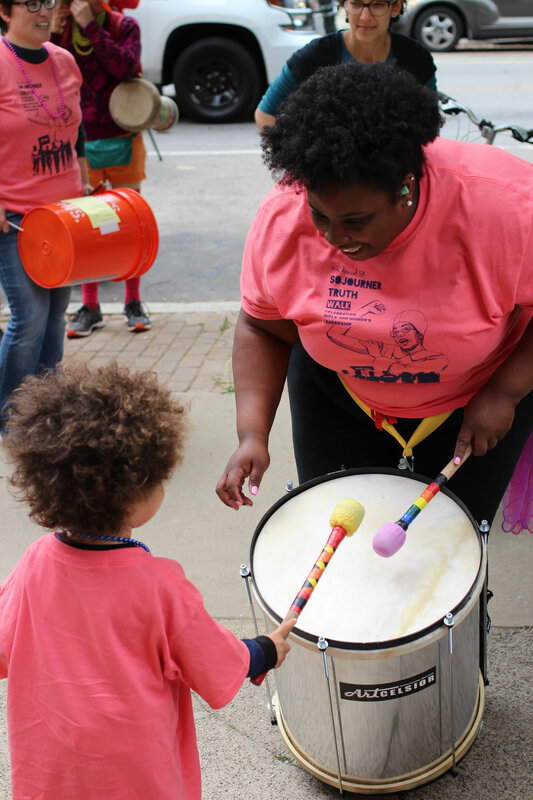 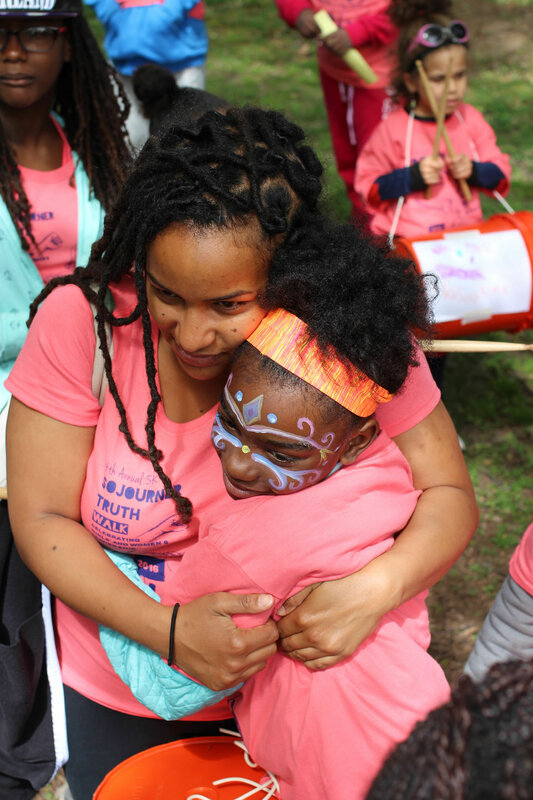 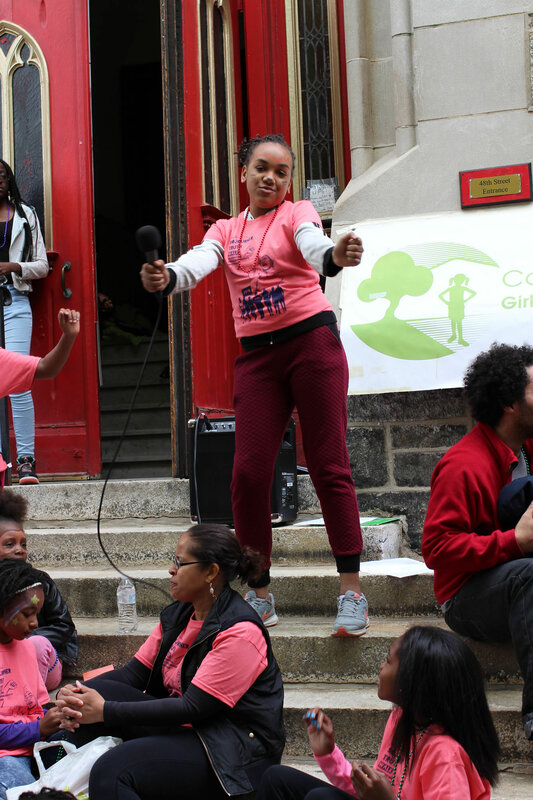 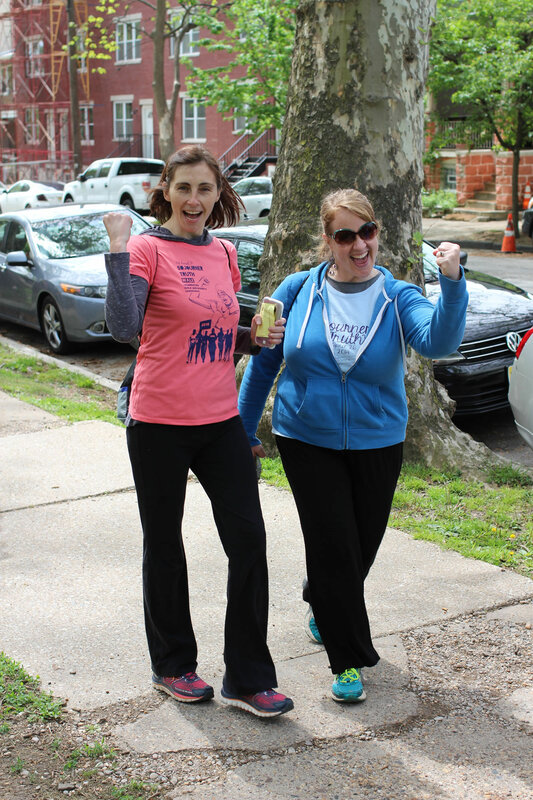 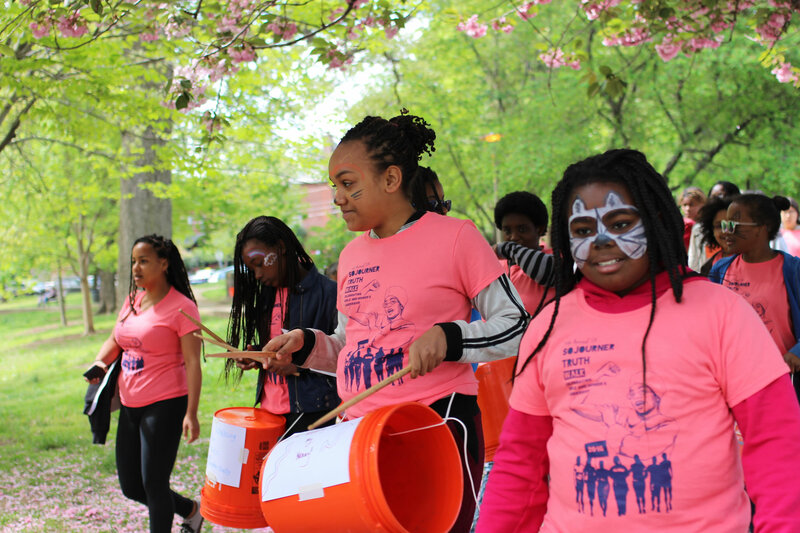 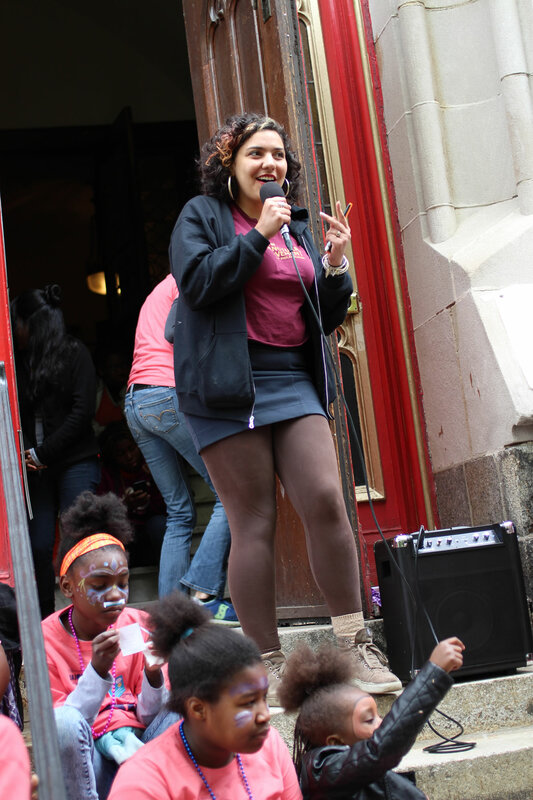 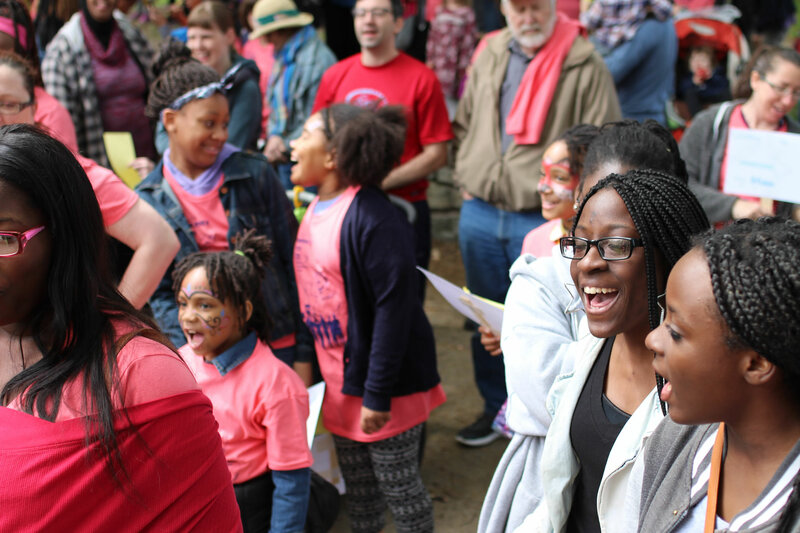 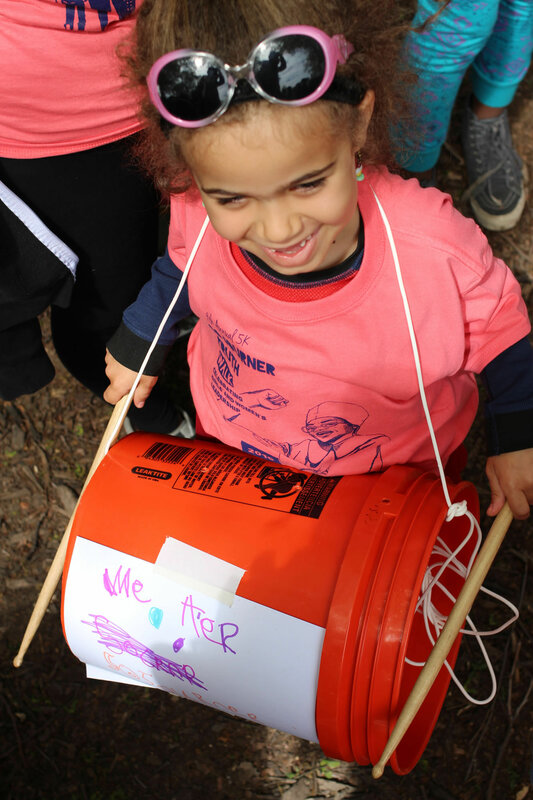 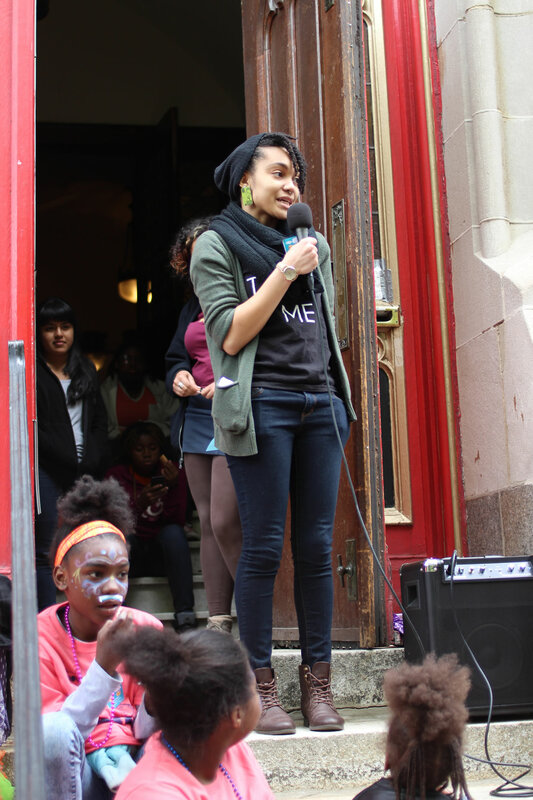 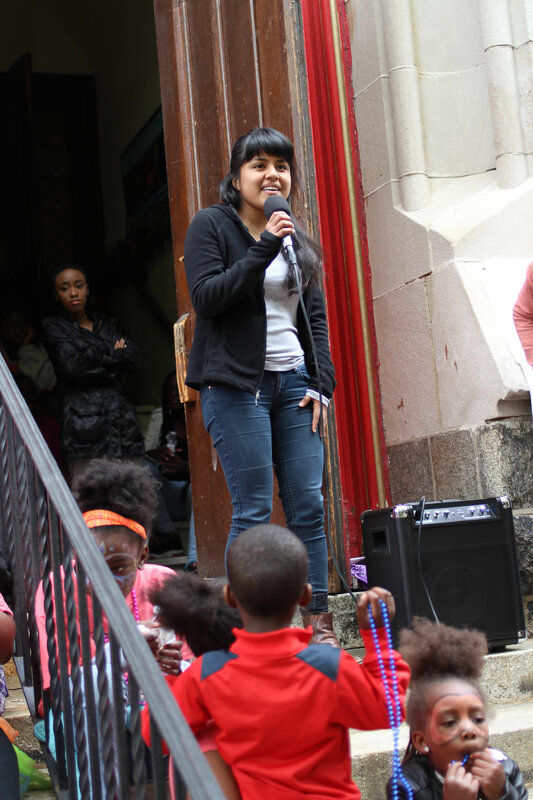 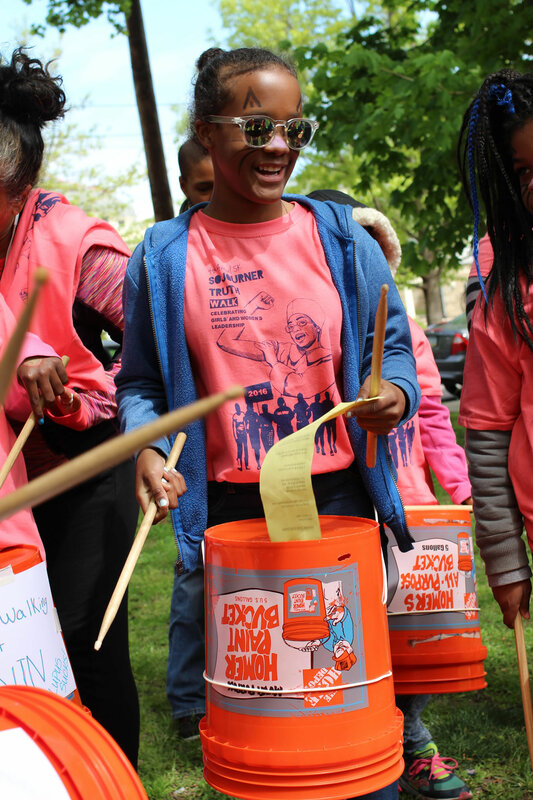 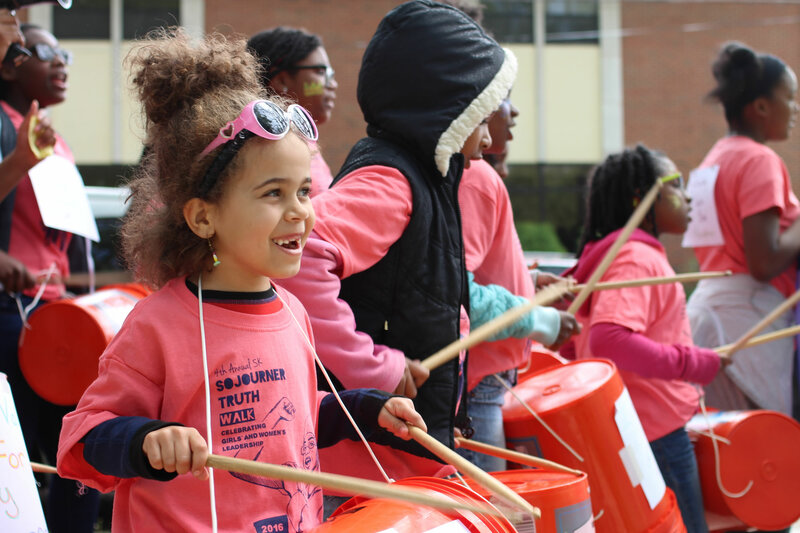 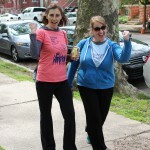 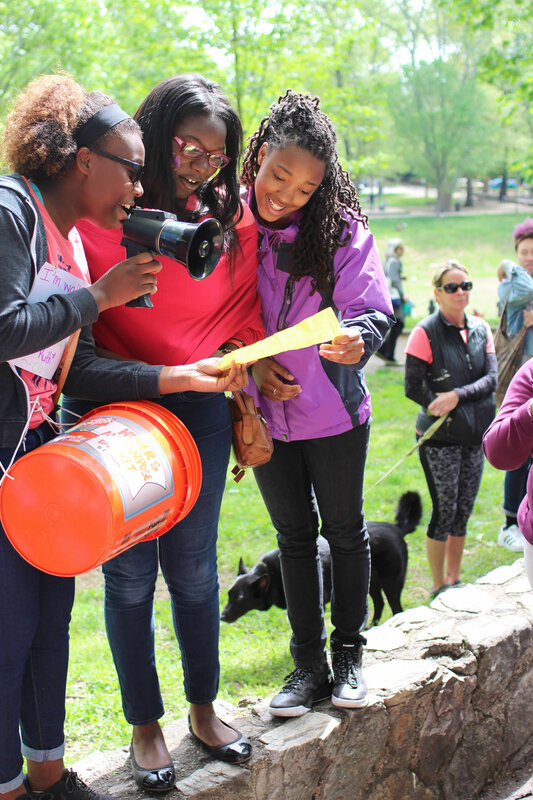 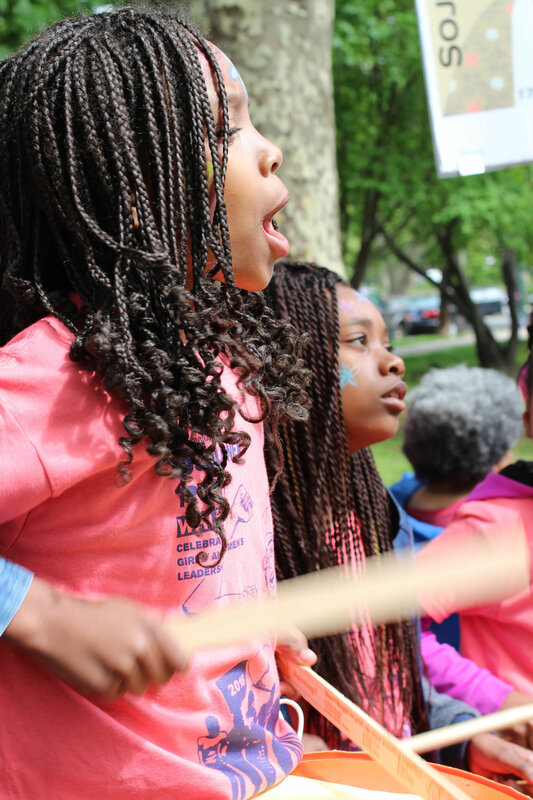 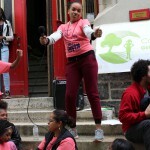 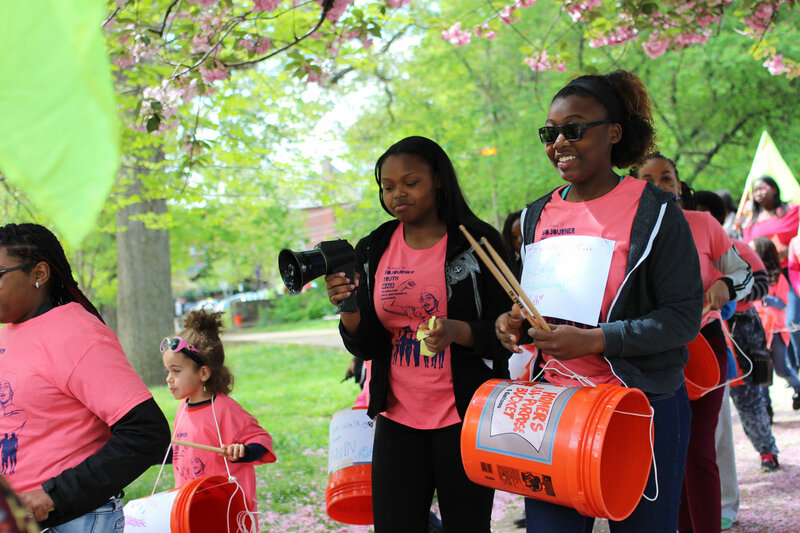 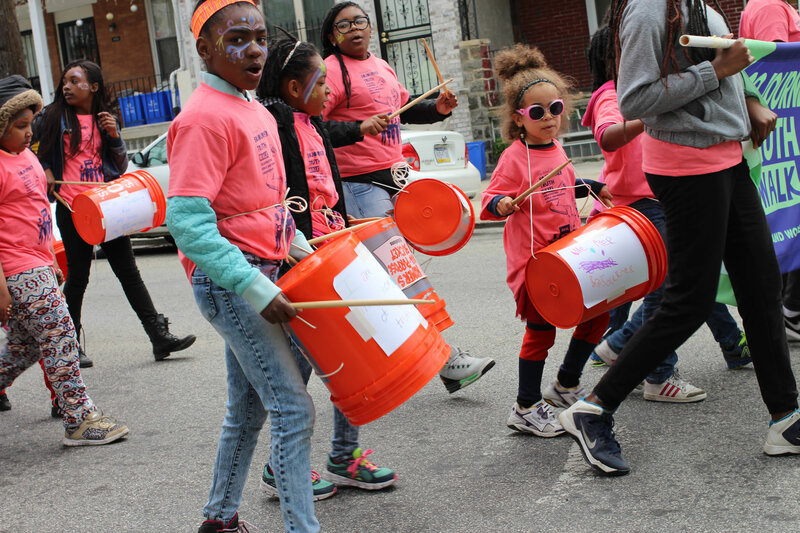 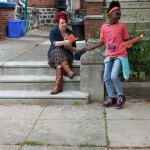 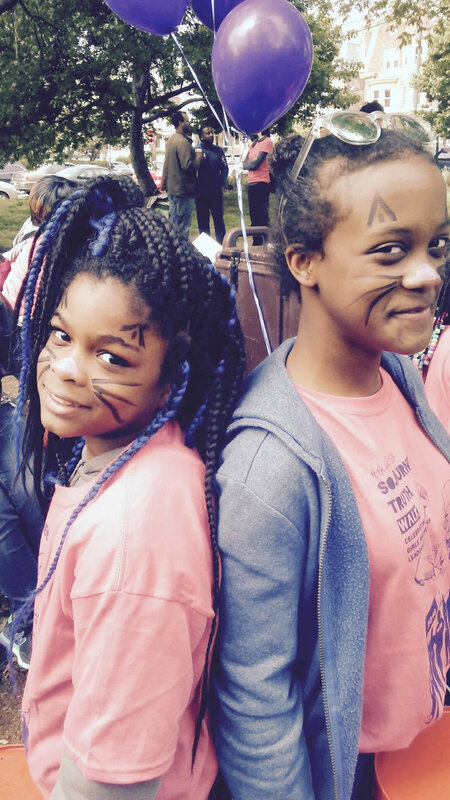 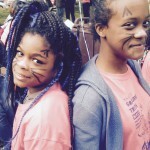 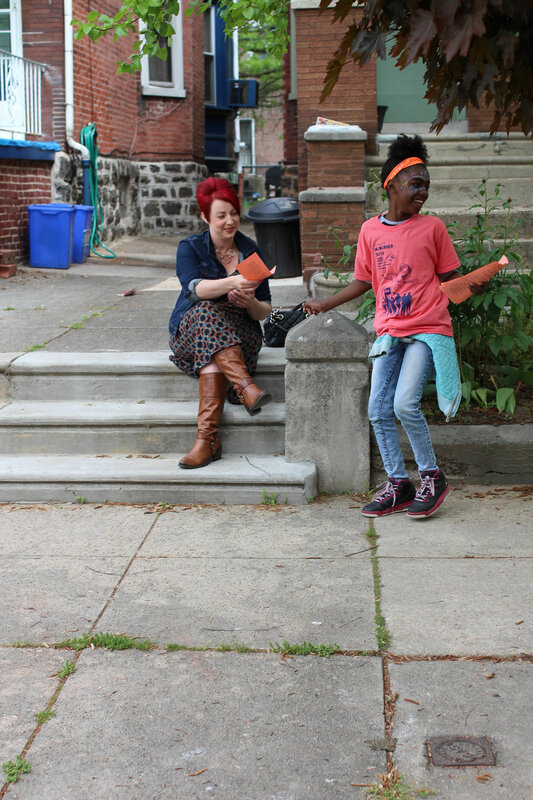 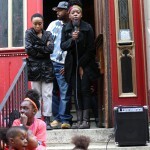 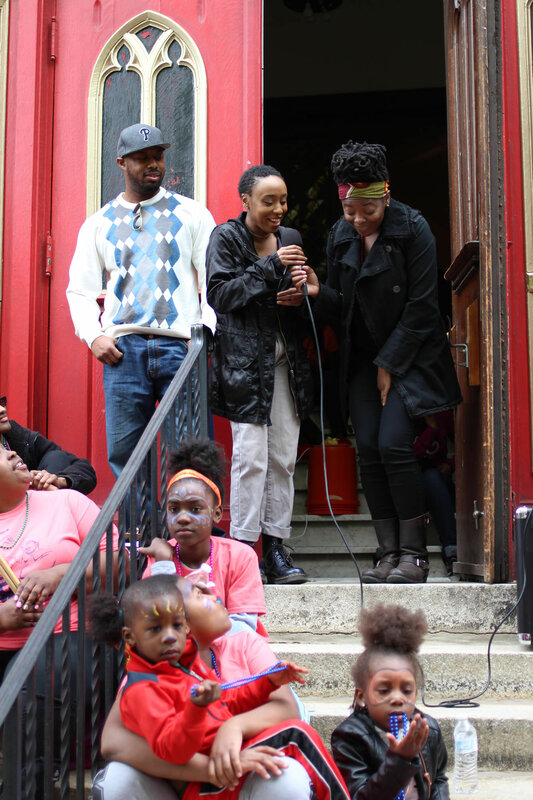 We surpassed our goal and raised $26,700 to send 75 Philly girls to Camp Sojourner this summer and offer free arts and leadership programs year-round. 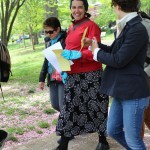 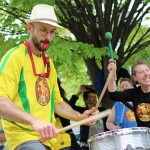 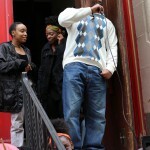 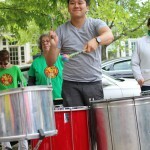 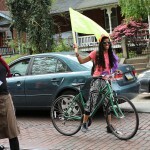 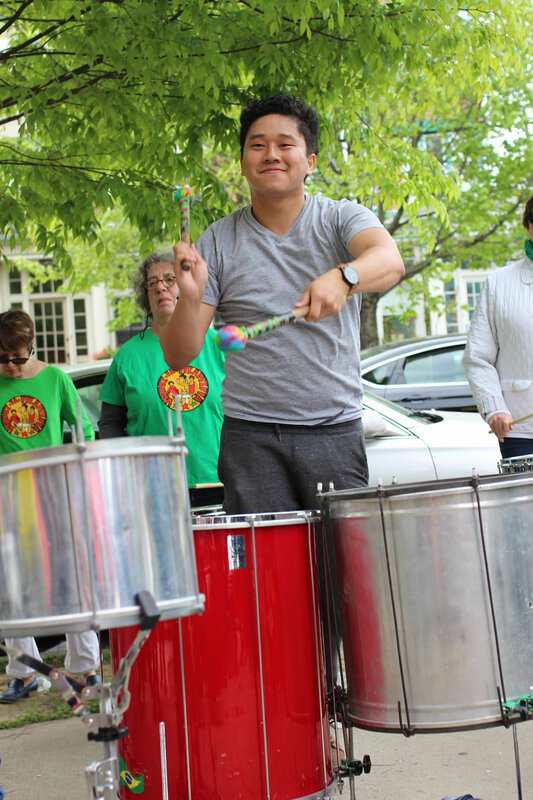 Thanks to Kris Eden, Rich Wexler, and Jere Edmunds for taking these pictures! 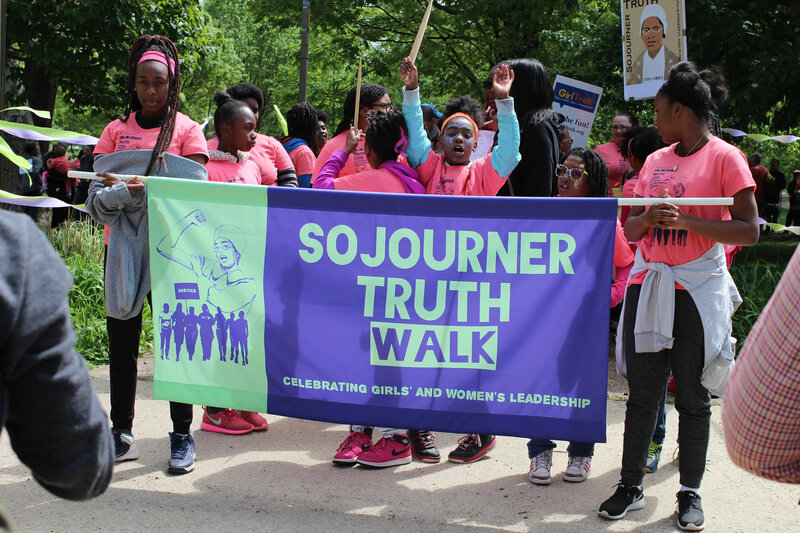 Also, many thanks to Beth Lewis for her help with designing the new walk logo this year, and to artist John Dyess for permission to use his illustration of Sojourner Truth. 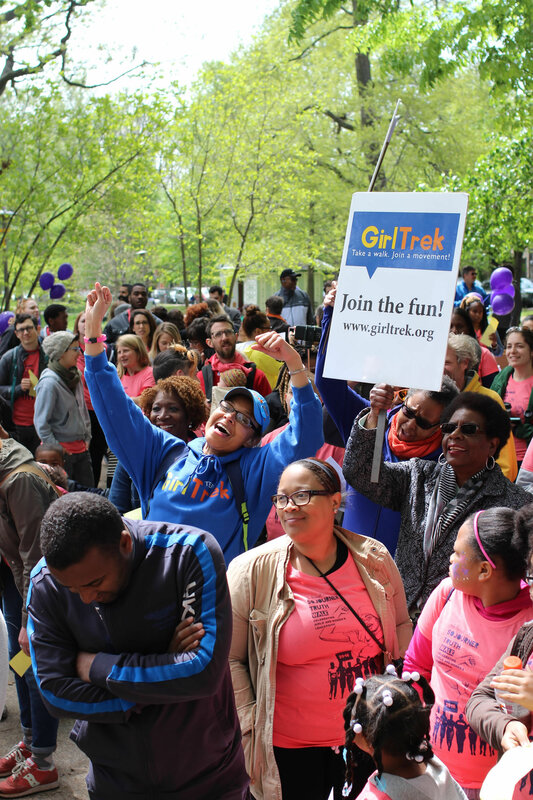 We hope you will join us next year!